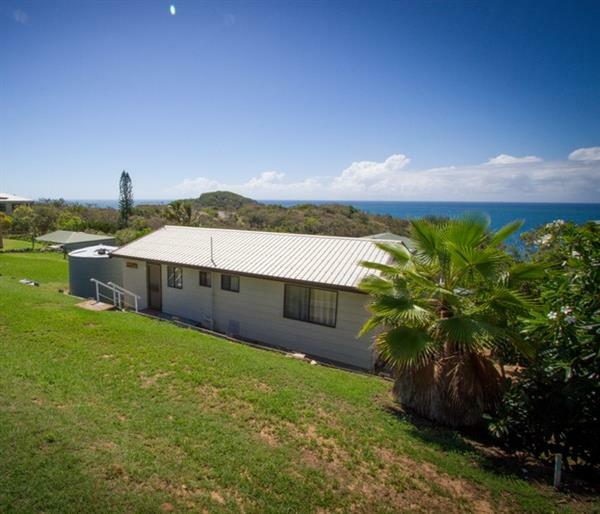 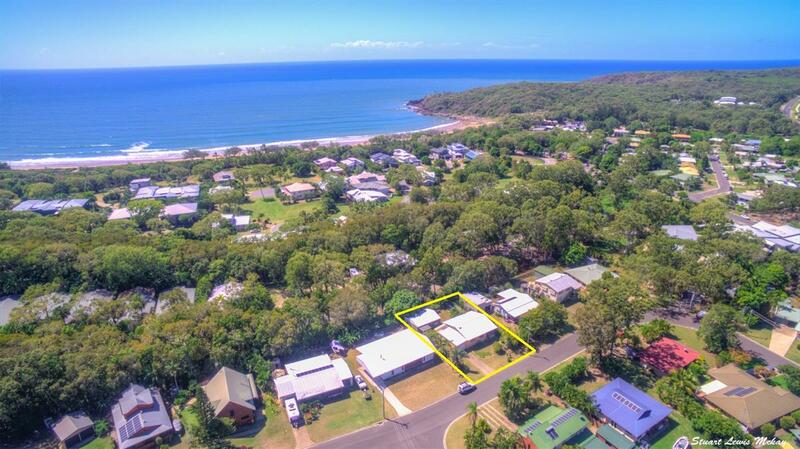 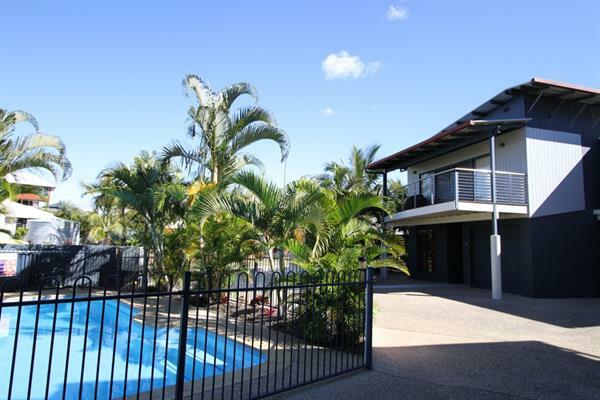 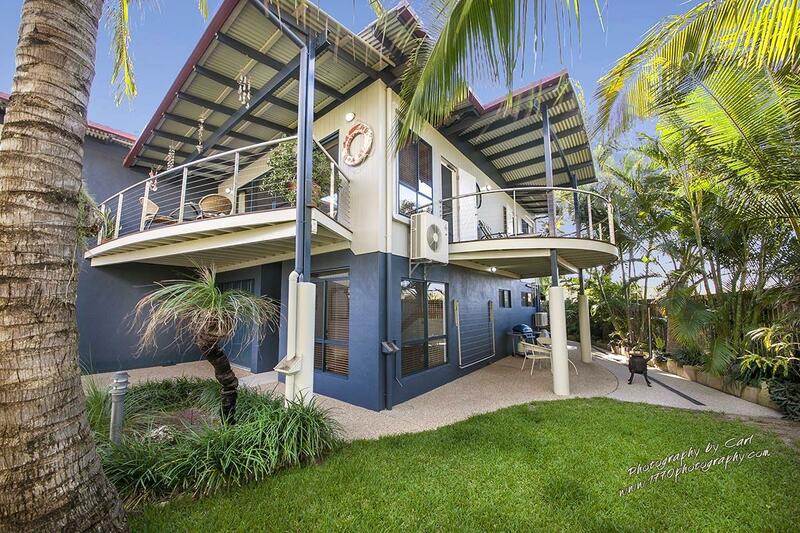 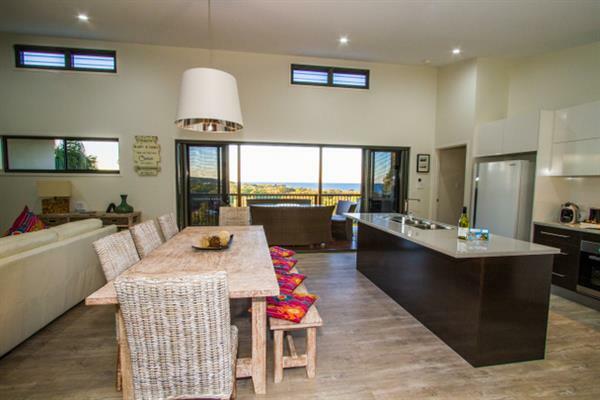 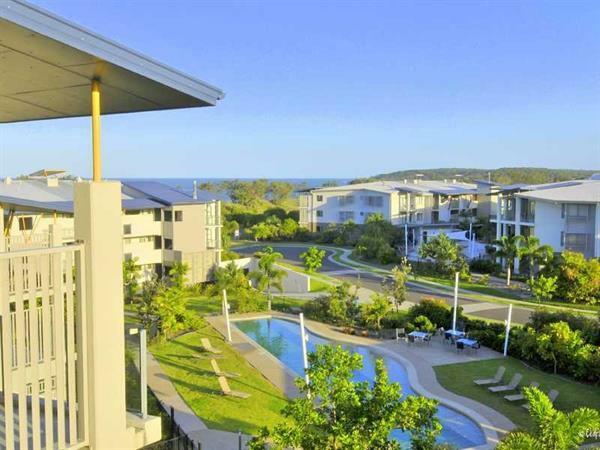 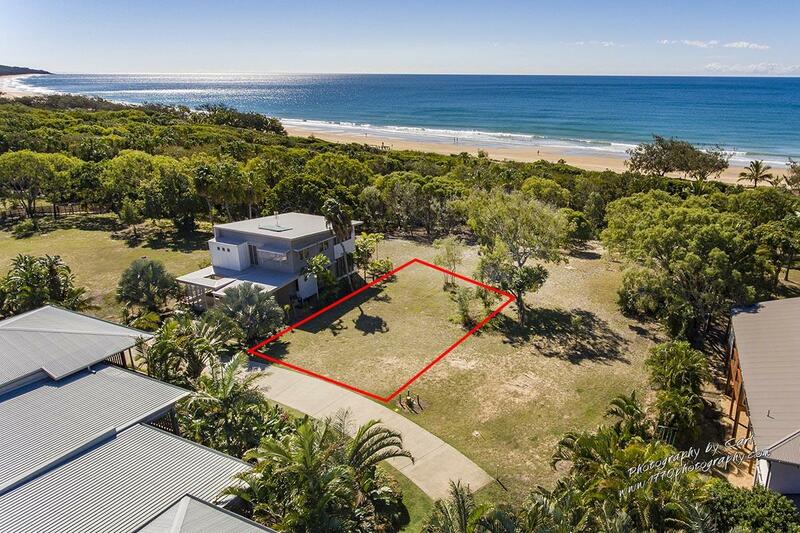 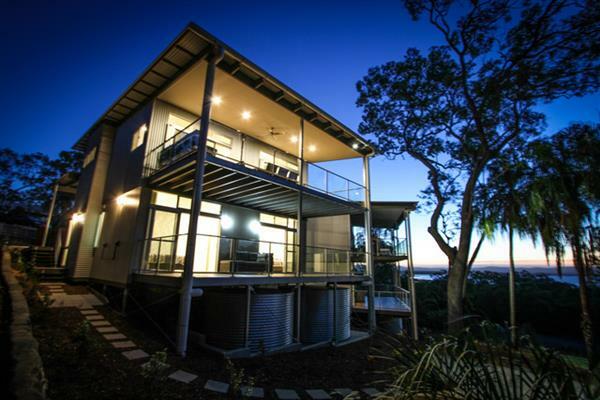 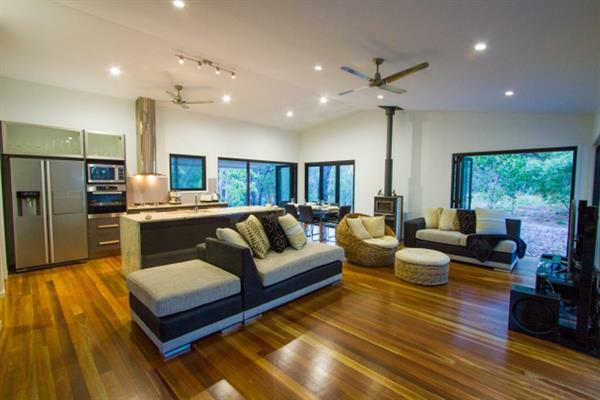 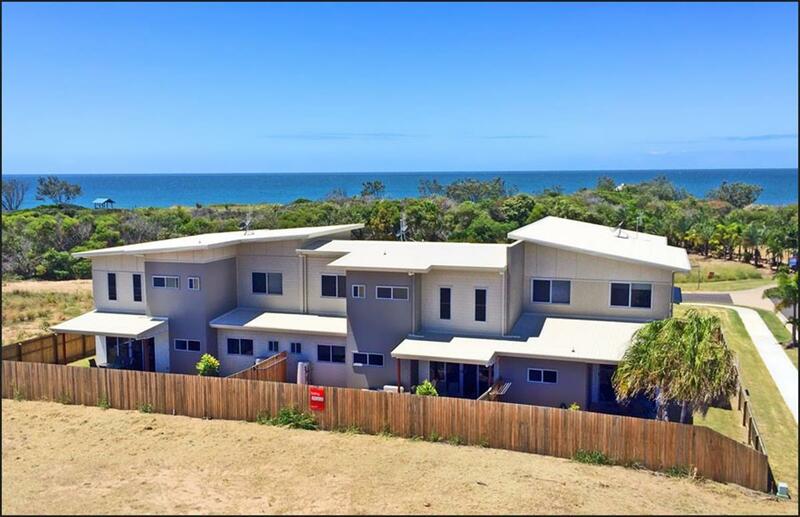 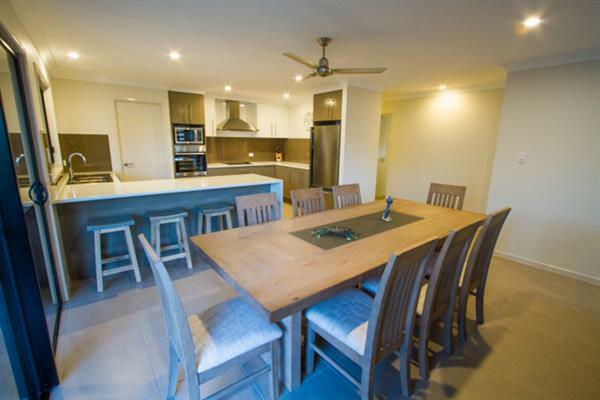 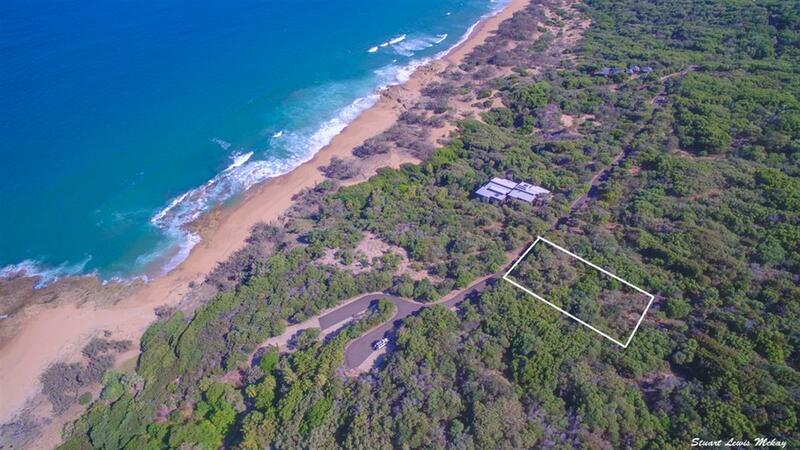 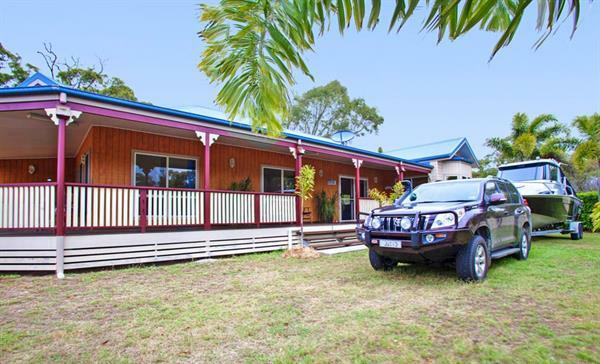 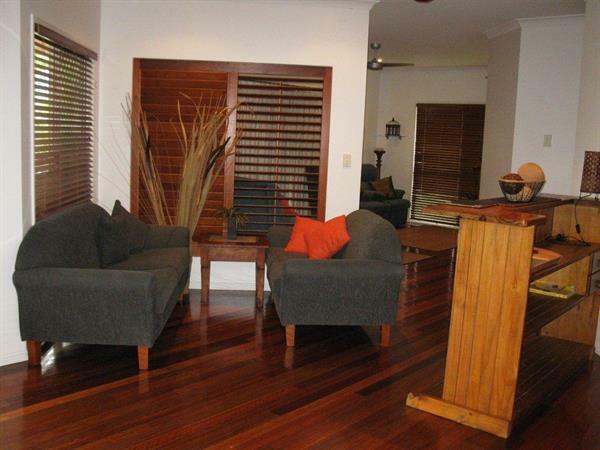 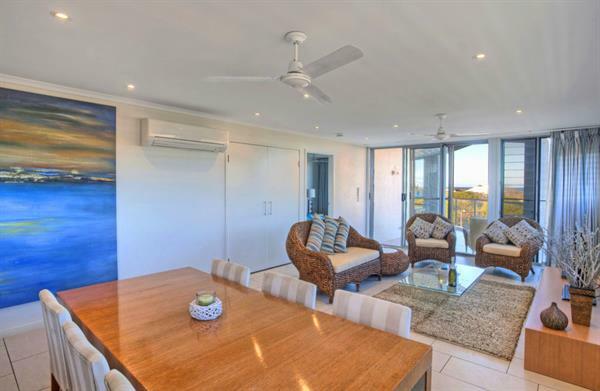 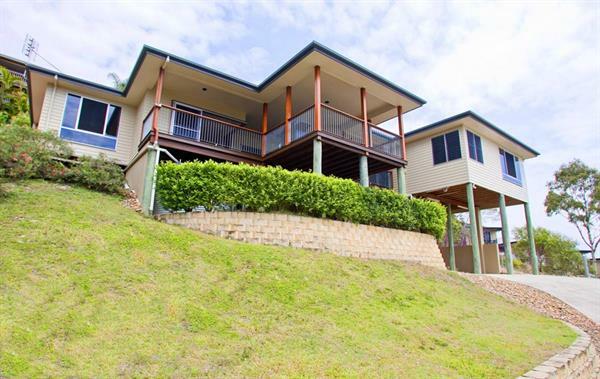 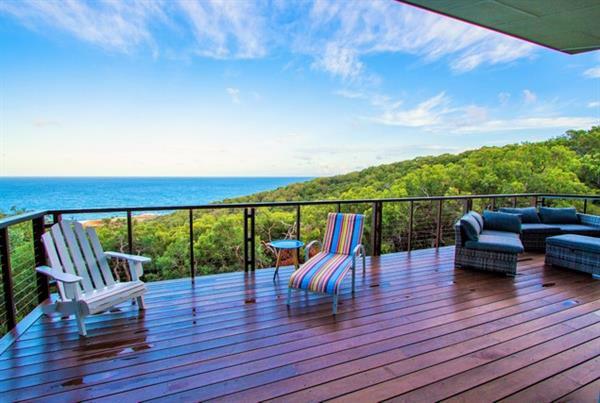 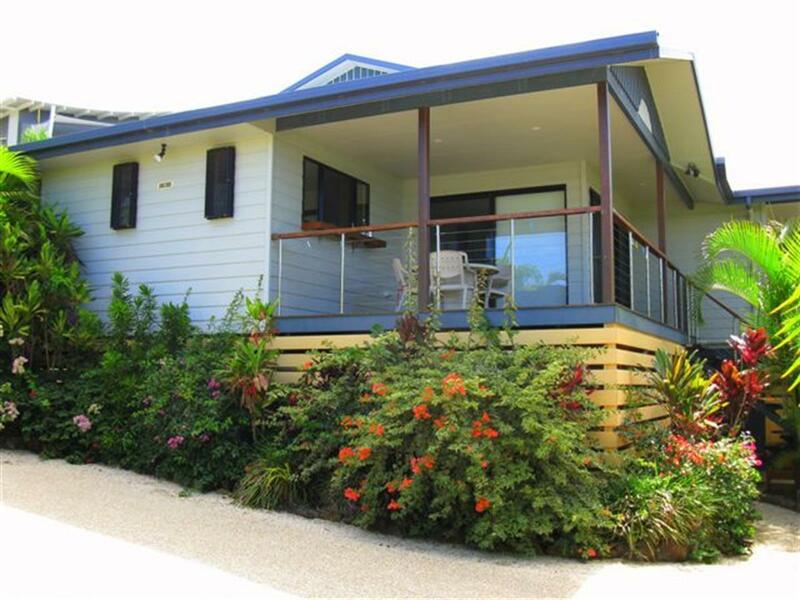 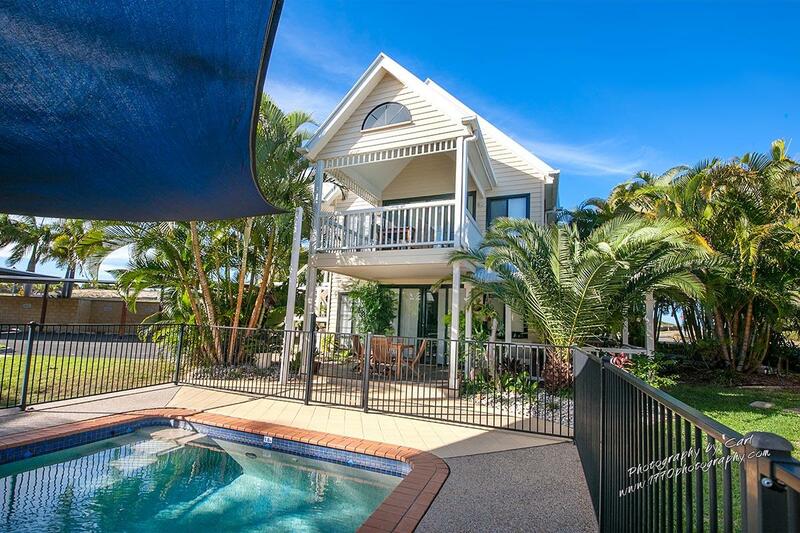 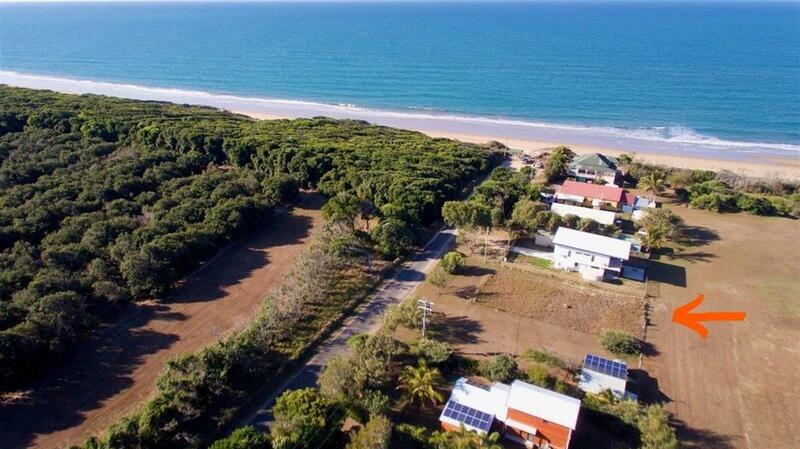 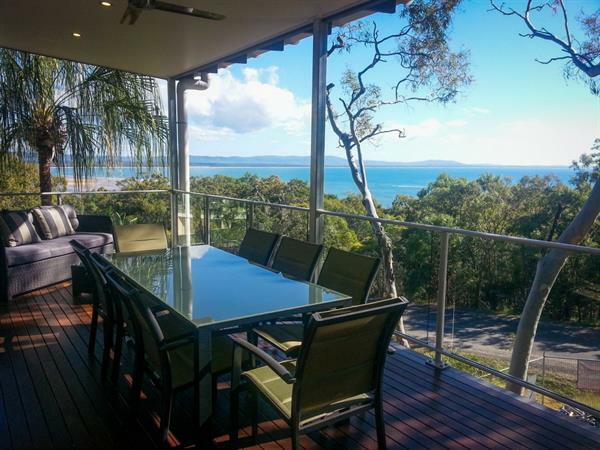 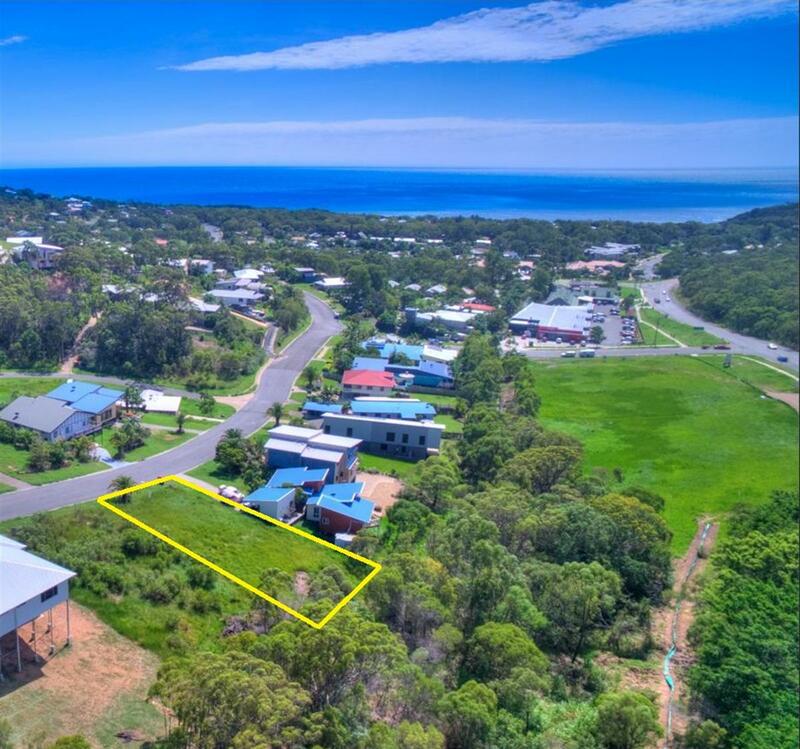 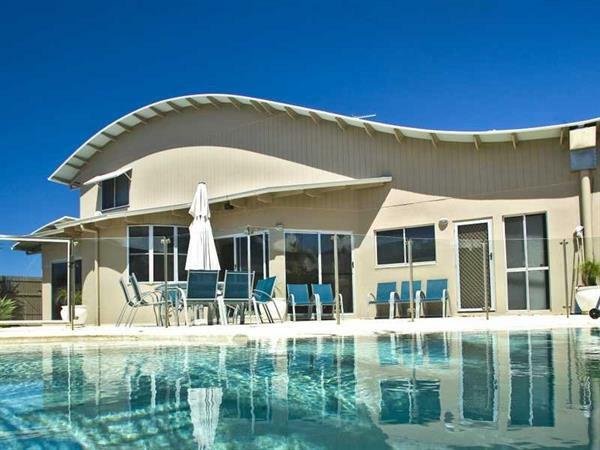 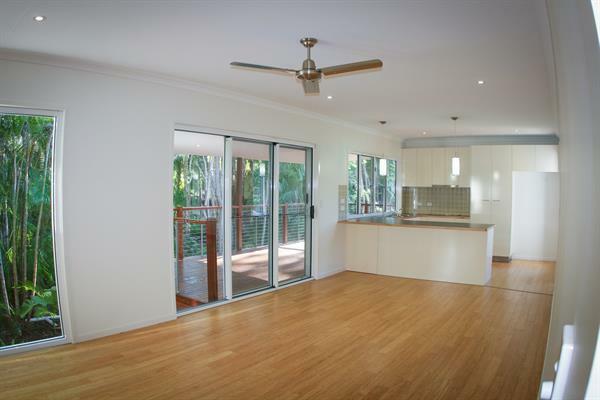 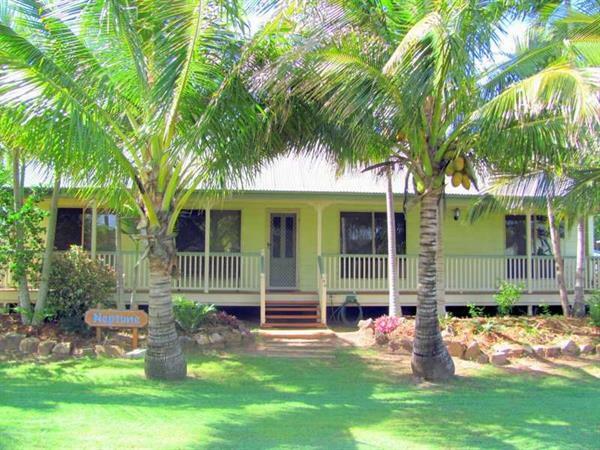 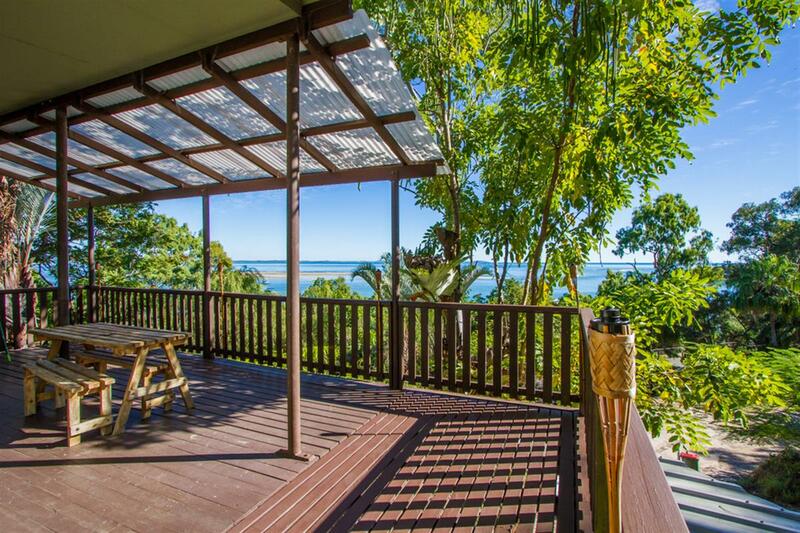 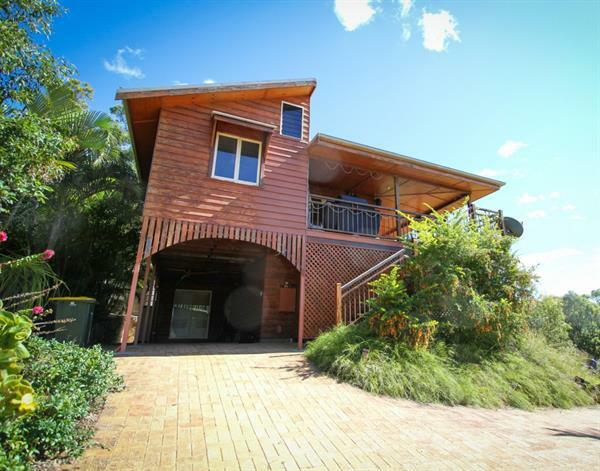 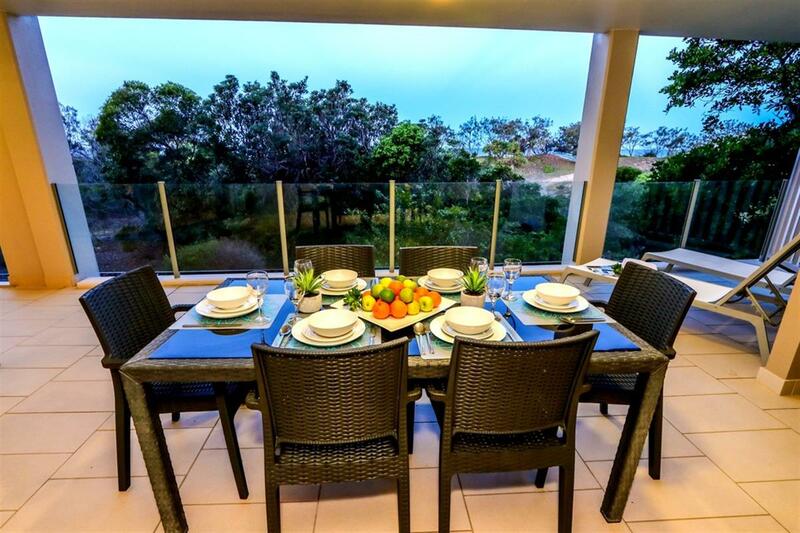 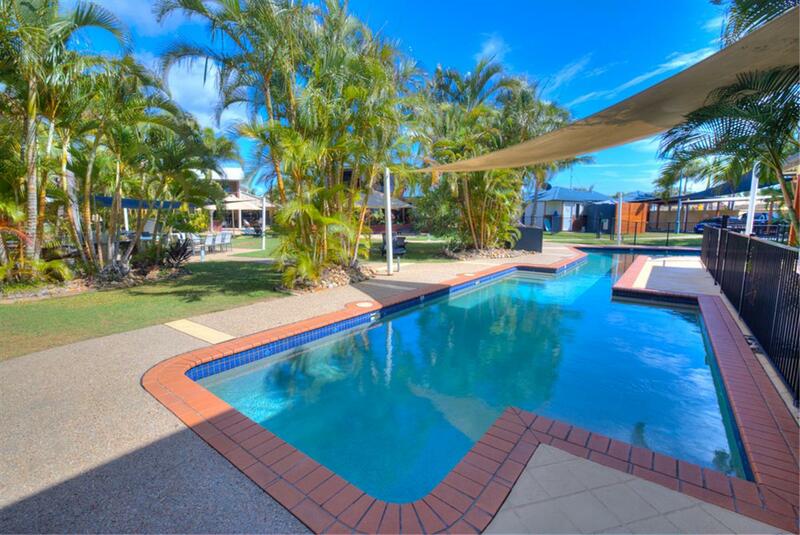 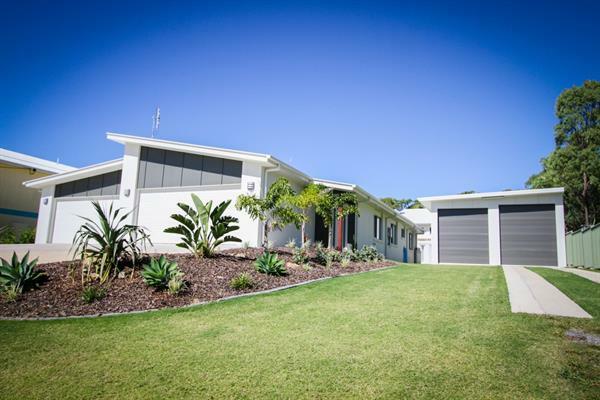 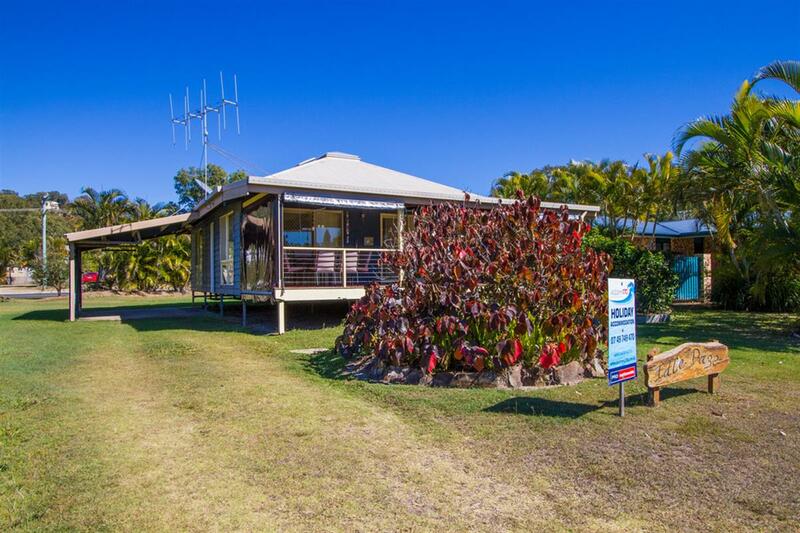 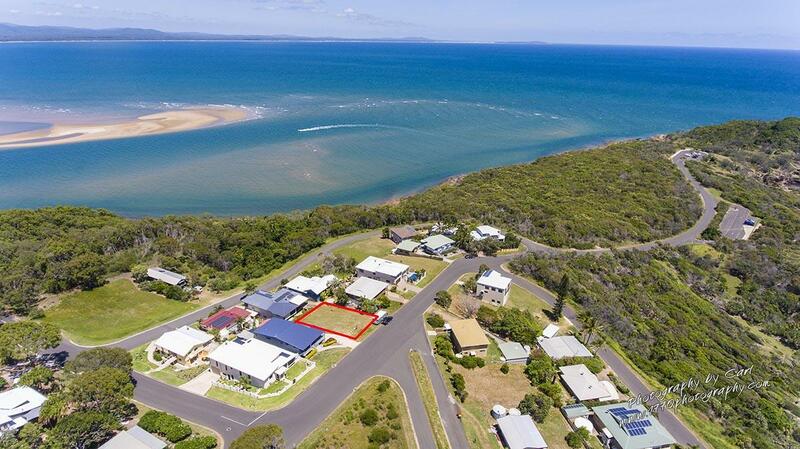 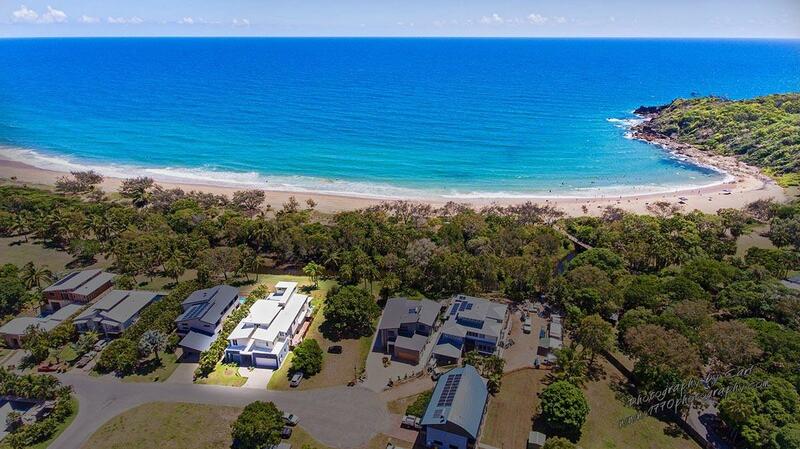 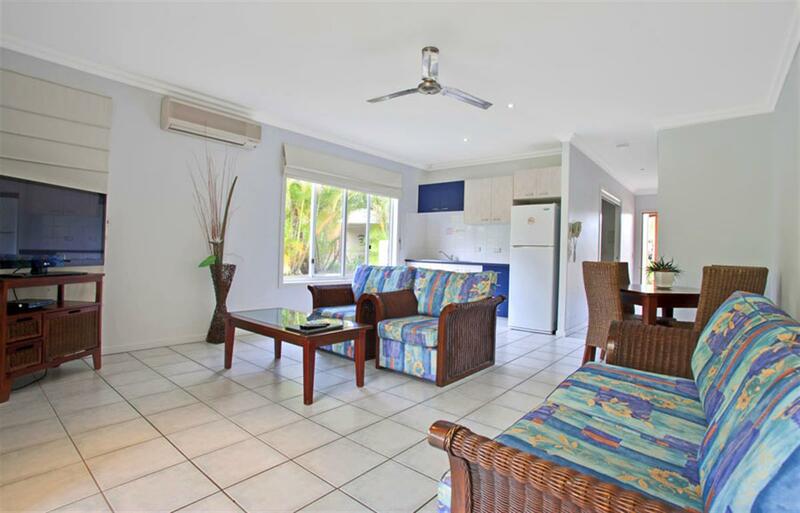 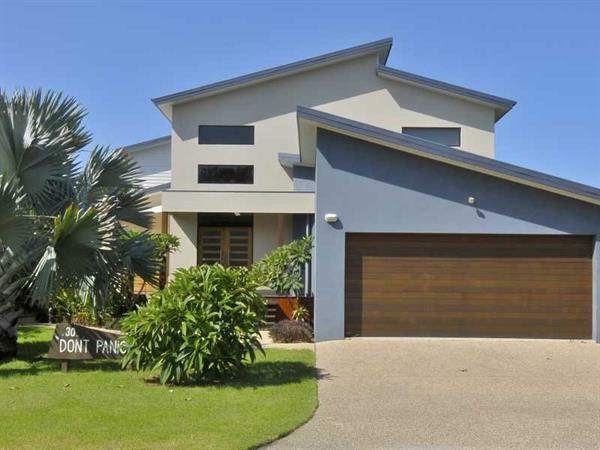 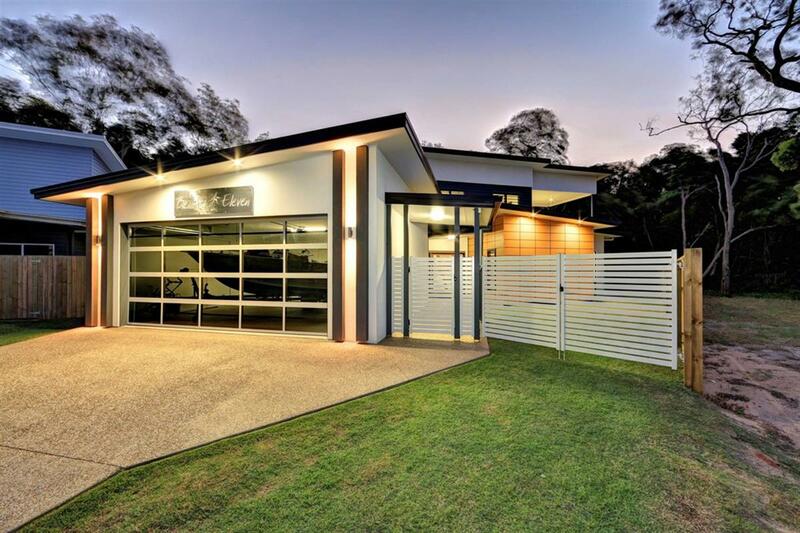 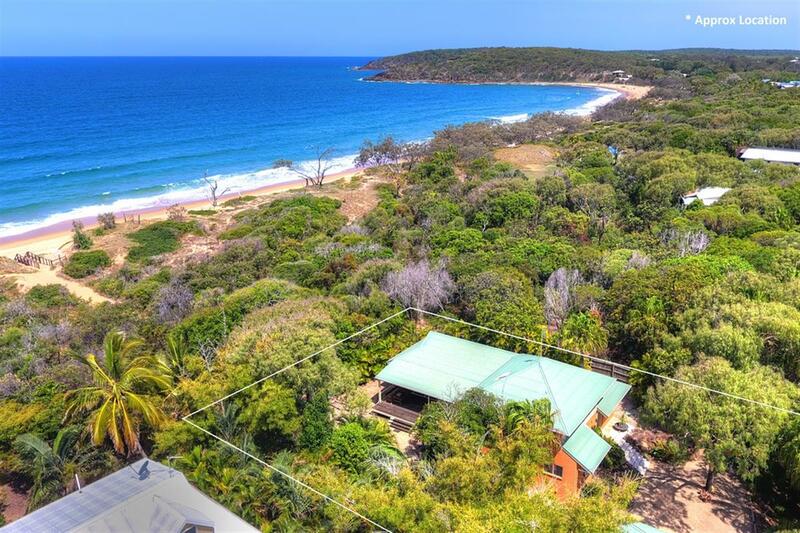 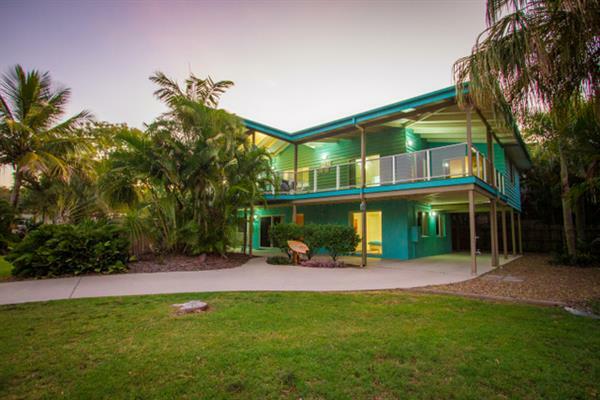 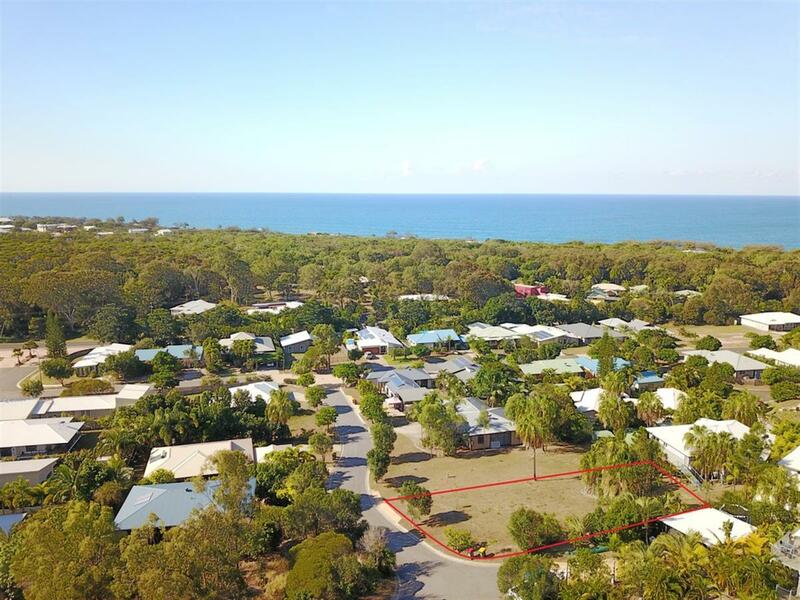 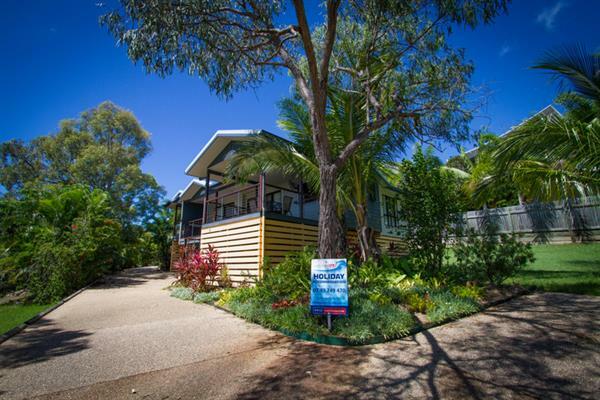 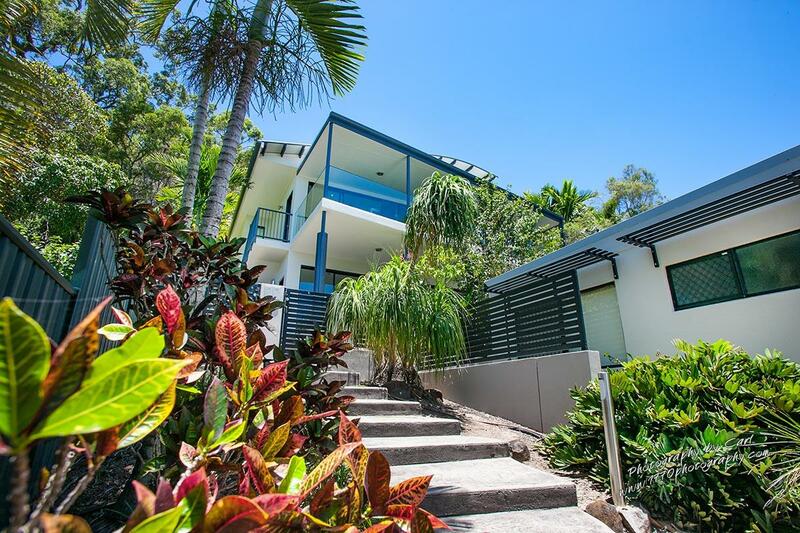 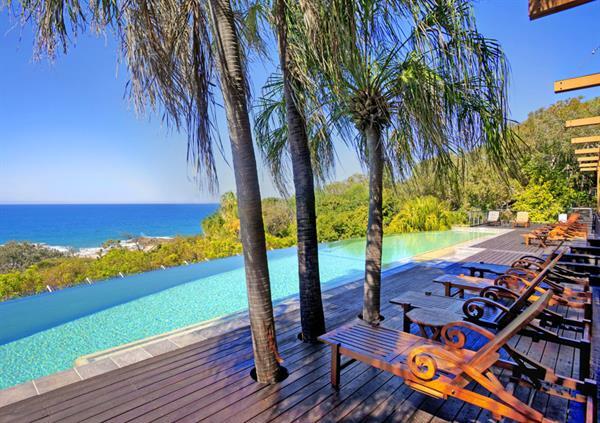 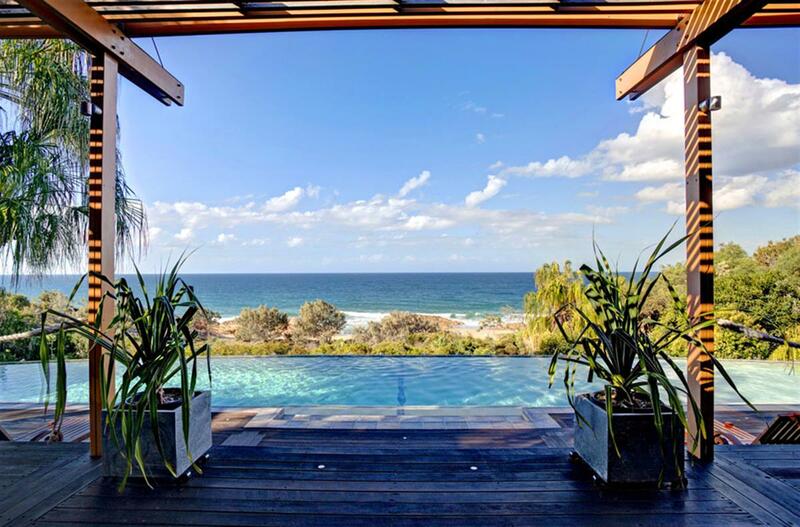 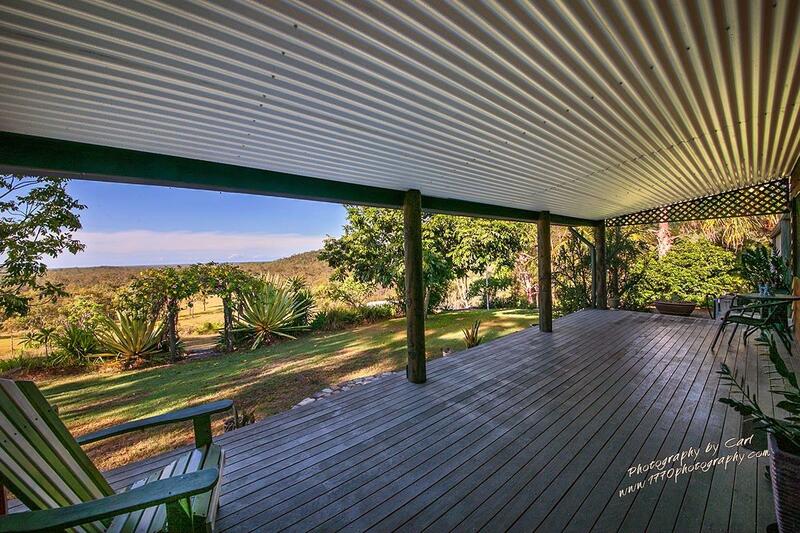 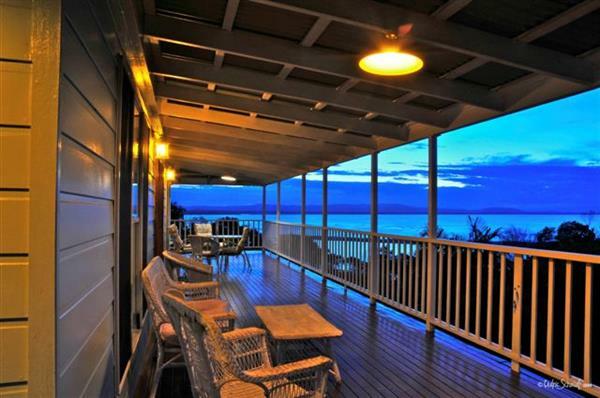 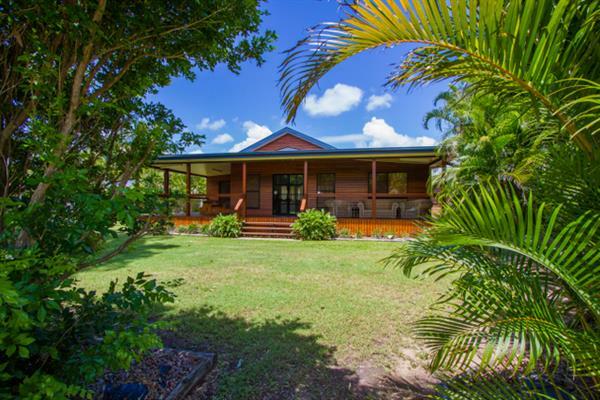 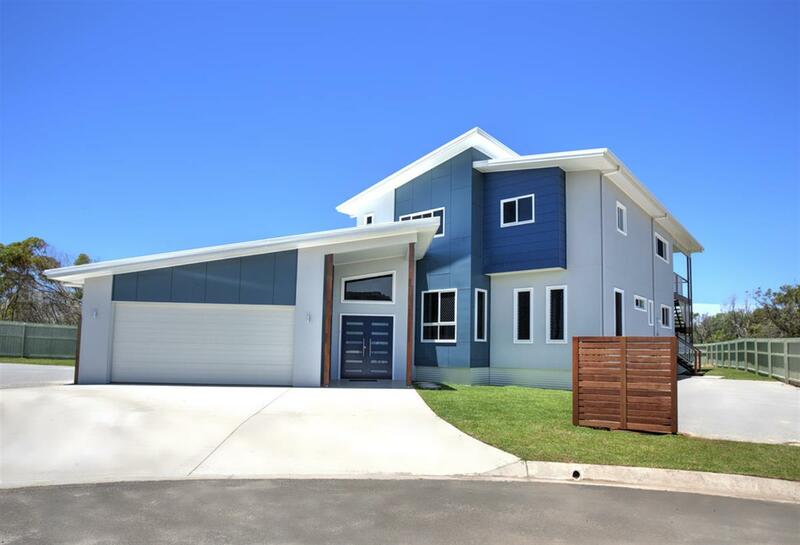 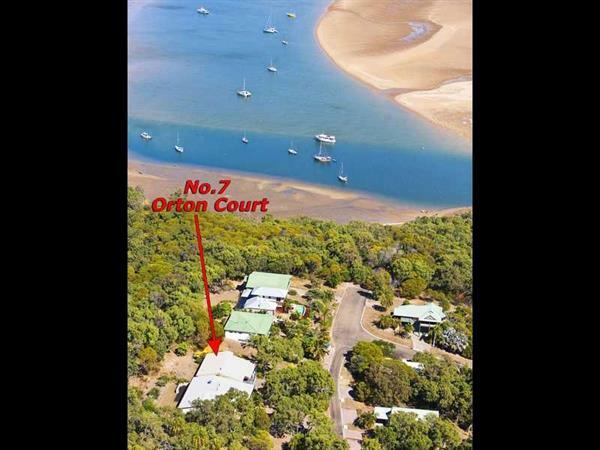 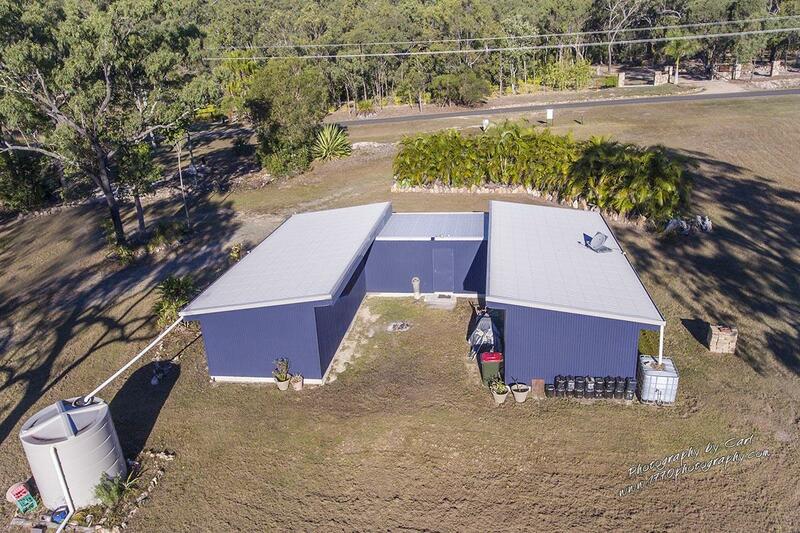 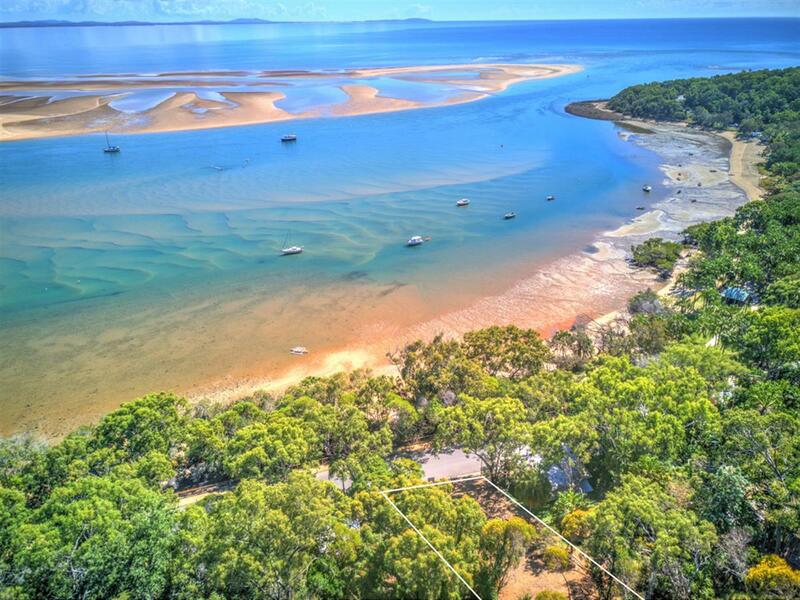 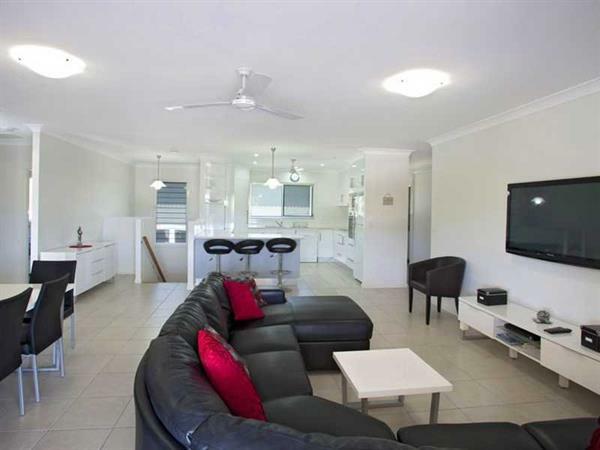 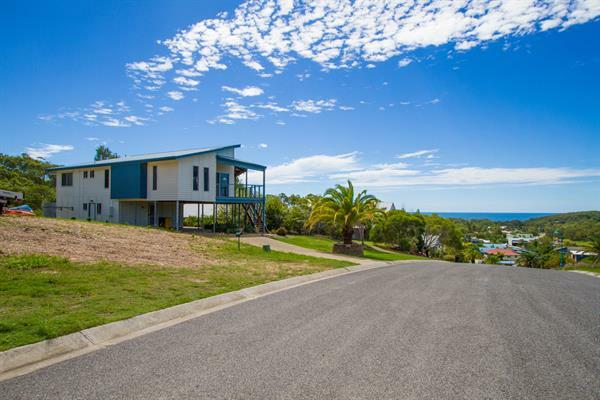 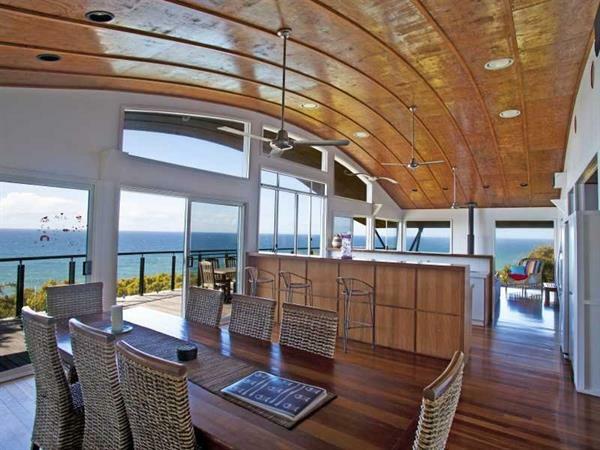 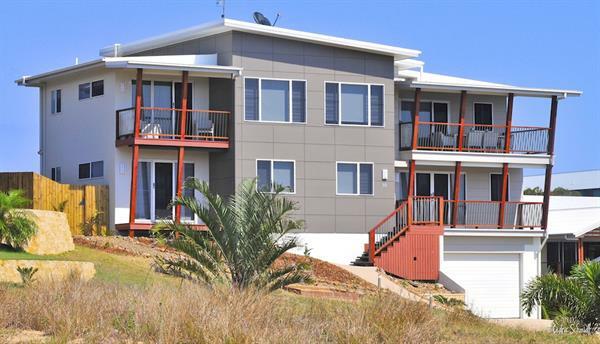 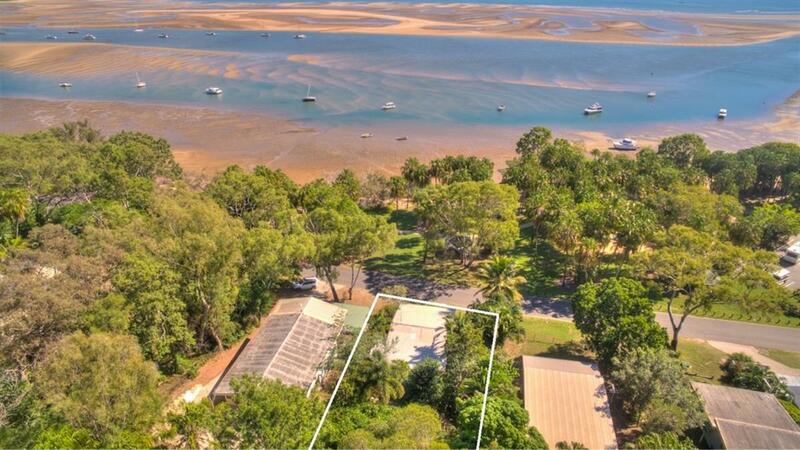 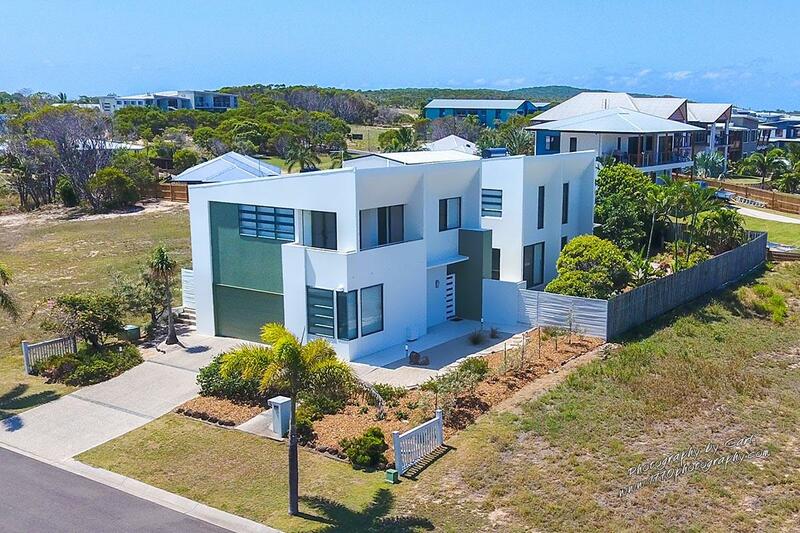 Sea Eagle is an absolute exquisite holiday home in the exclusive and privately gated estate of Rocky Point at Agnes Water, Town of 1770. 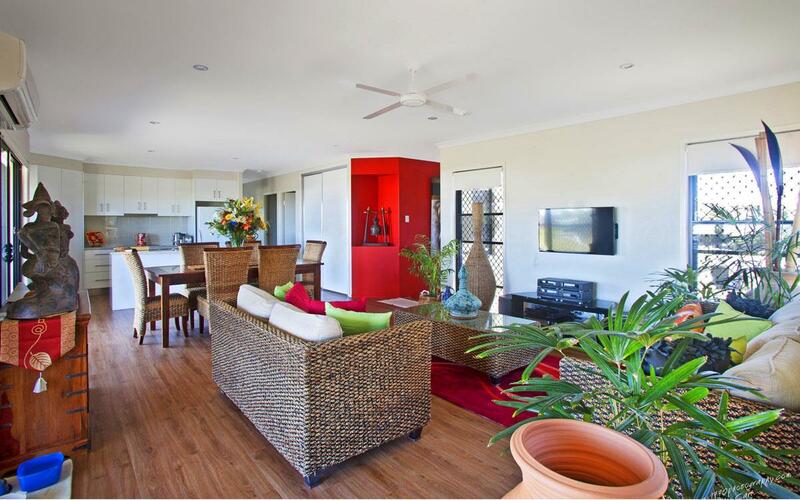 This rustic luxurious award winning beach house can sleep up to 12 people and provides a relaxing, informal open plan design which is perfect for family friendly gatherings - while also being popular for romantic getaways for two, utilising the separate Bungalows. 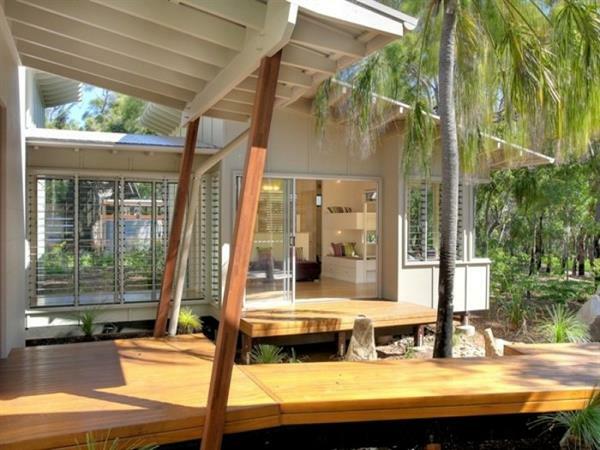 The use of natural wood and glass gives this home an organic feel, with natural light flooding in and with almost every room a view to the Coral Sea. 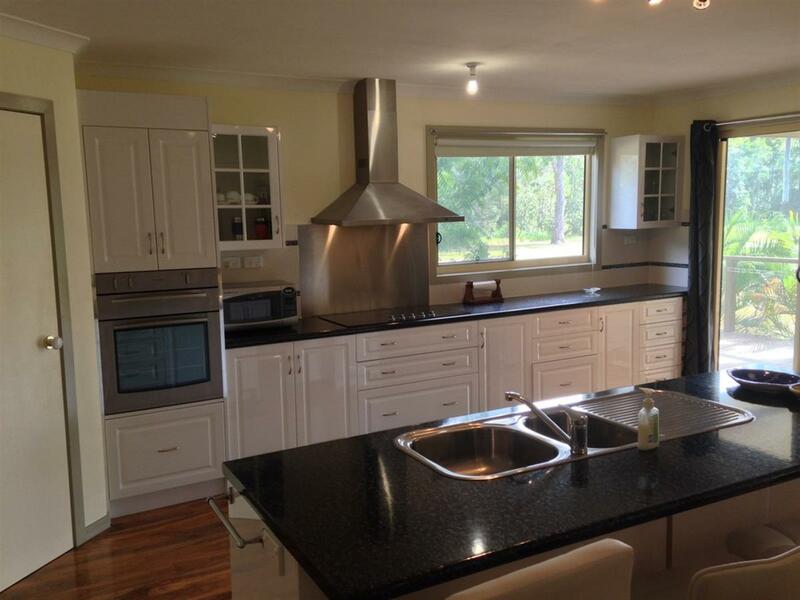 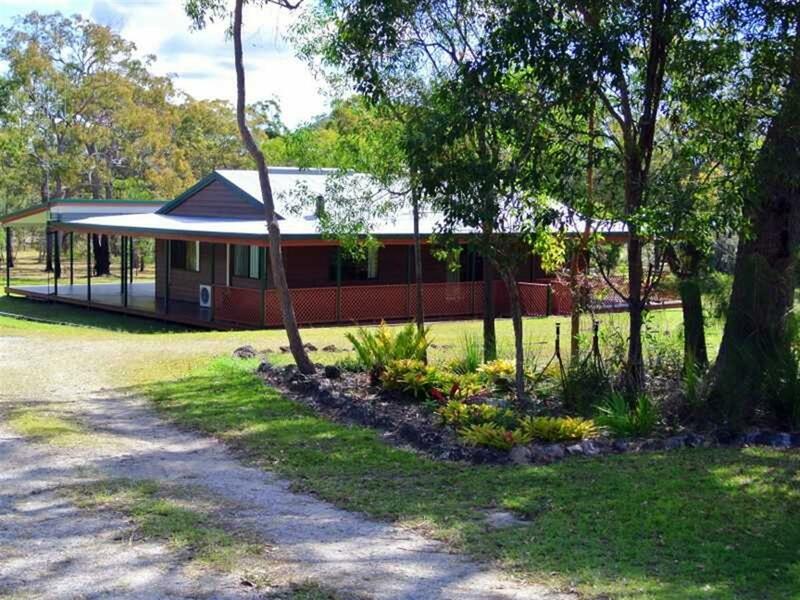 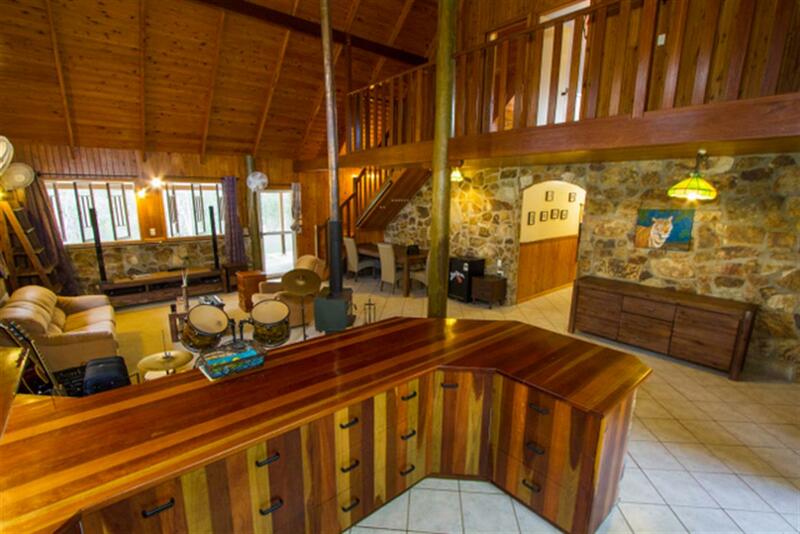 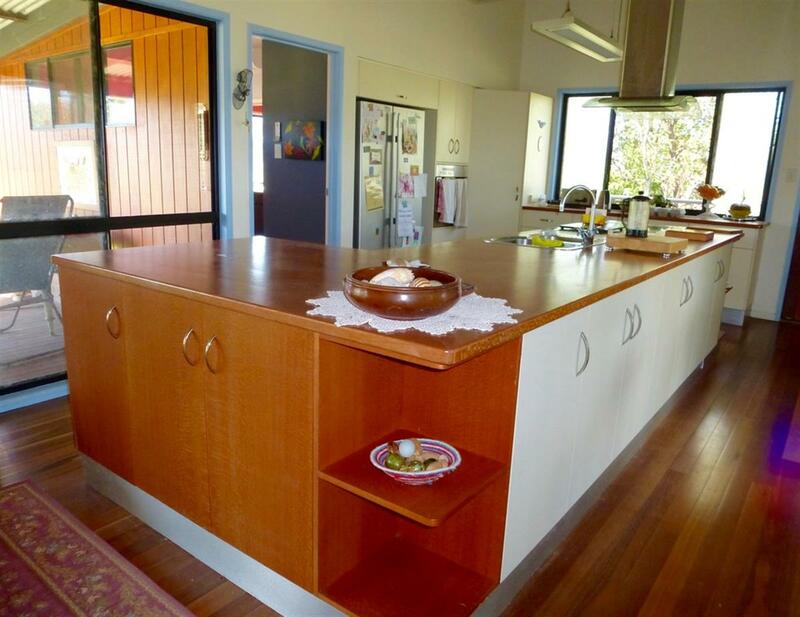 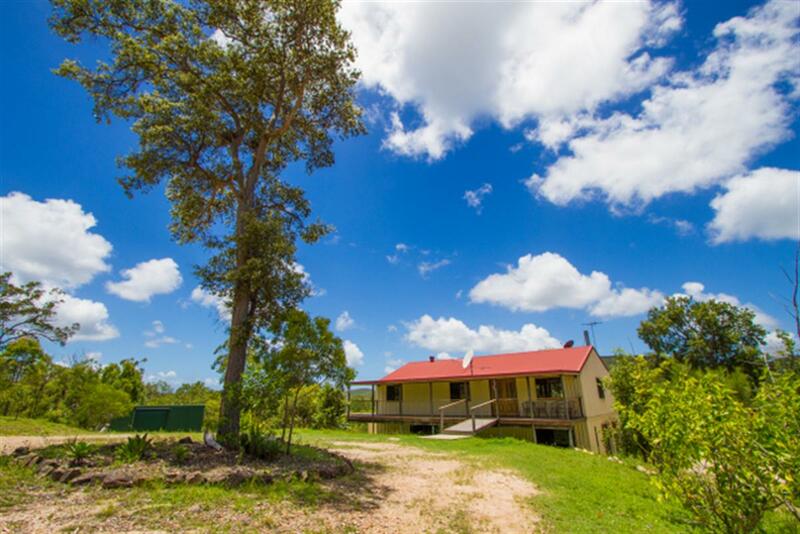 The main house offers two levels with an abundance of space and privacy, with upstairs dedicated to entertaining. 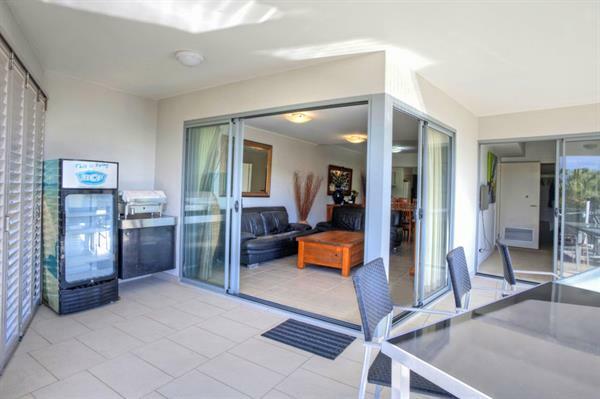 Featuring all open plan kitchen, dining, lounge and fire place, floor to ceiling glass all opening onto a spacious deck area with BBQ. 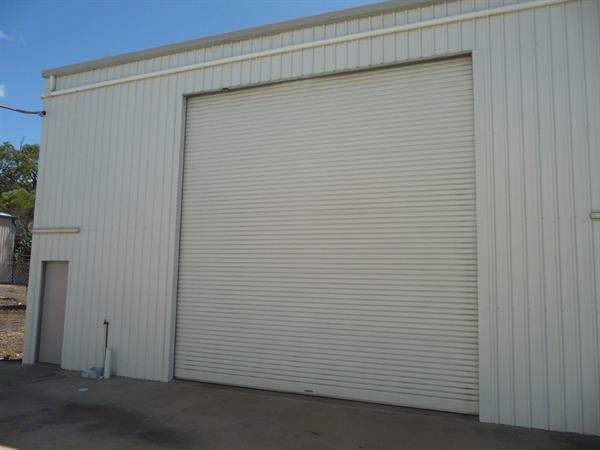 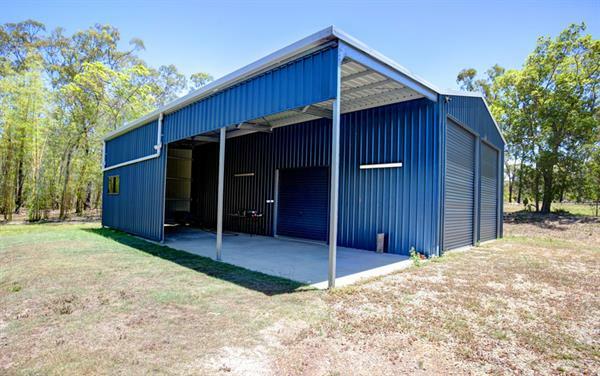 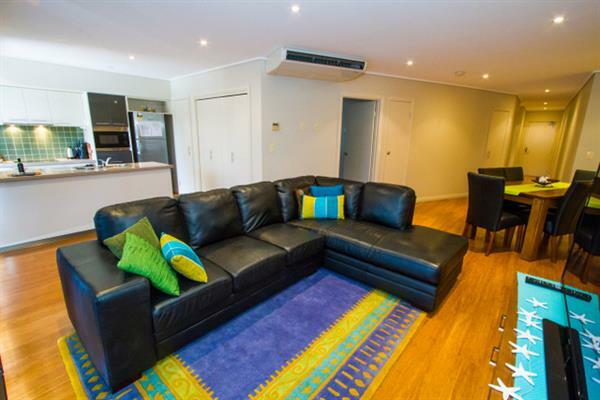 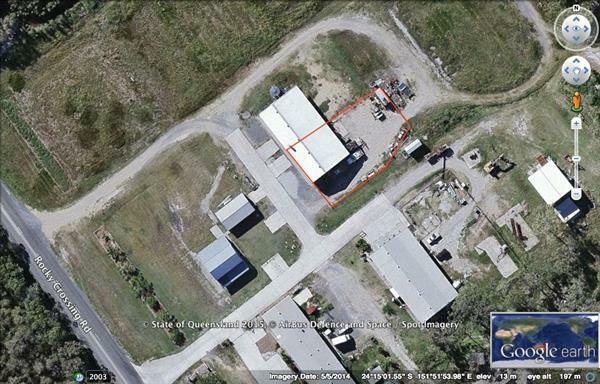 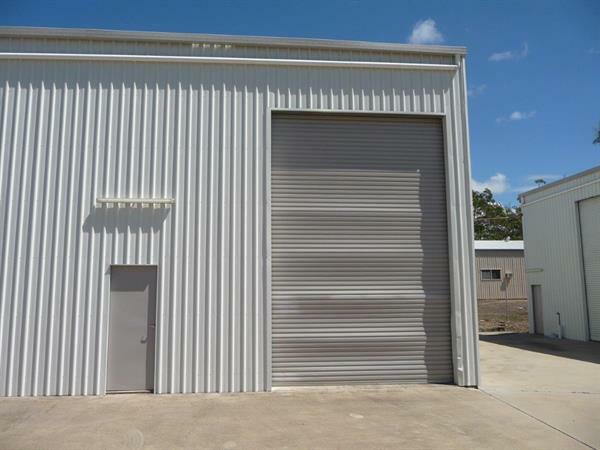 Adjoining here there is also a large storeroom with the convenience of an extra fridge and separate amenities. 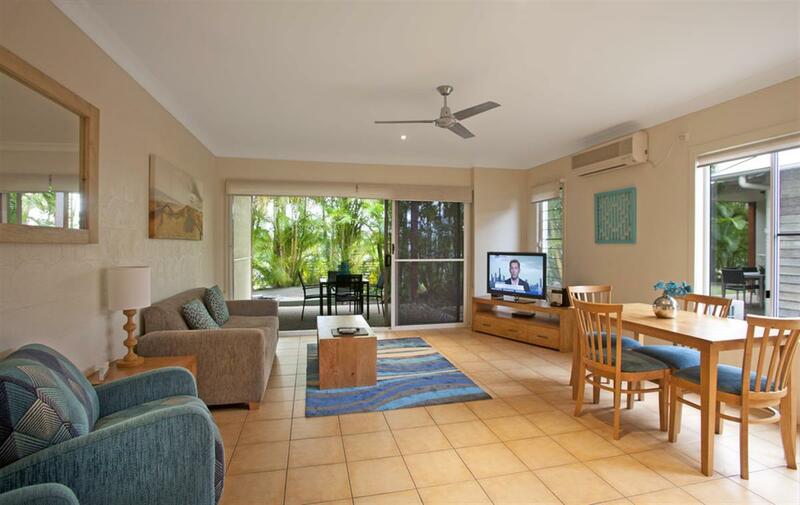 The lower level of this divine property features lounge and TV area with comfortable furnishings including bean bags and futon. 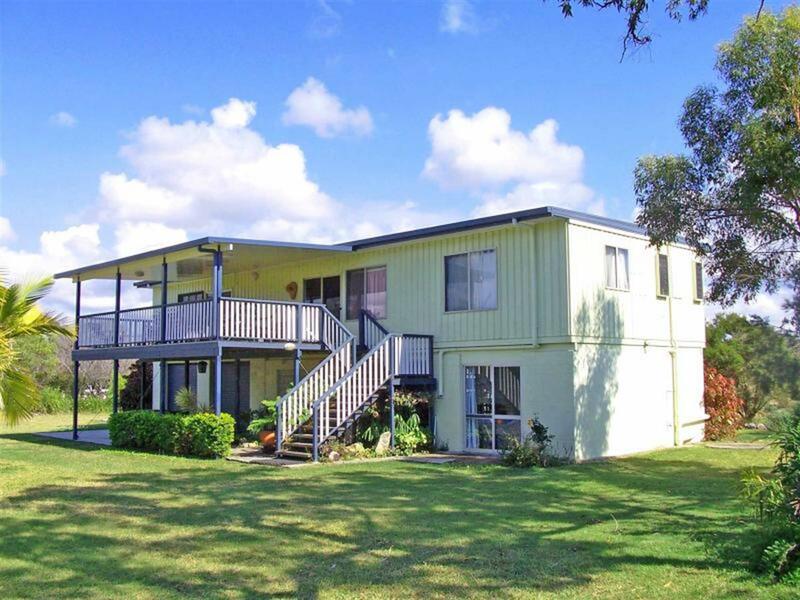 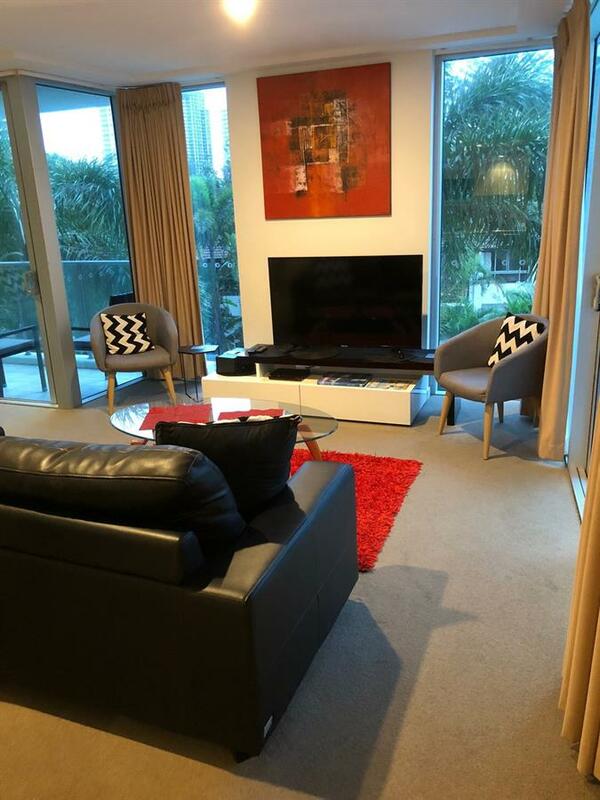 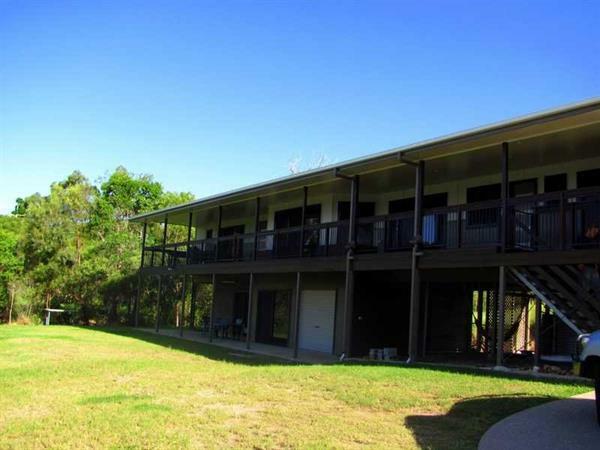 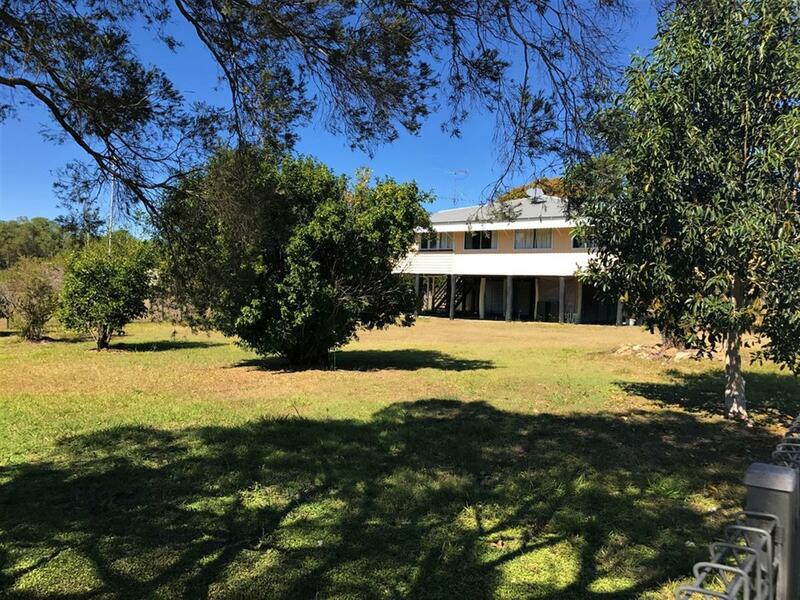 There is a large bunkroom with 6 singles opening onto the lower balcony, a double shower and separate toilet amenities also in this section of the property. 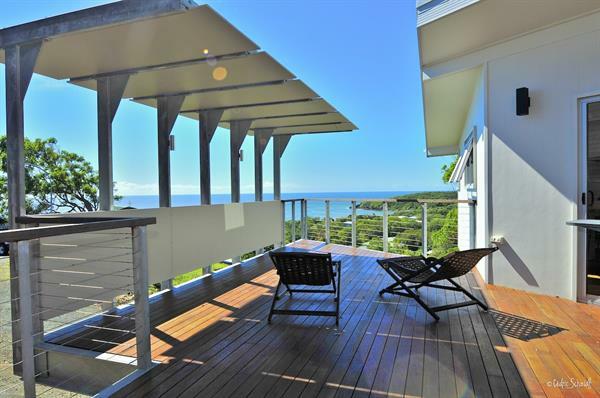 A queen master bedroom with ensuite also opens onto the private balcony bringing in the ocean breezes and native outlook. 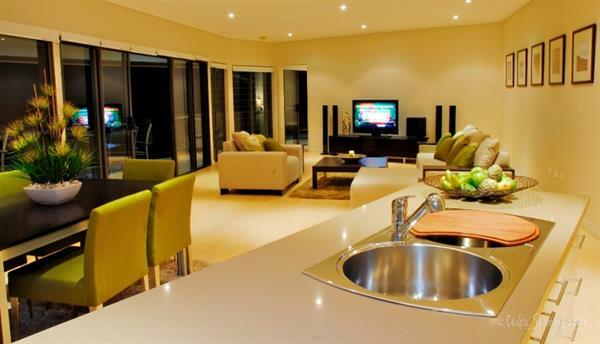 A separate laundry is also located on this level. 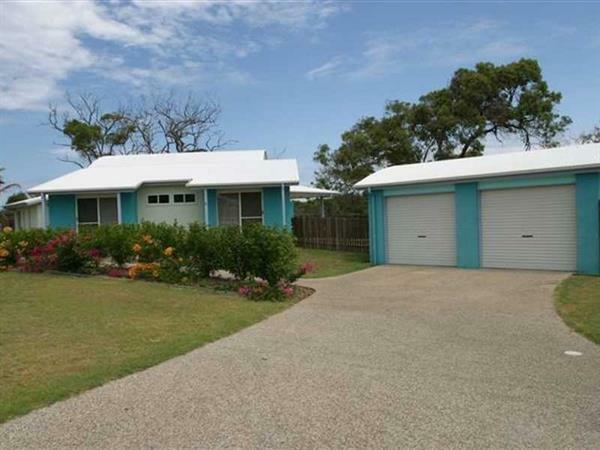 Bungalows. 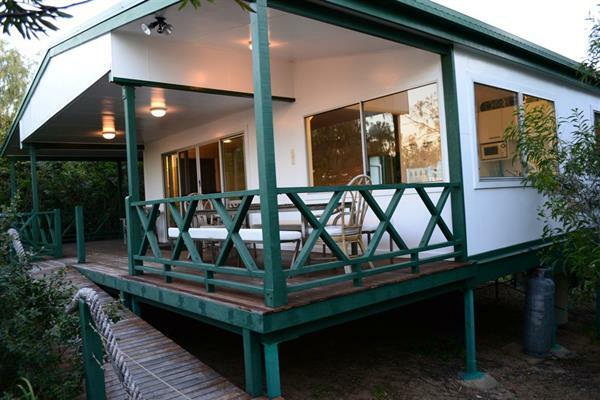 Two self contained queen bungalows are nestled amongst the gardens separate from the main house. 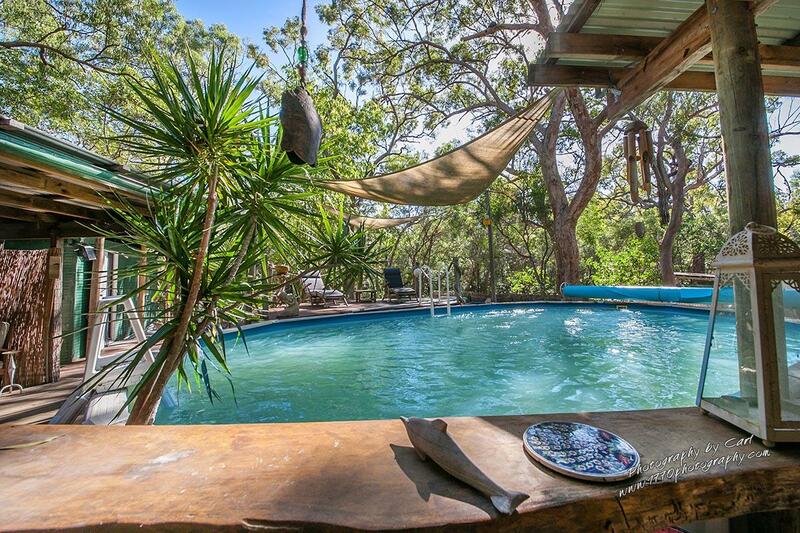 One bungalow has its own spa bath. 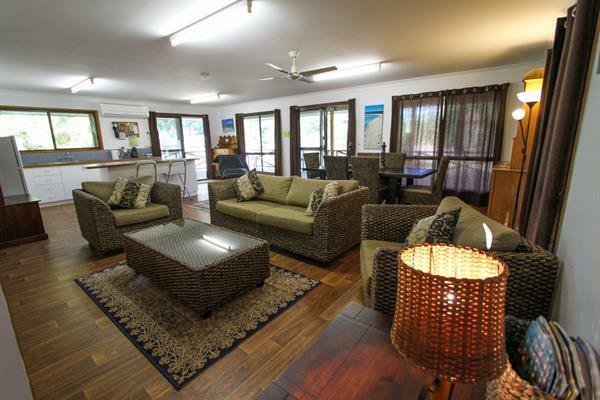 The Bungalows can be rented individually for a romantic getaway or together with the main house. 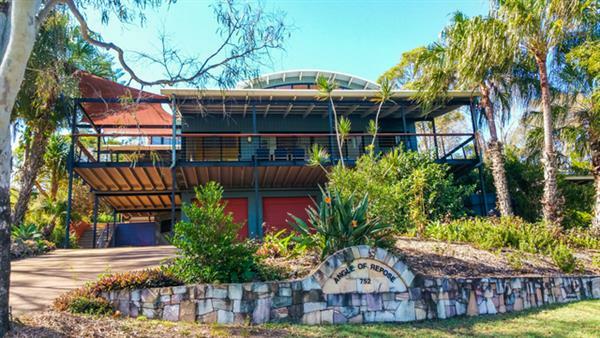 Please note the main house is not interconnecting to the Bungalows. 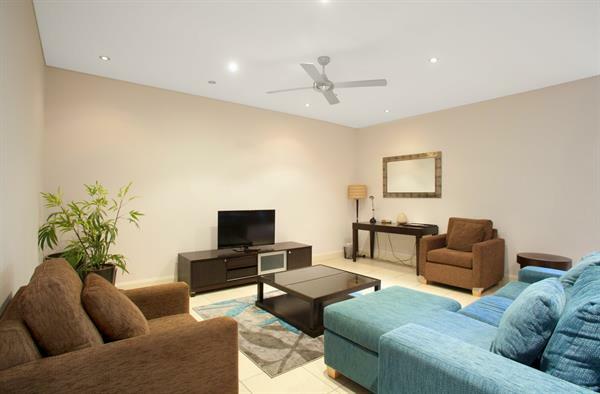 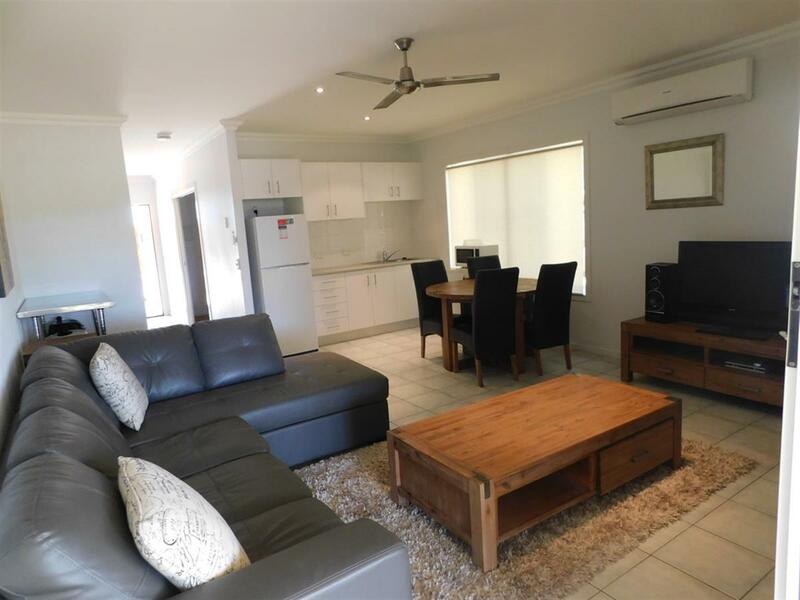 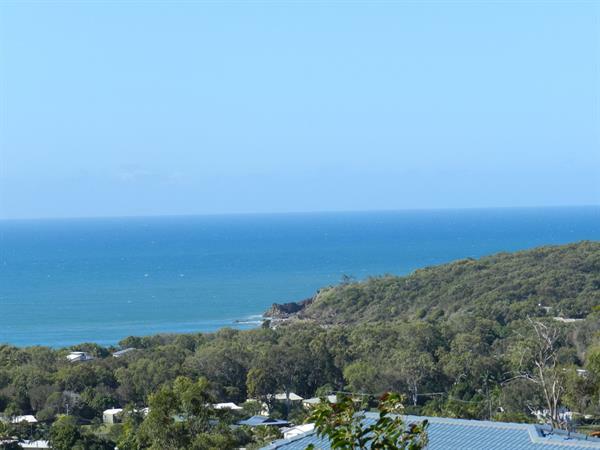 Rocky Point Agnes Water Town of 1770, has many characteristics which combine to make this holiday retreat a unique and memorable experience. 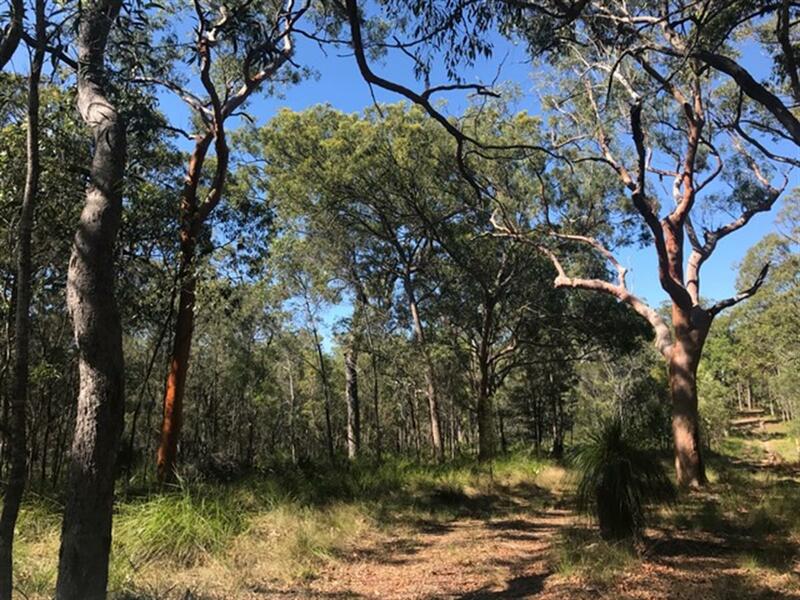 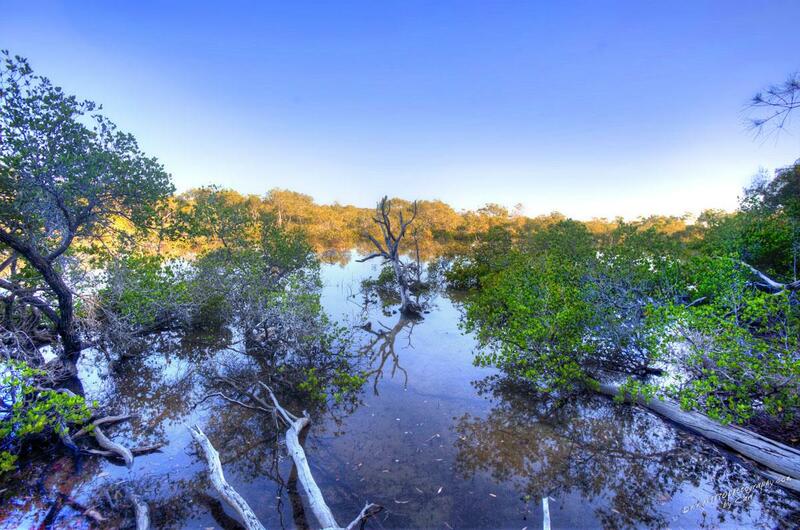 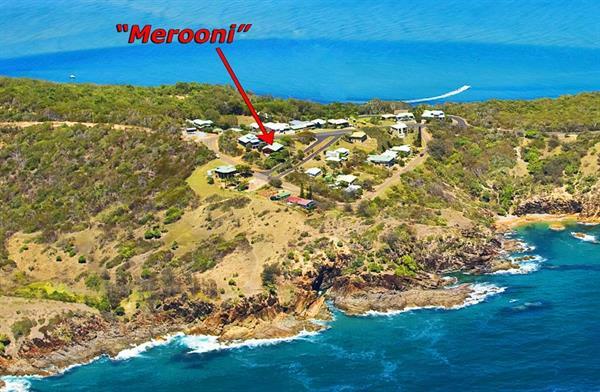 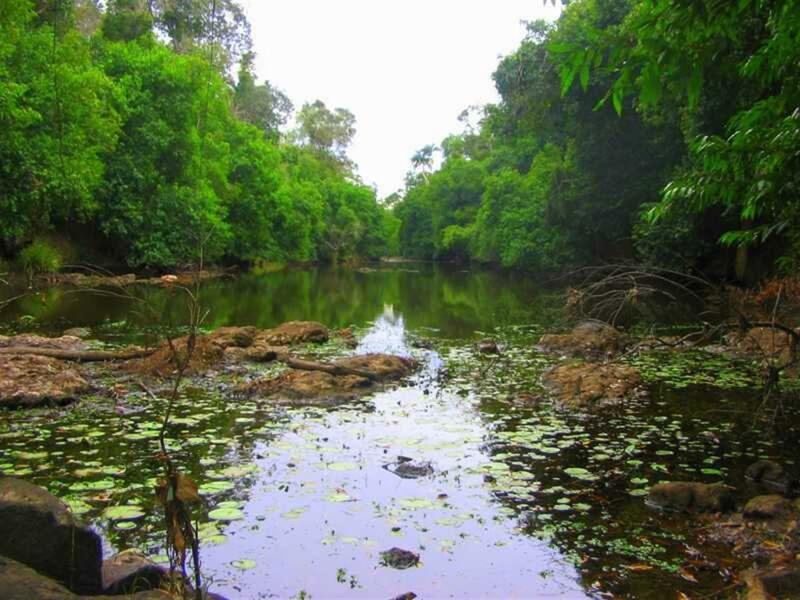 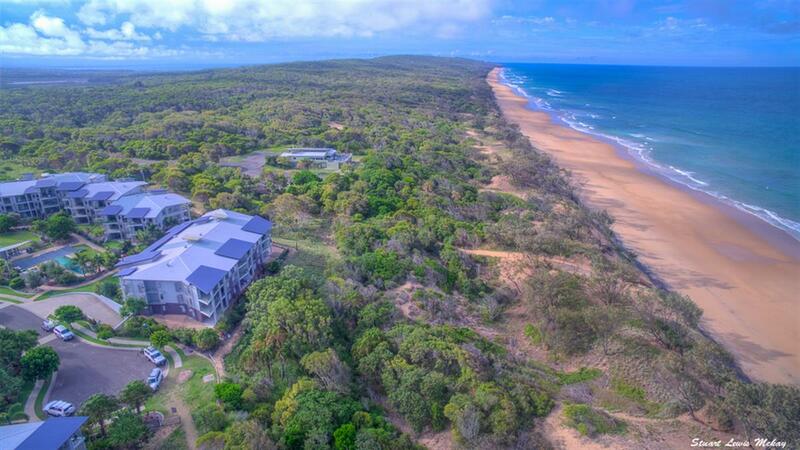 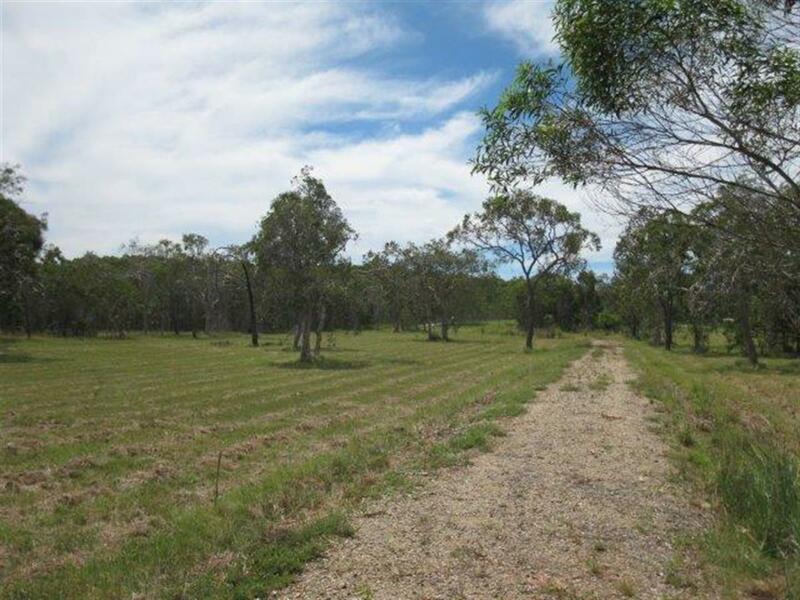 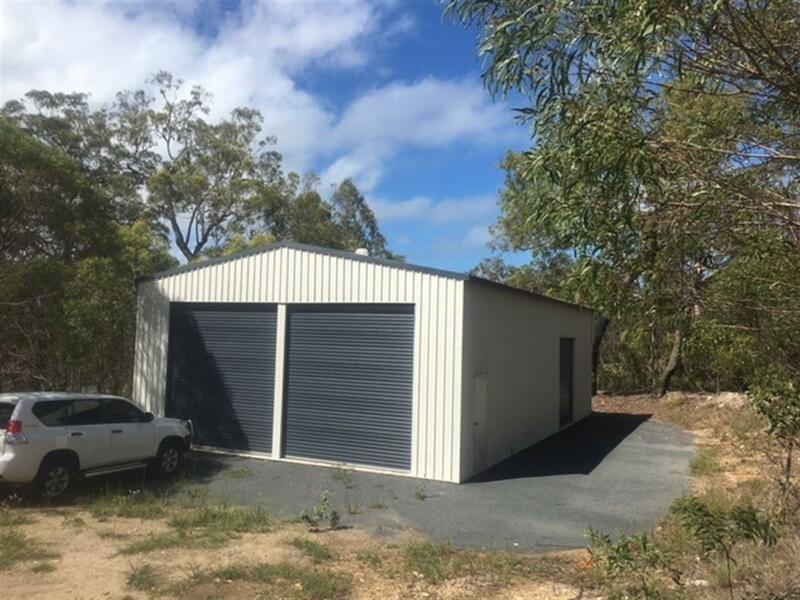 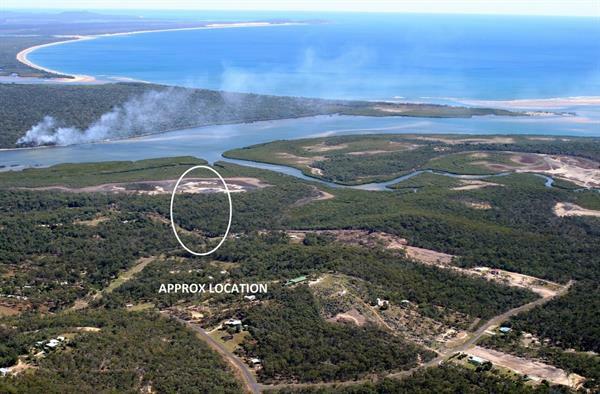 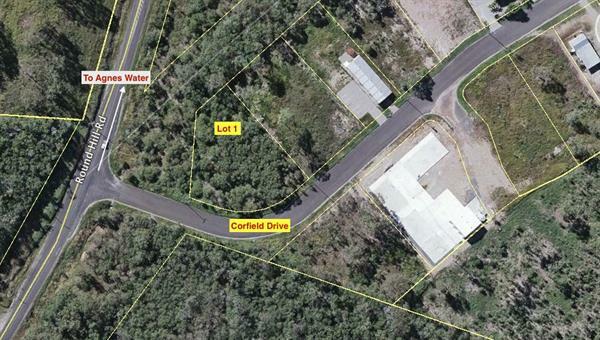 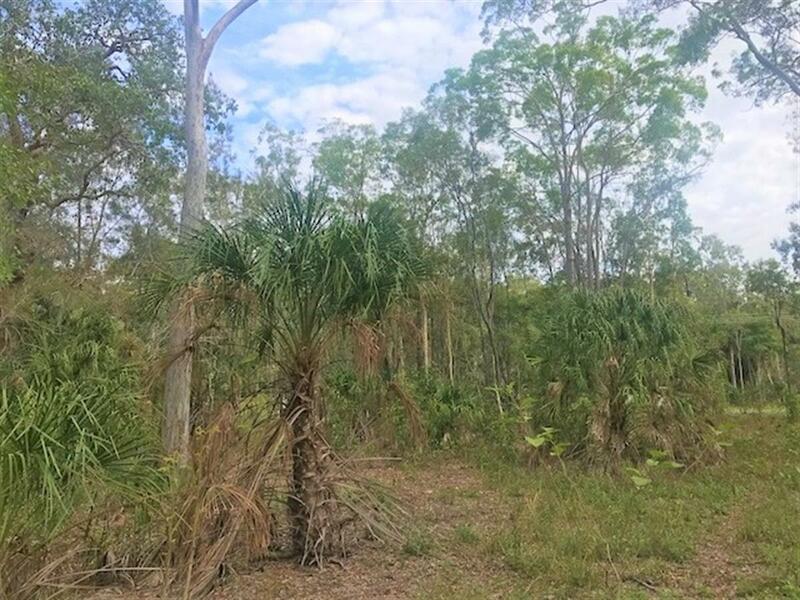 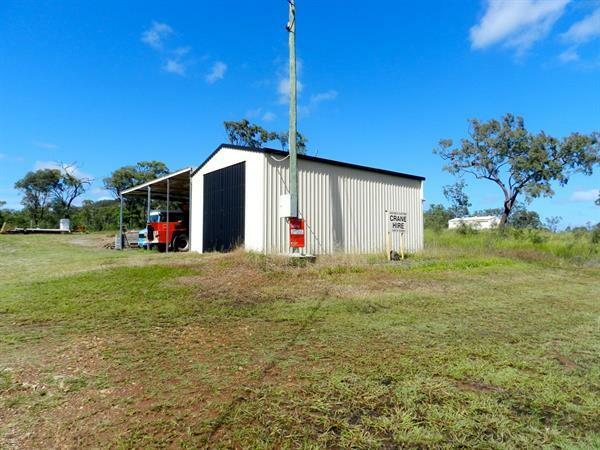 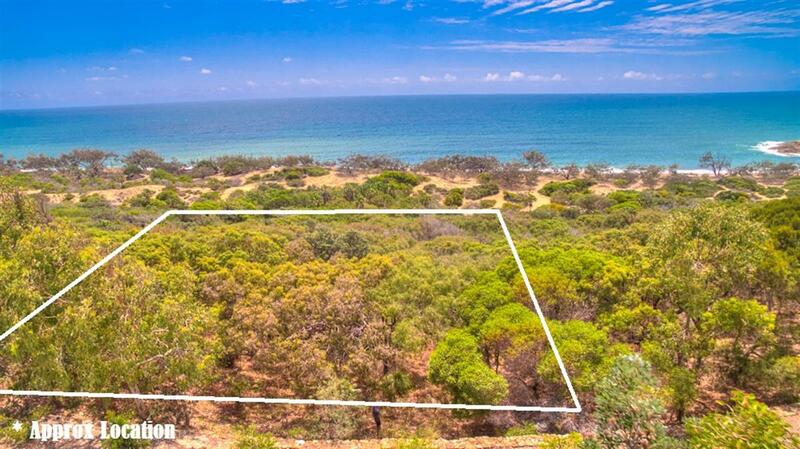 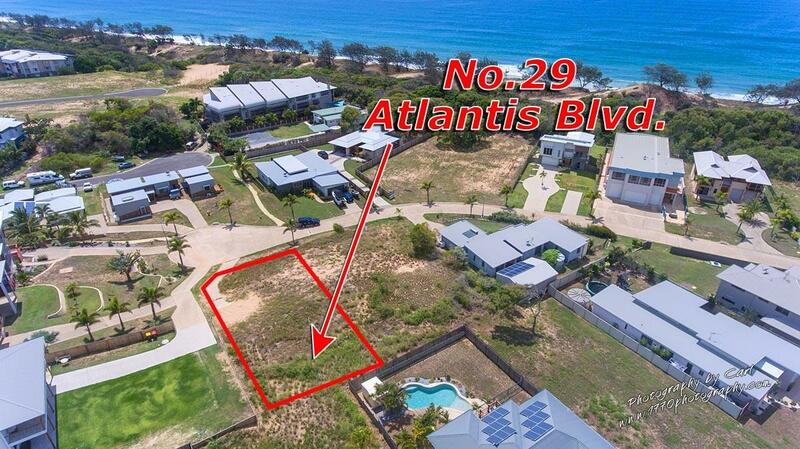 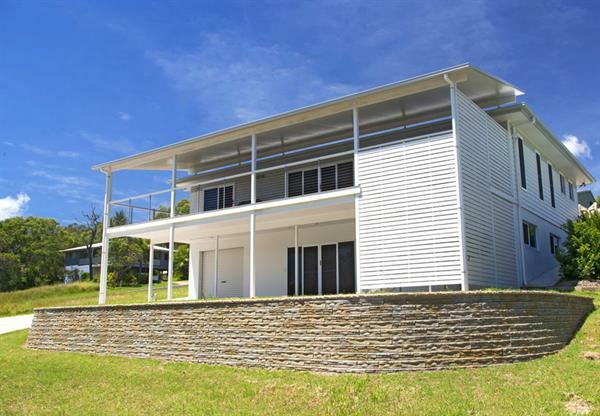 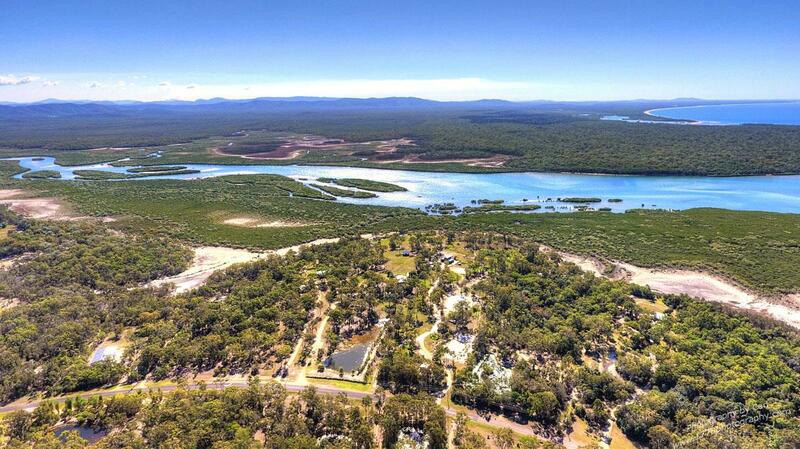 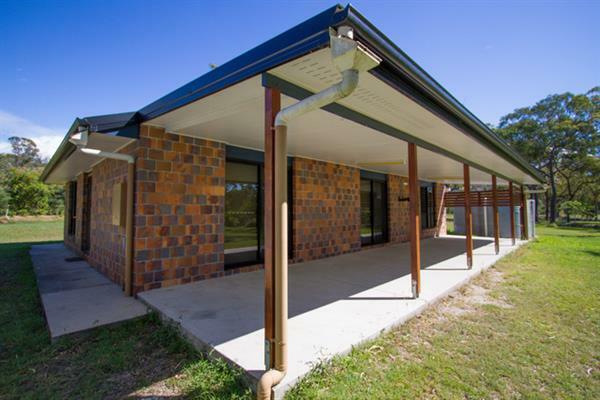 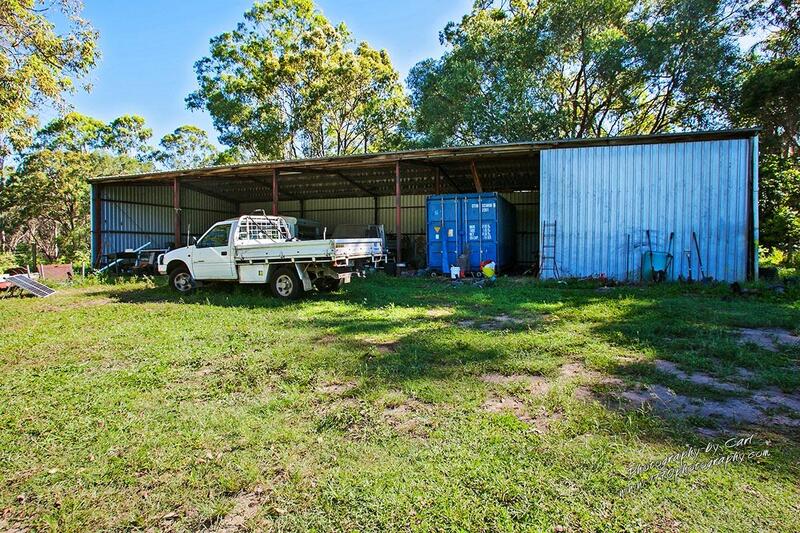 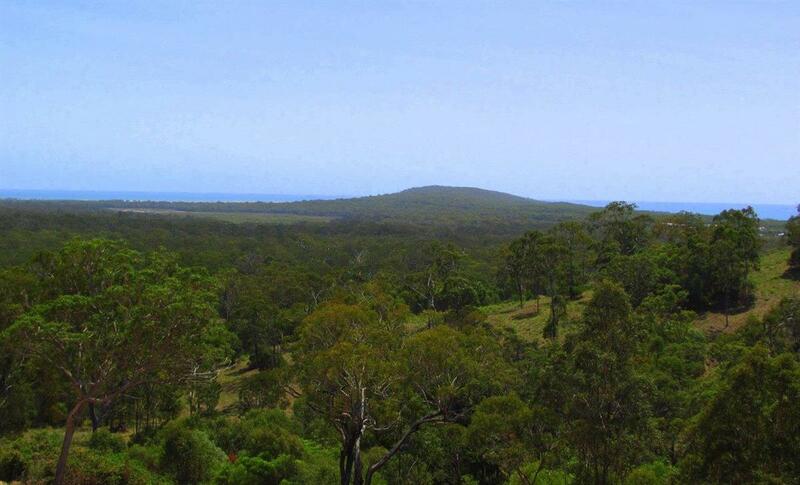 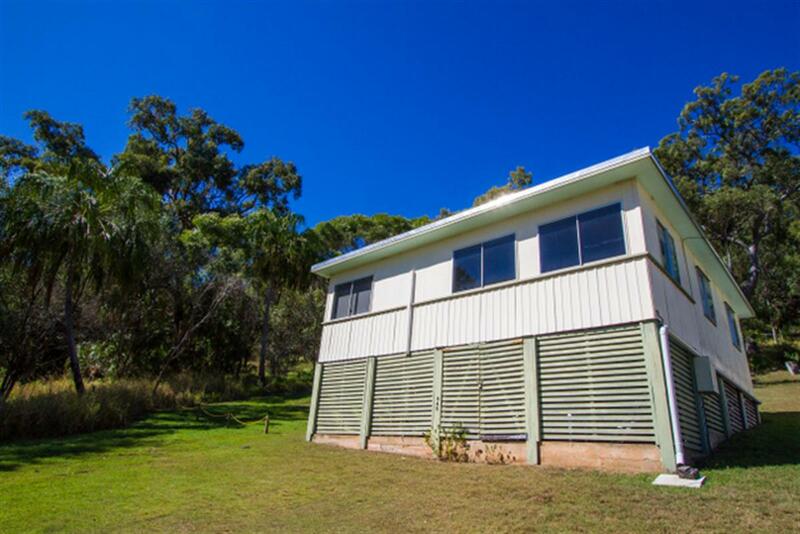 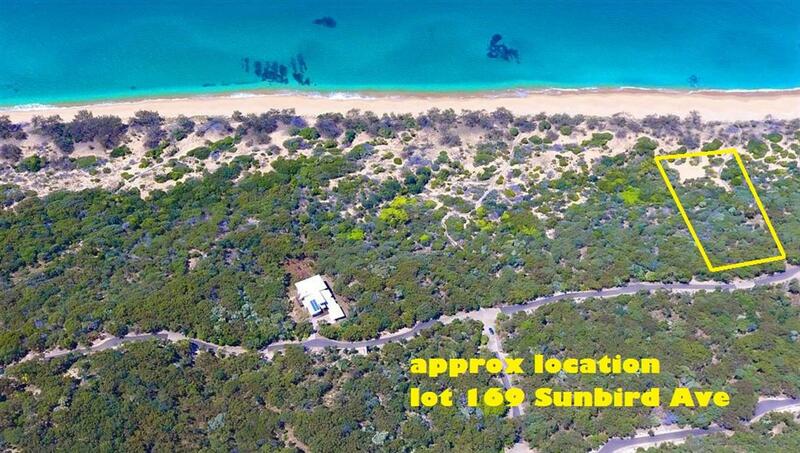 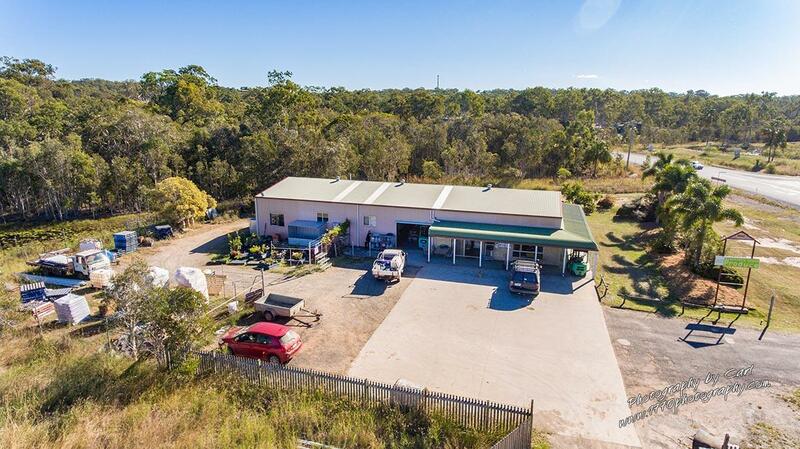 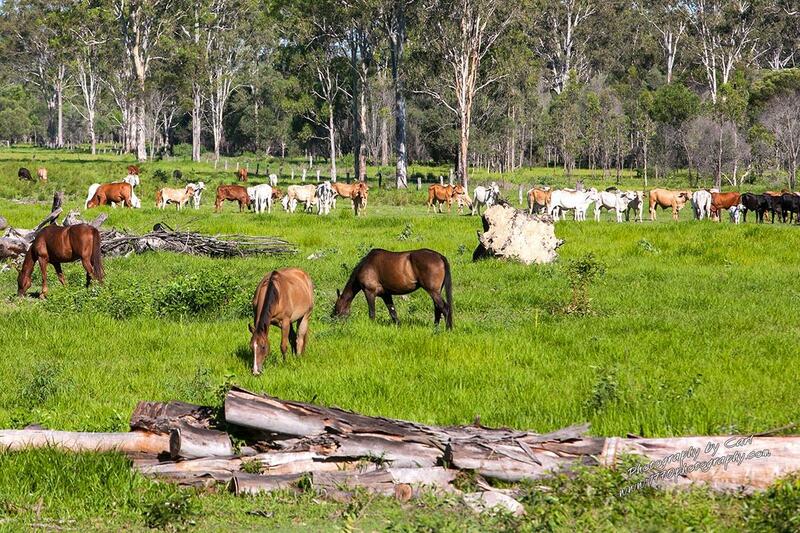 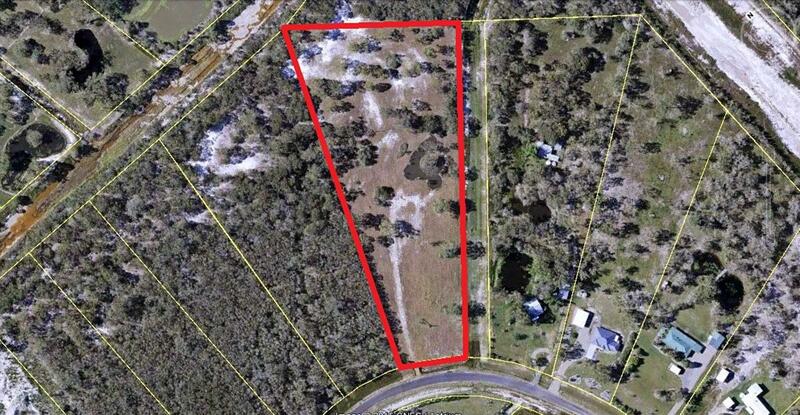 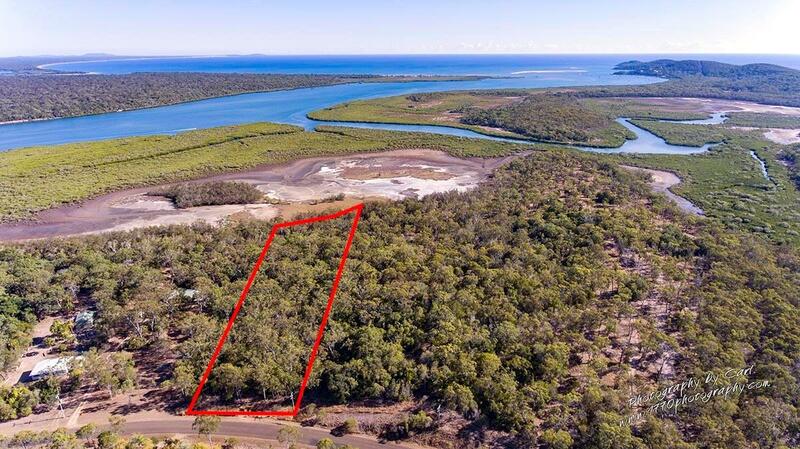 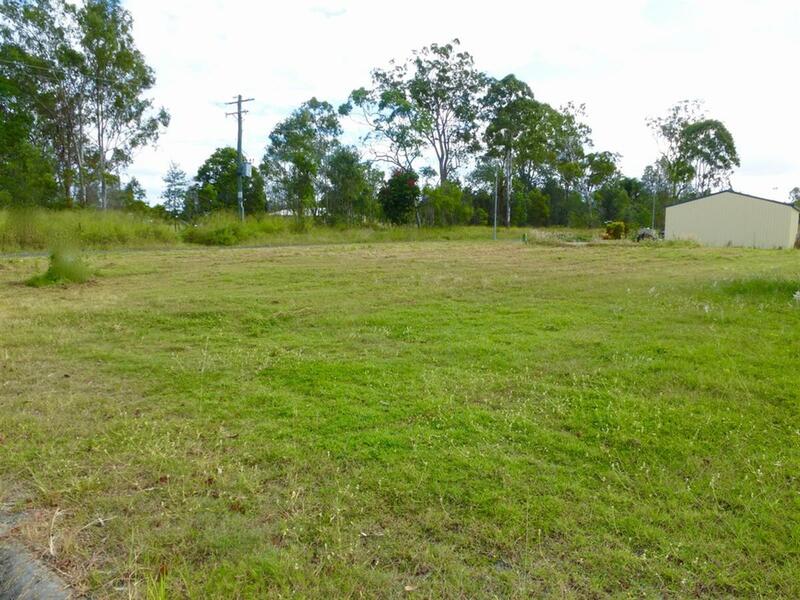 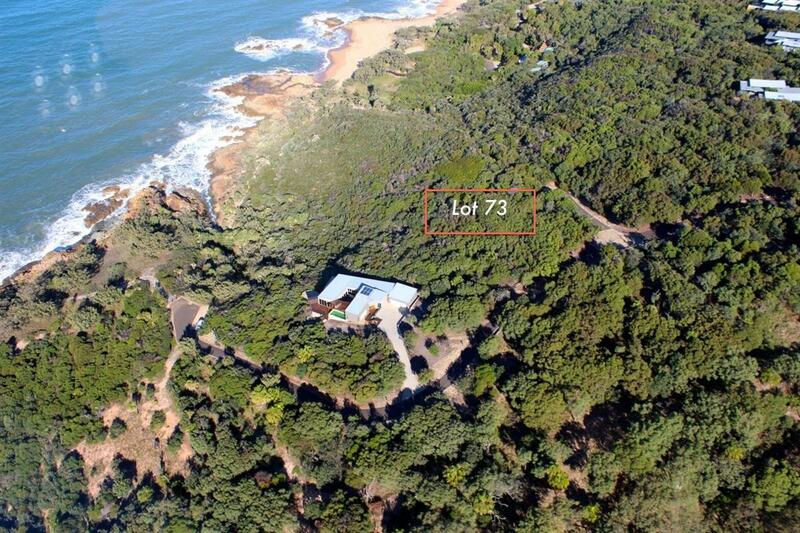 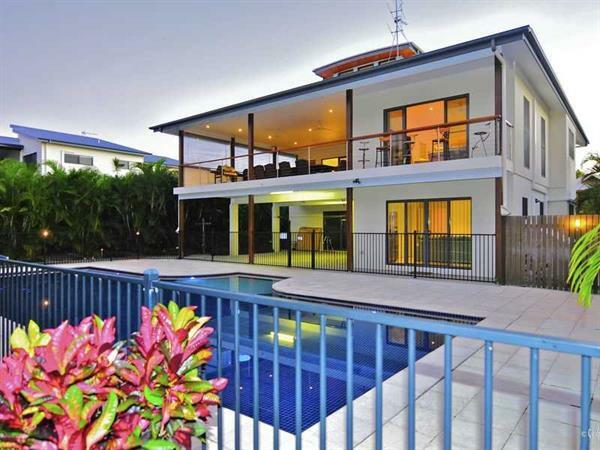 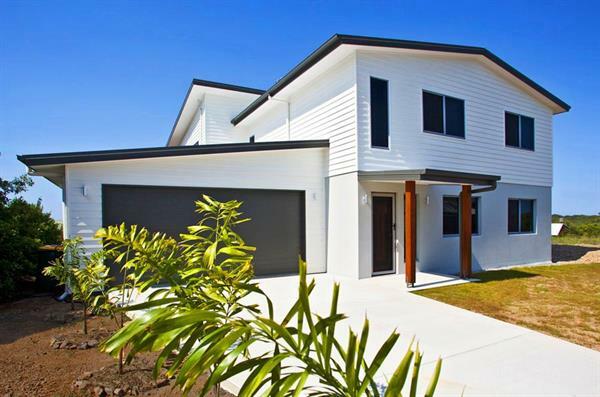 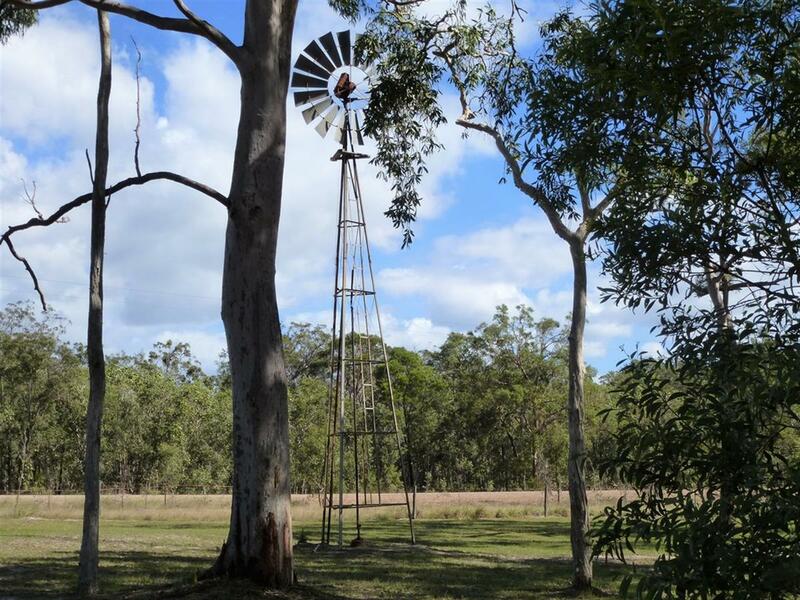 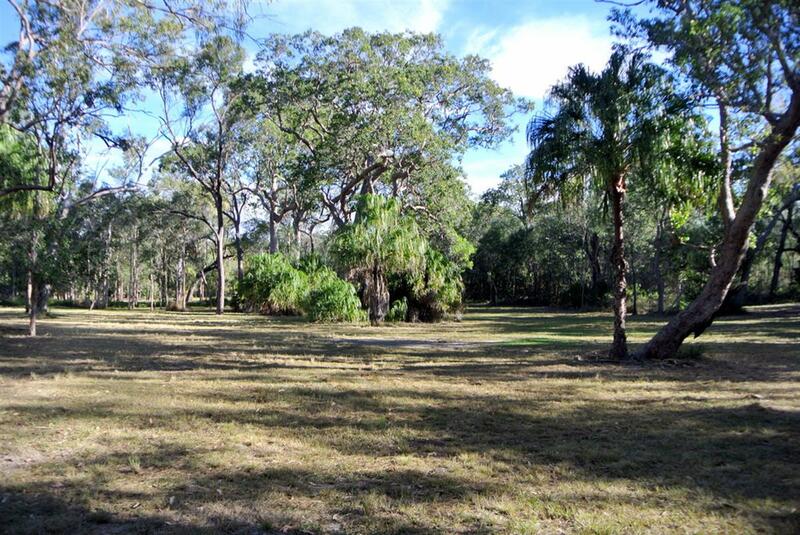 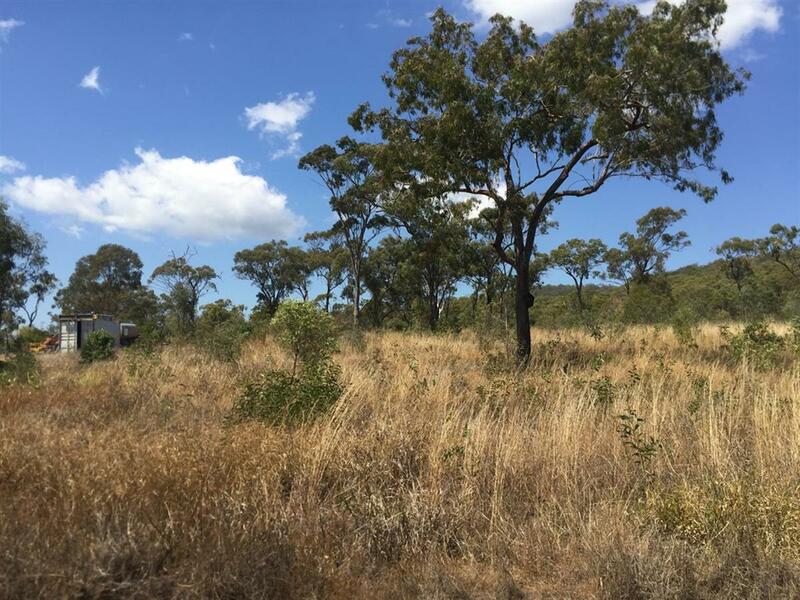 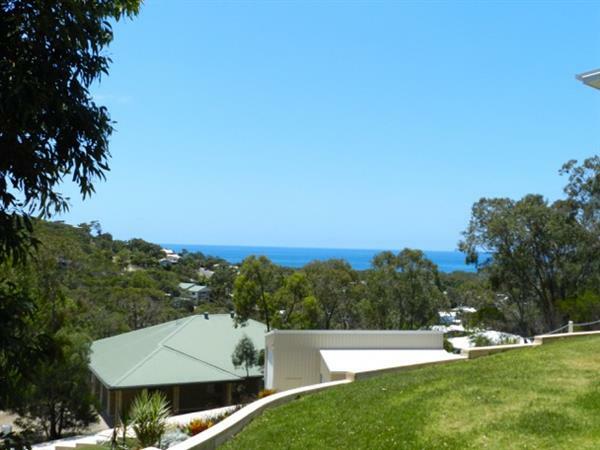 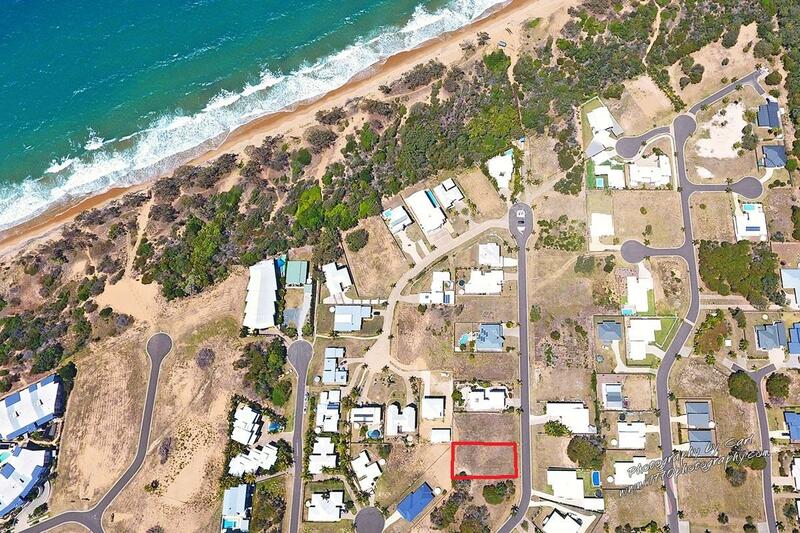 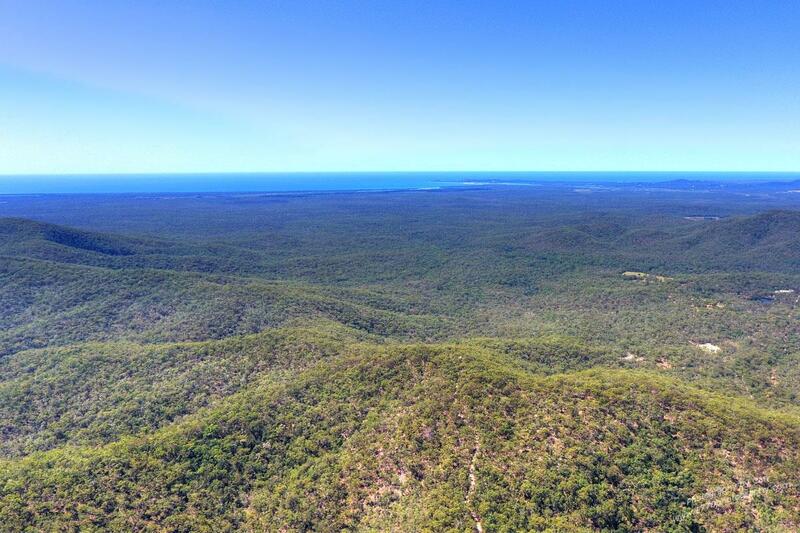 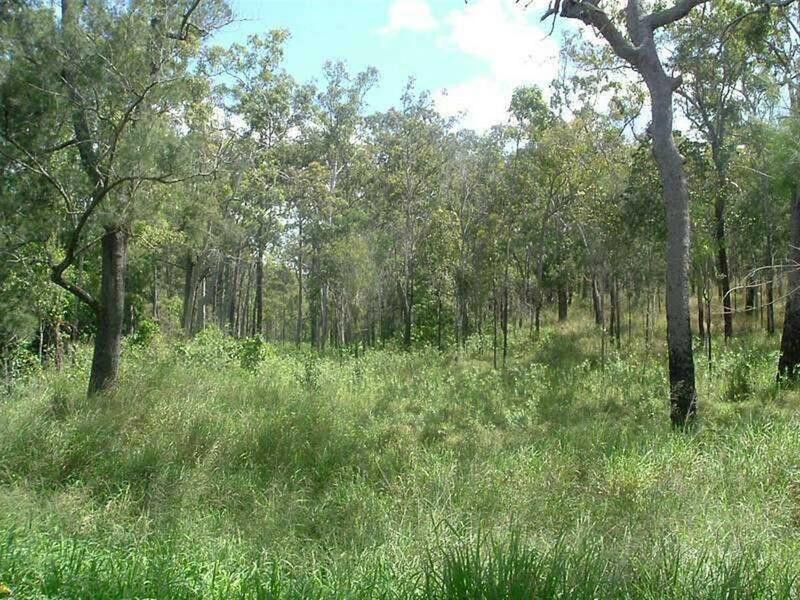 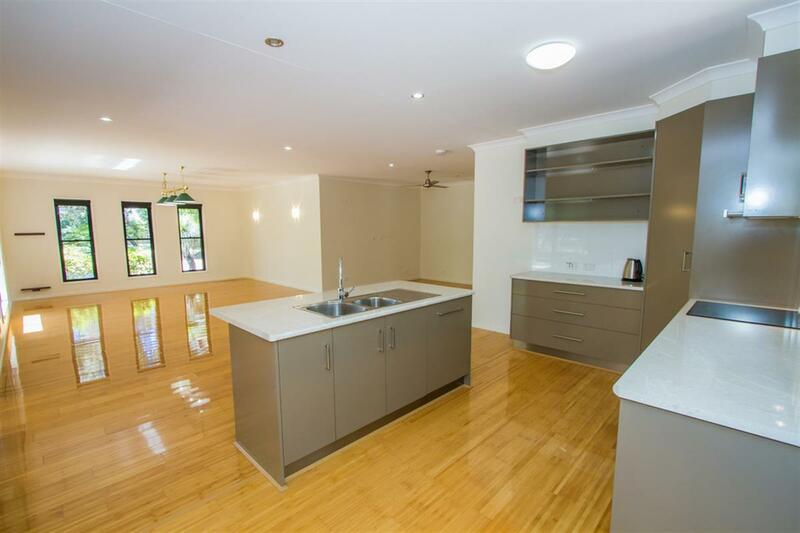 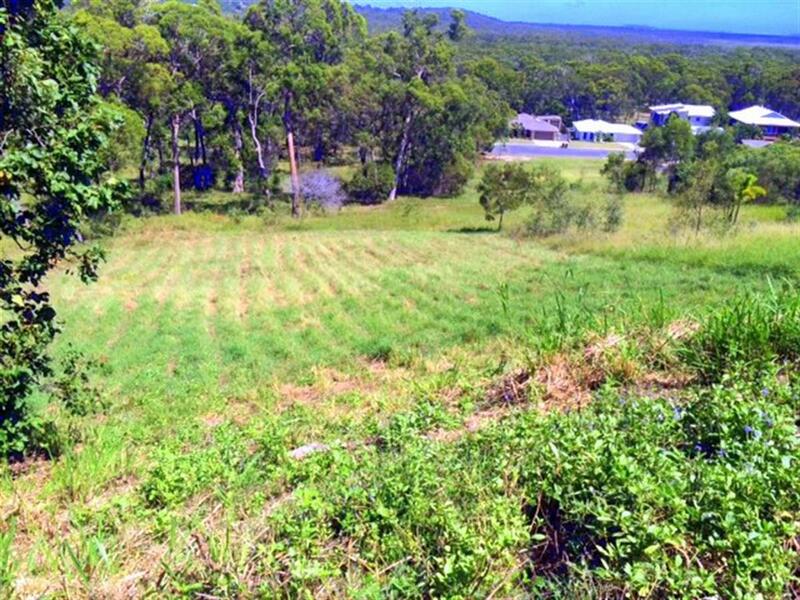 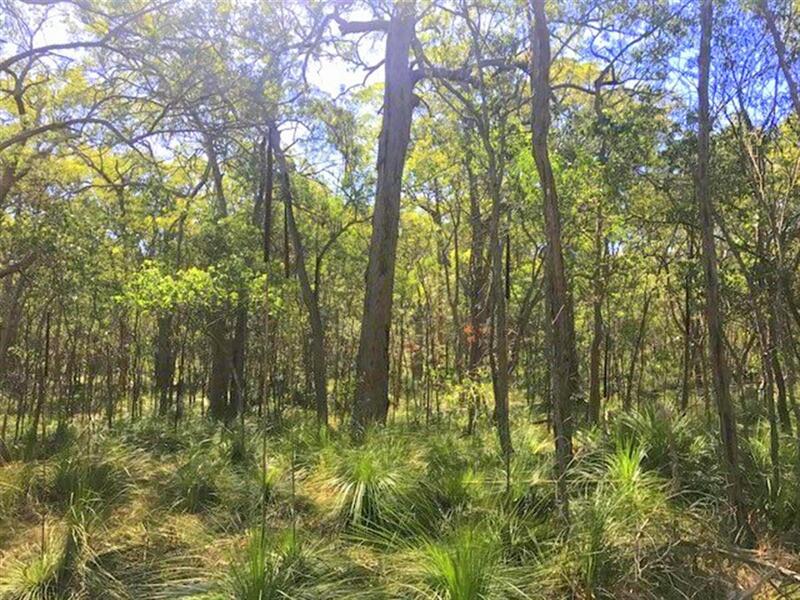 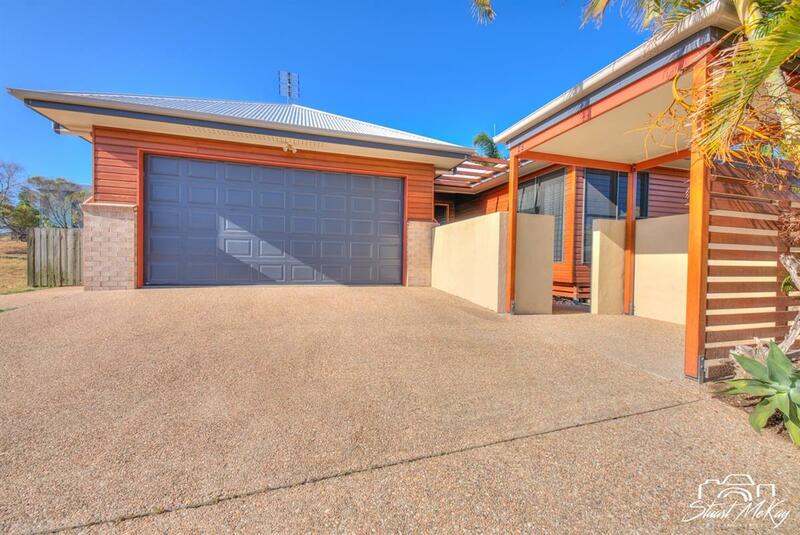 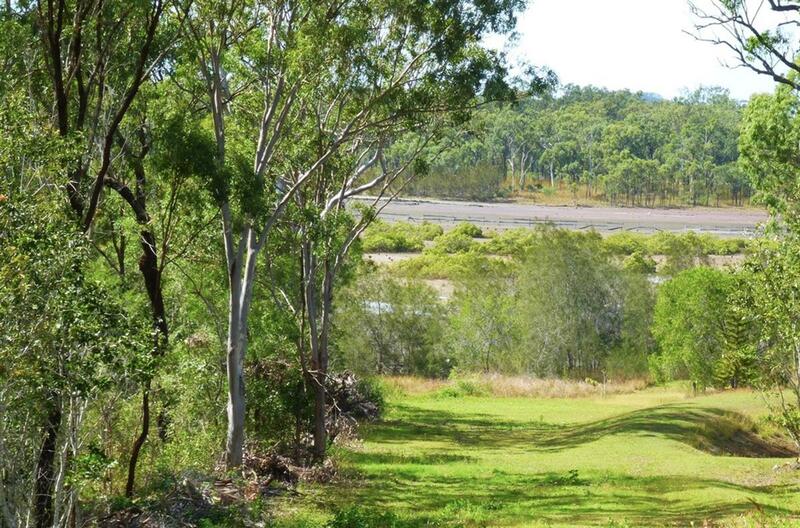 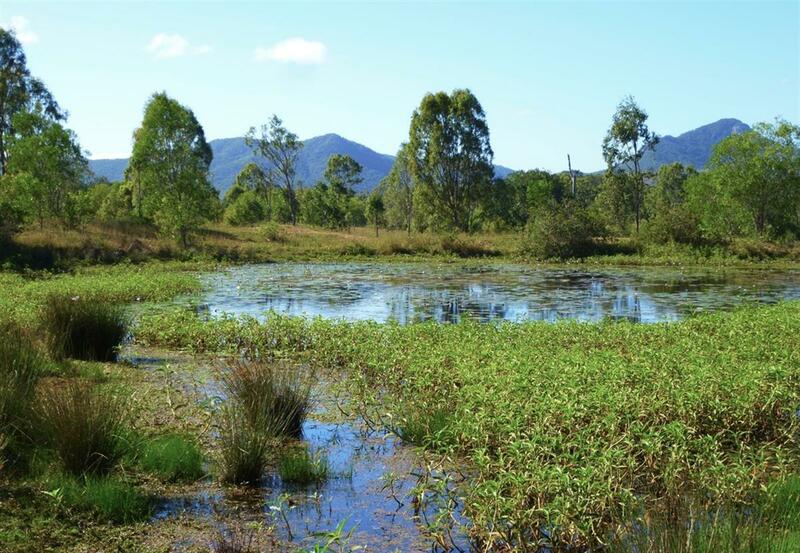 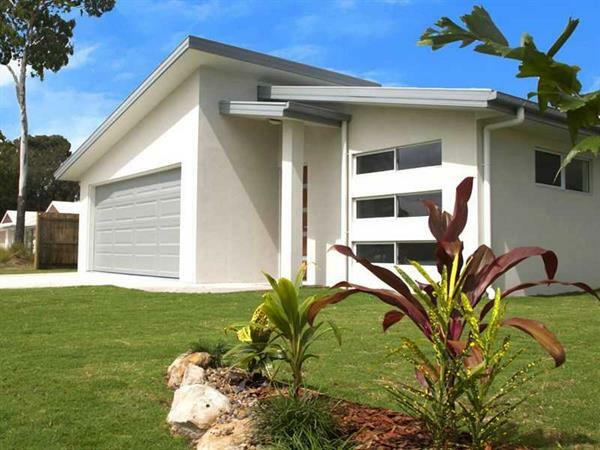 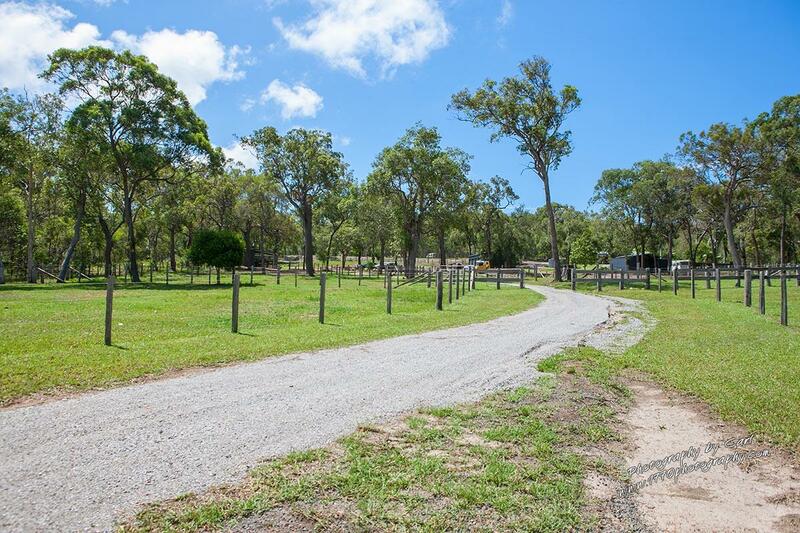 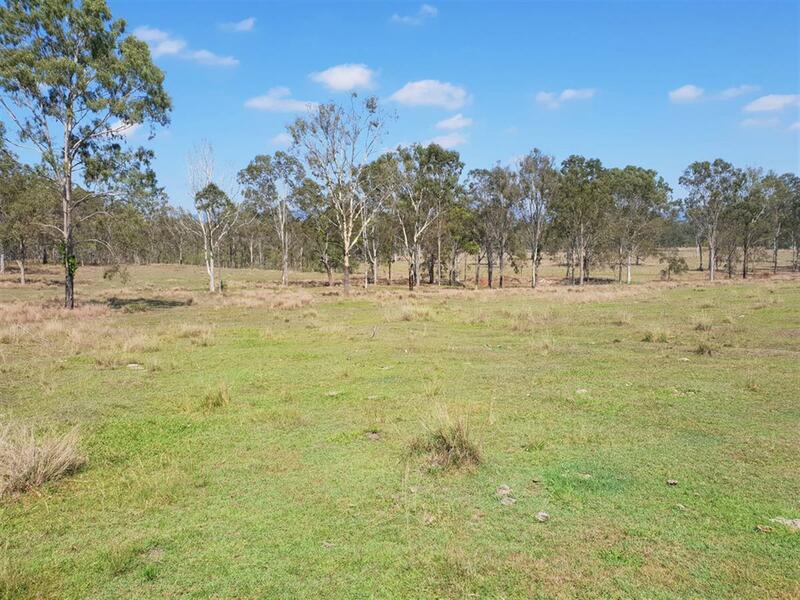 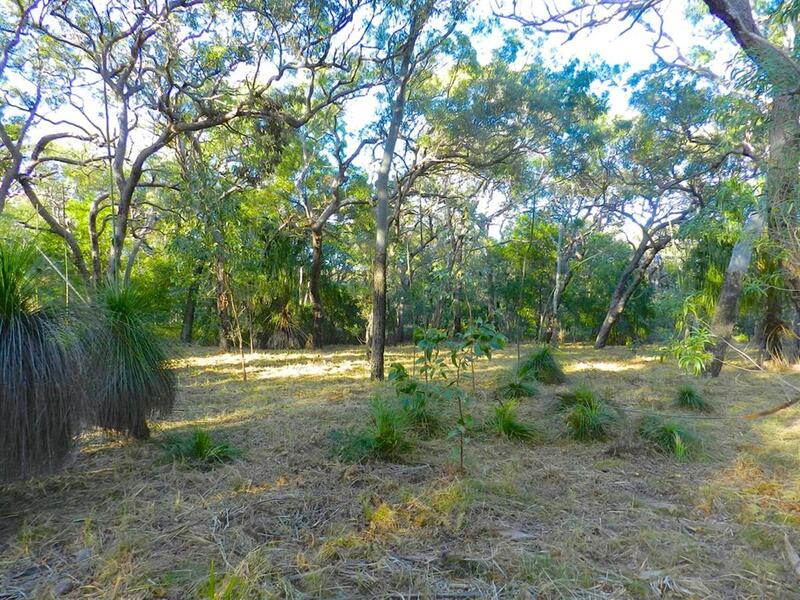 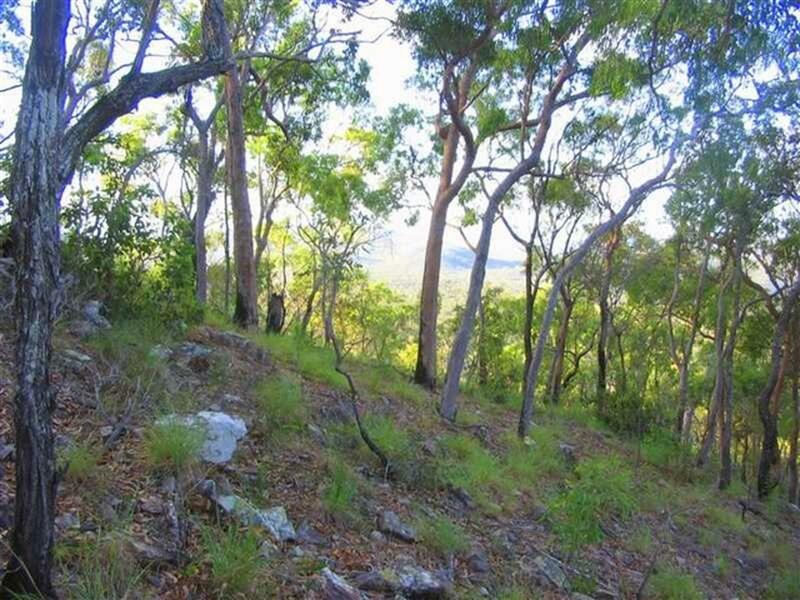 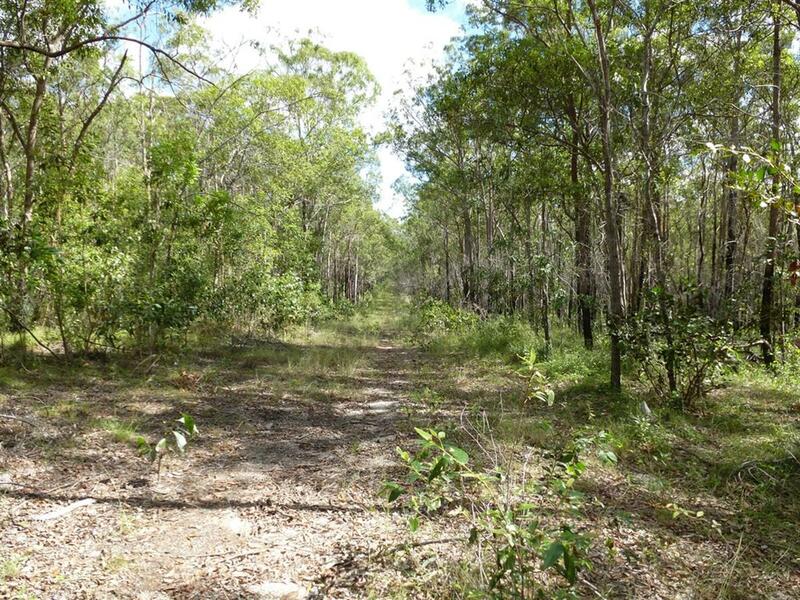 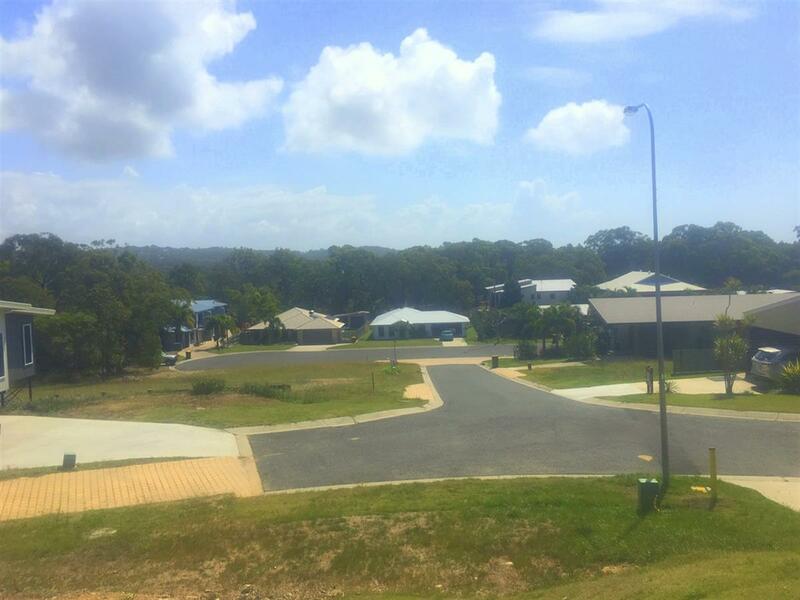 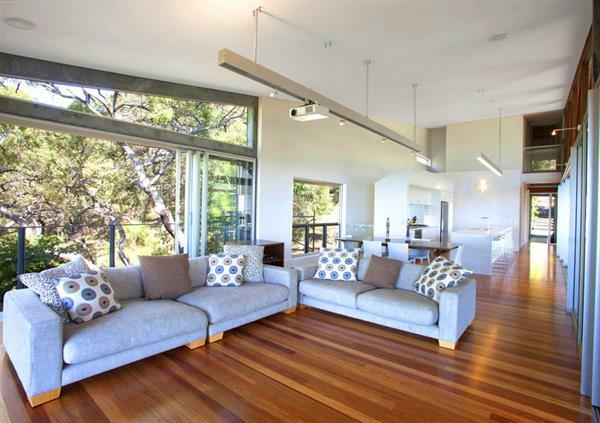 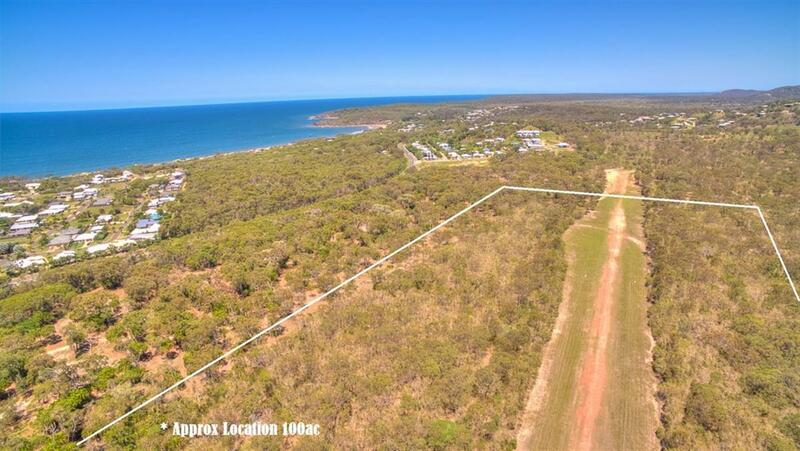 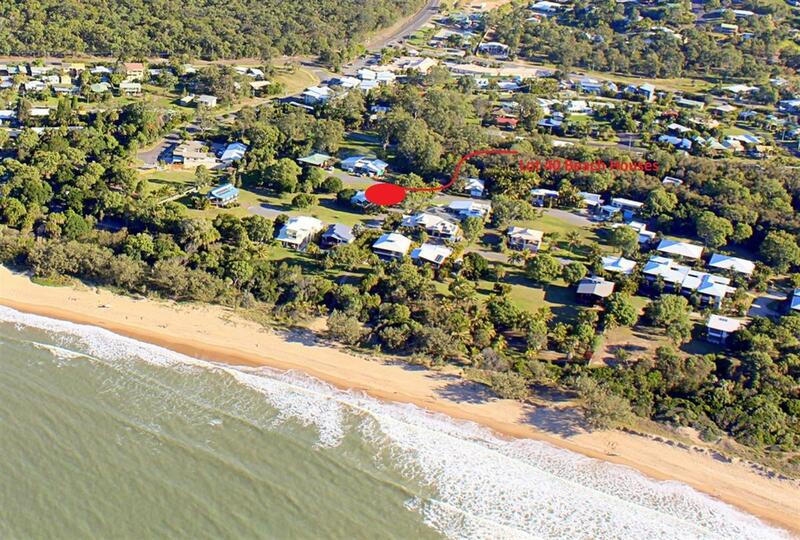 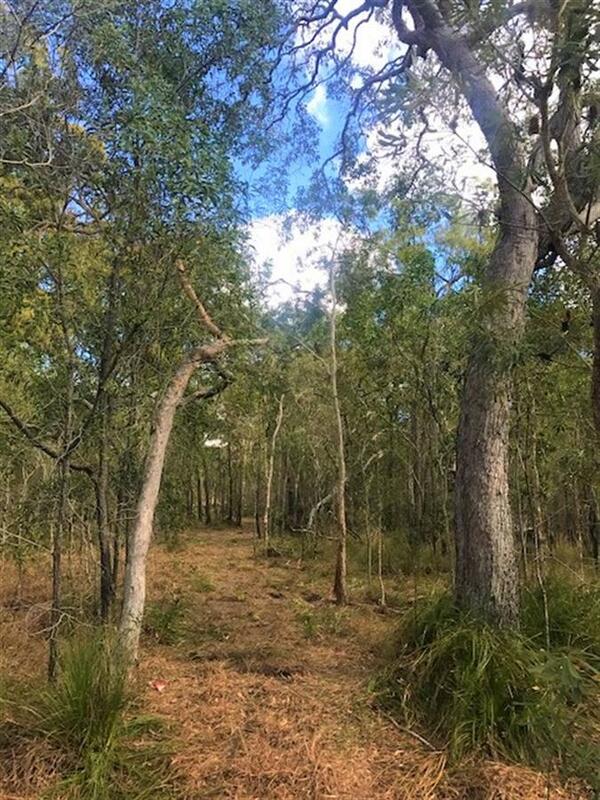 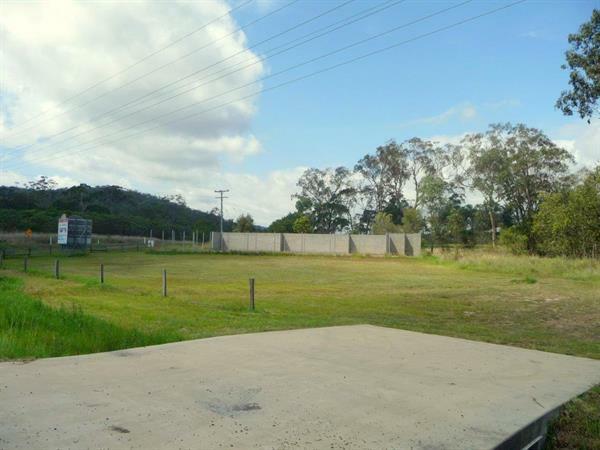 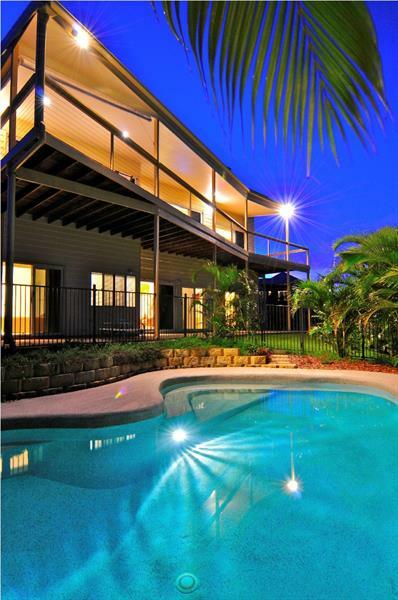 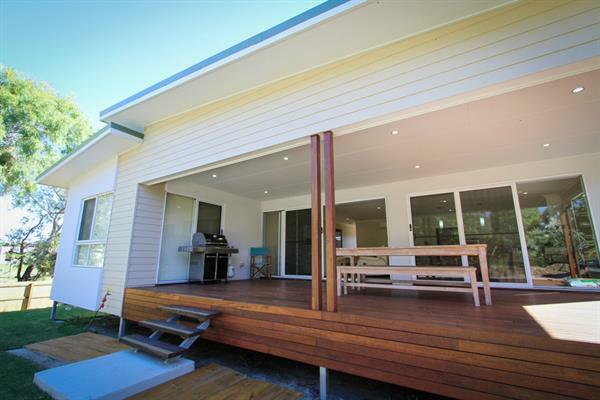 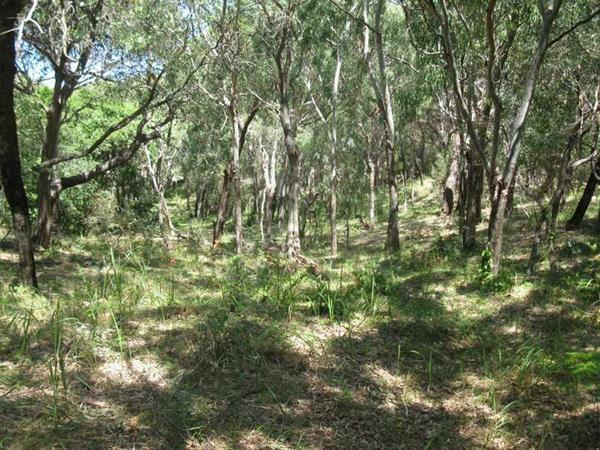 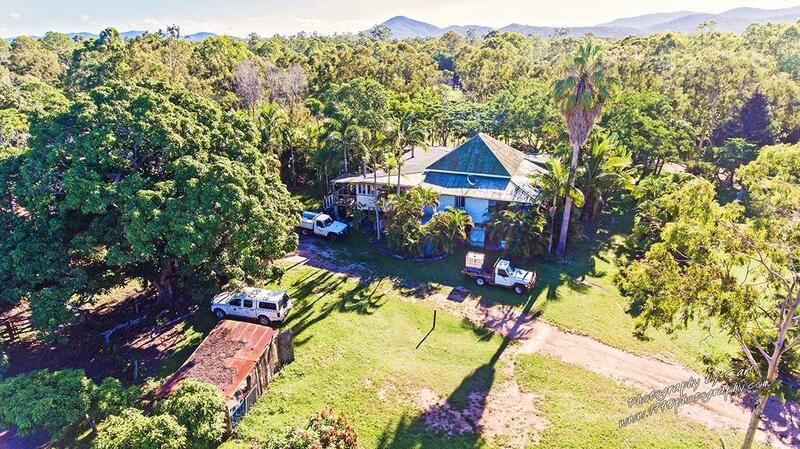 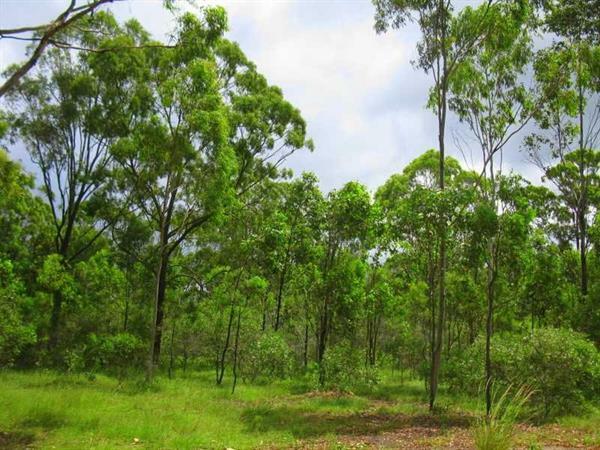 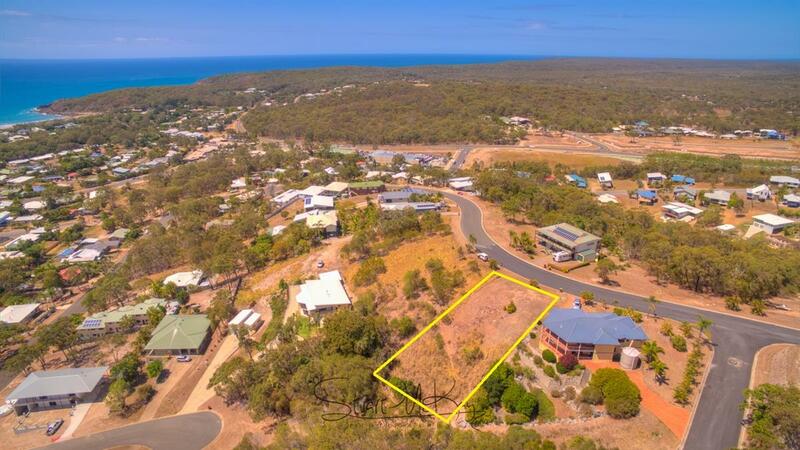 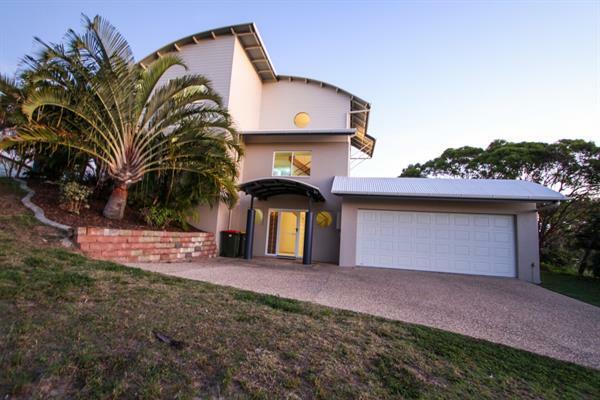 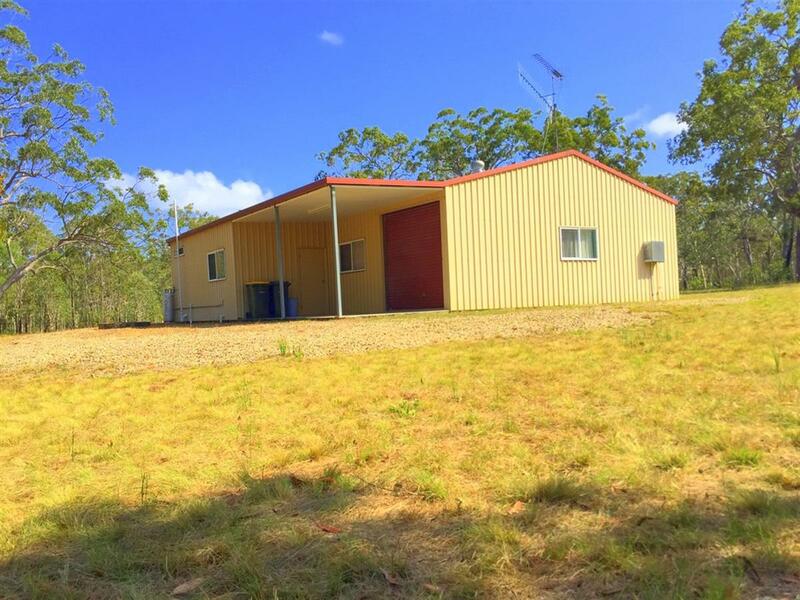 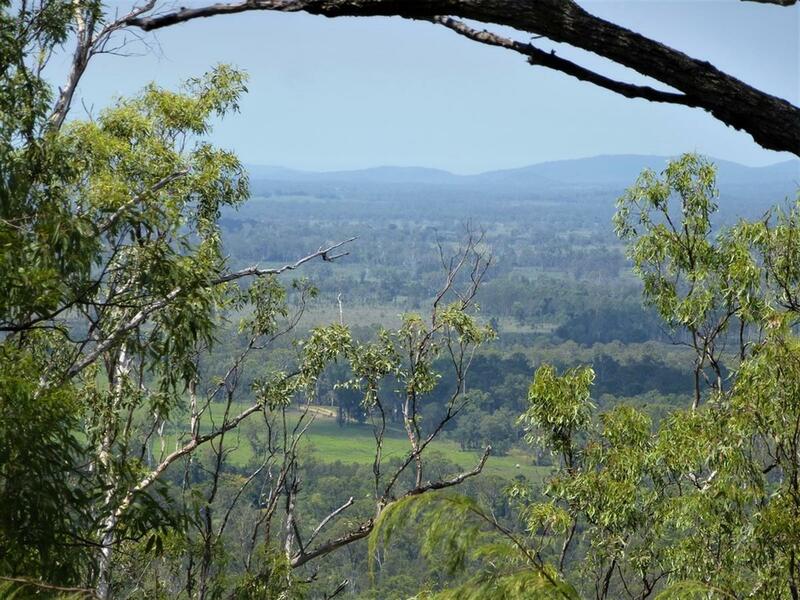 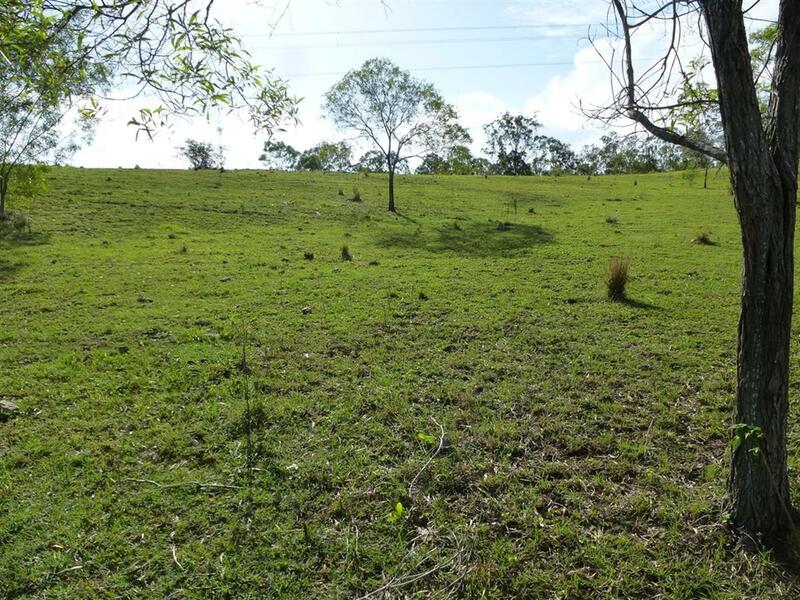 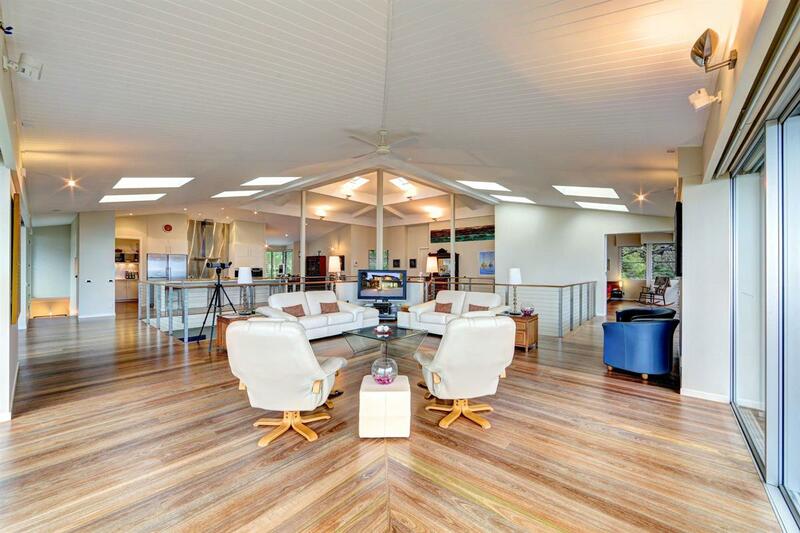 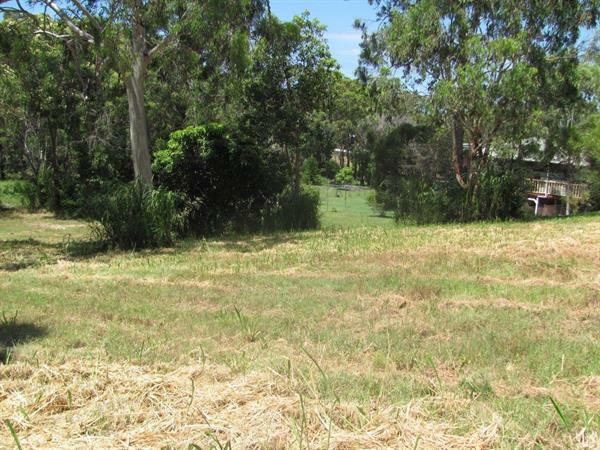 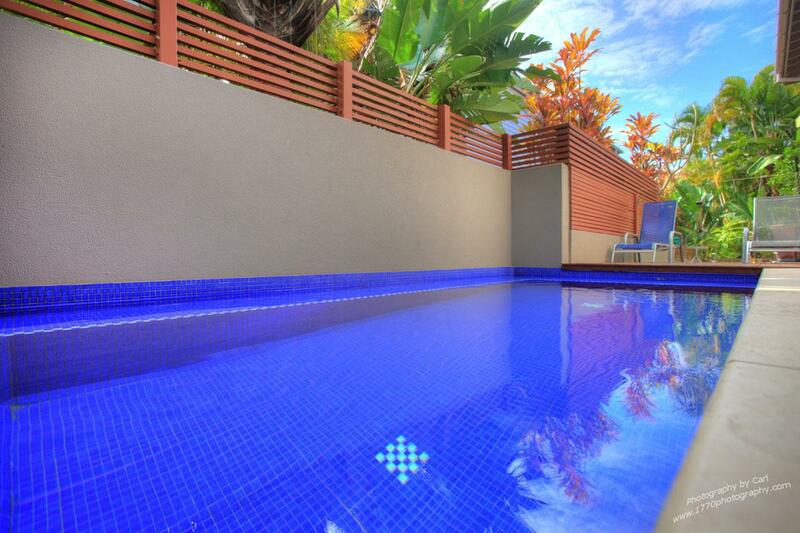 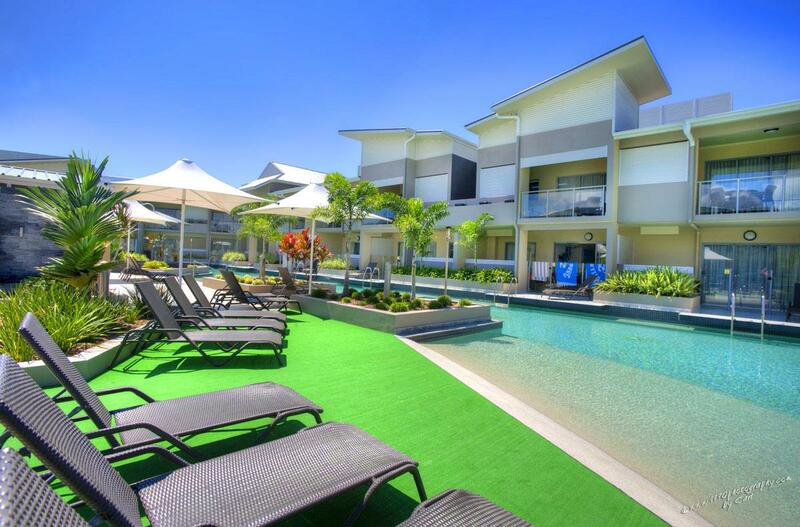 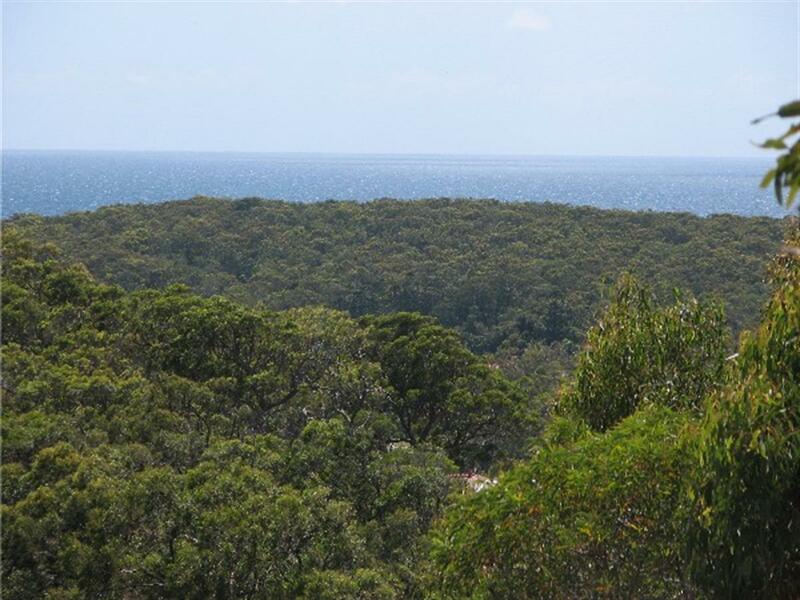 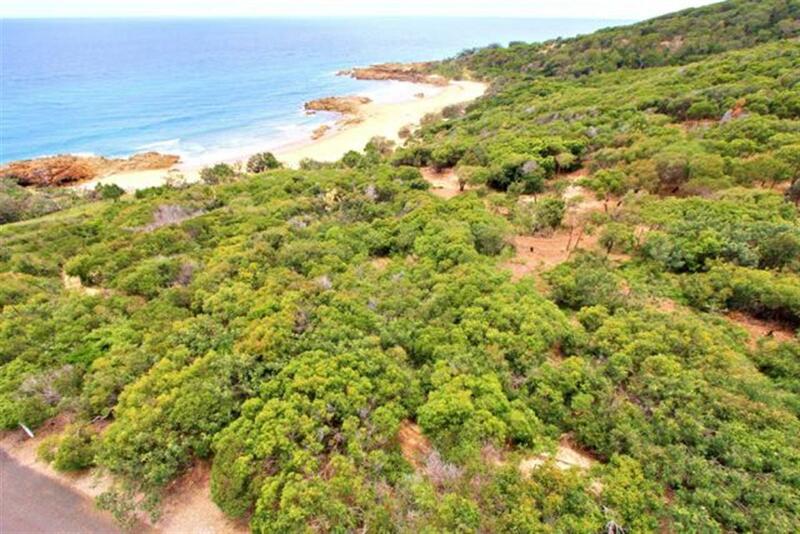 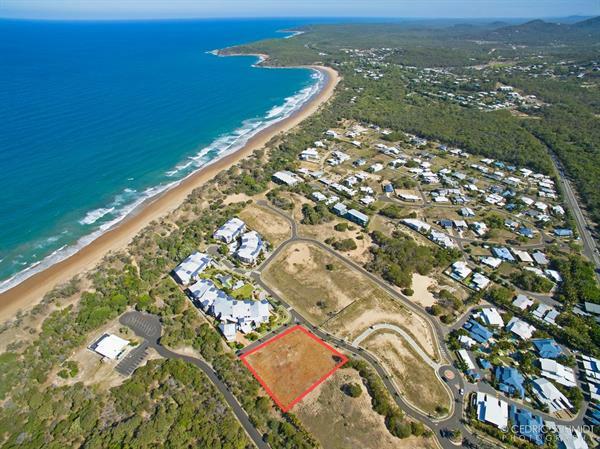 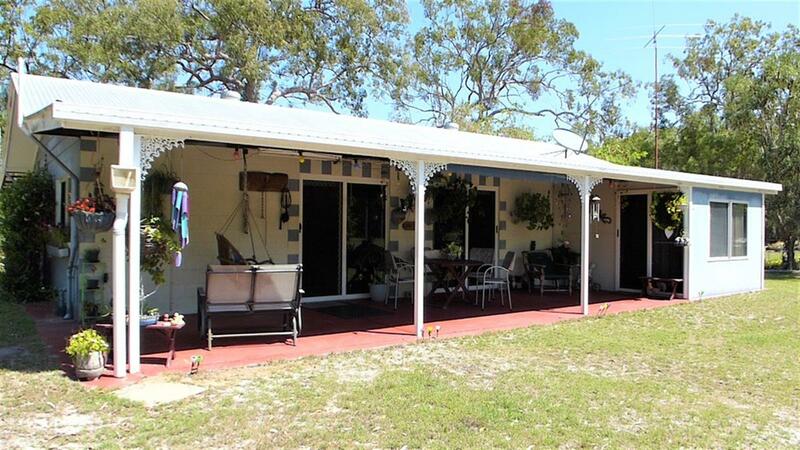 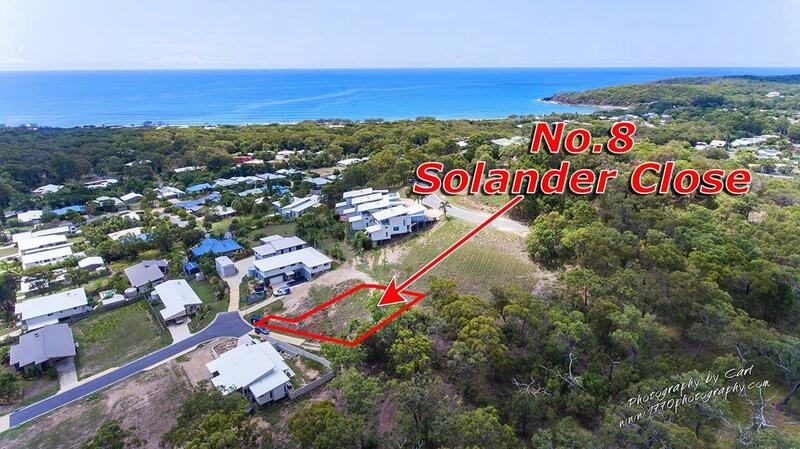 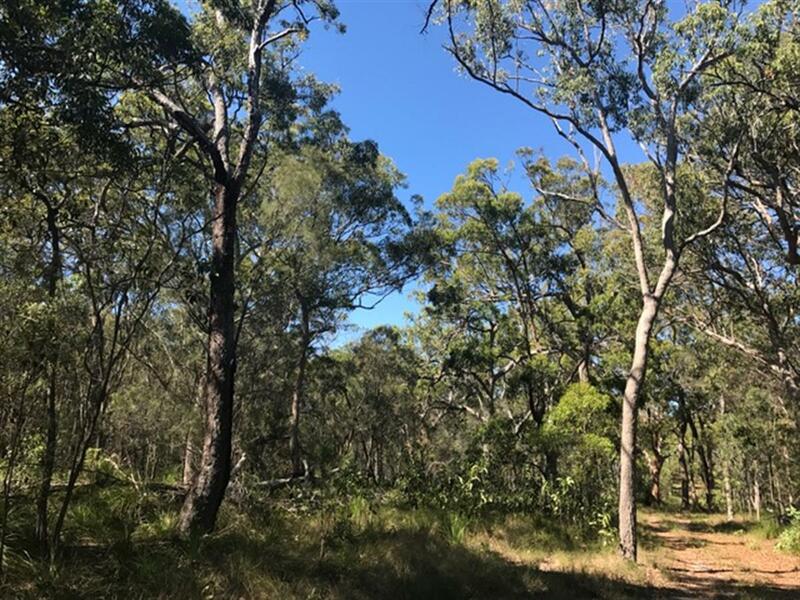 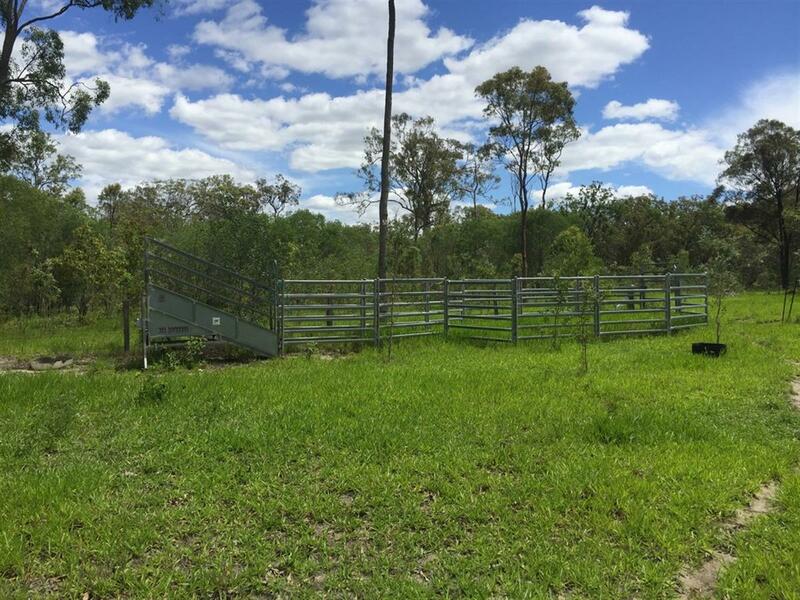 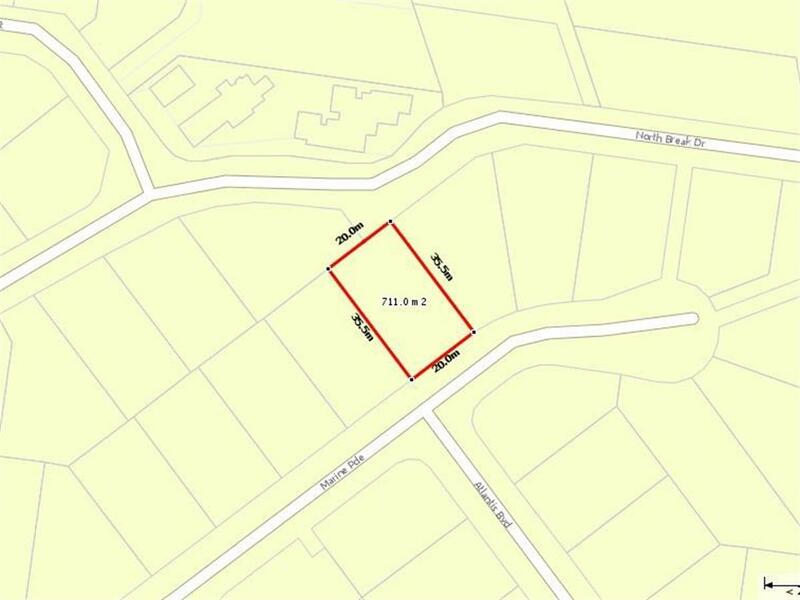 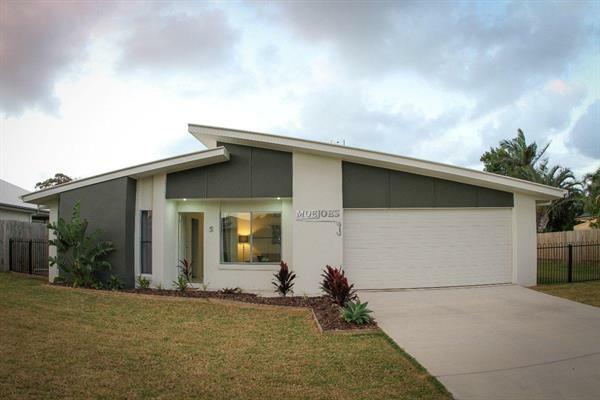 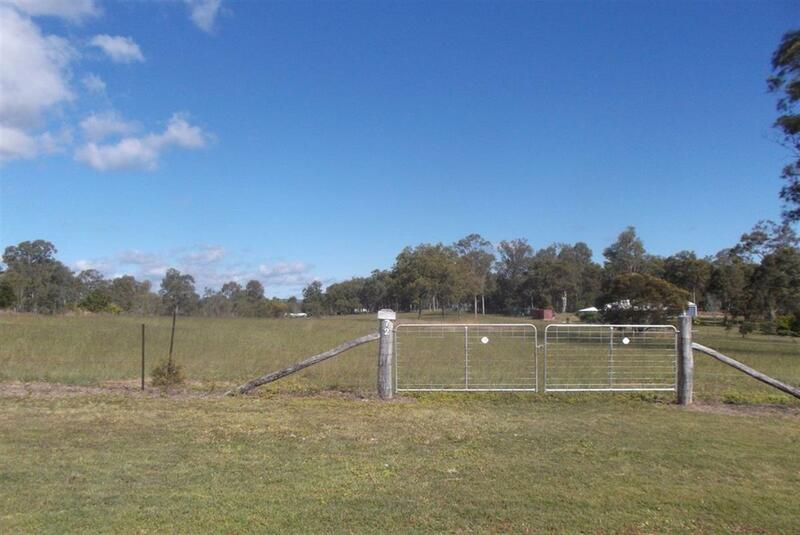 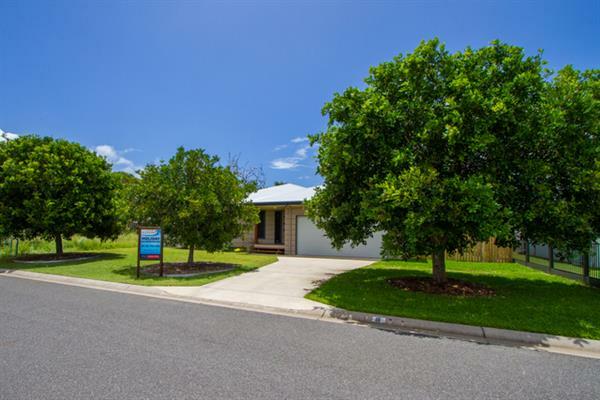 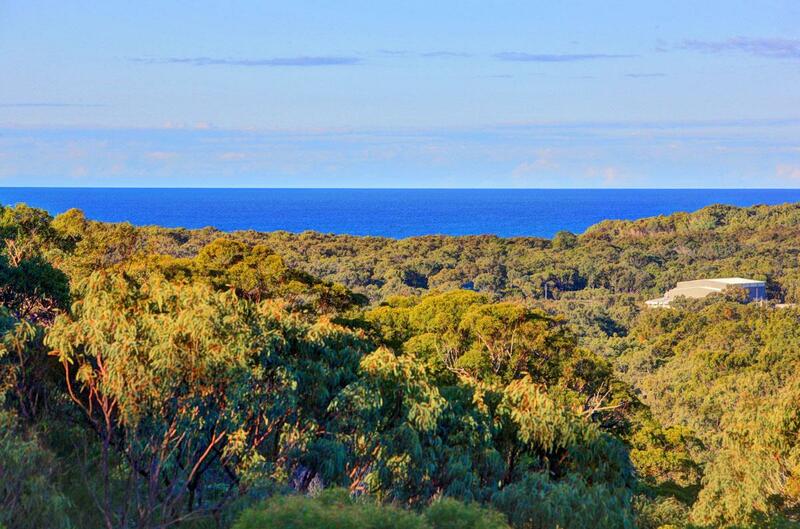 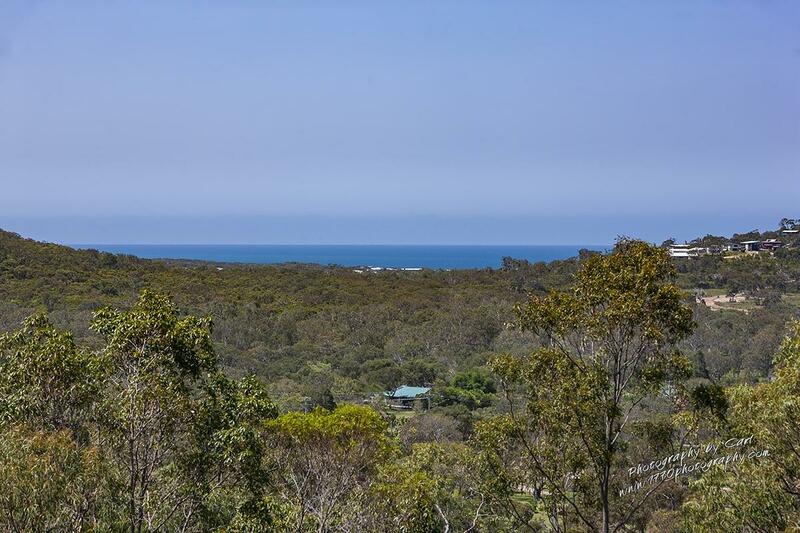 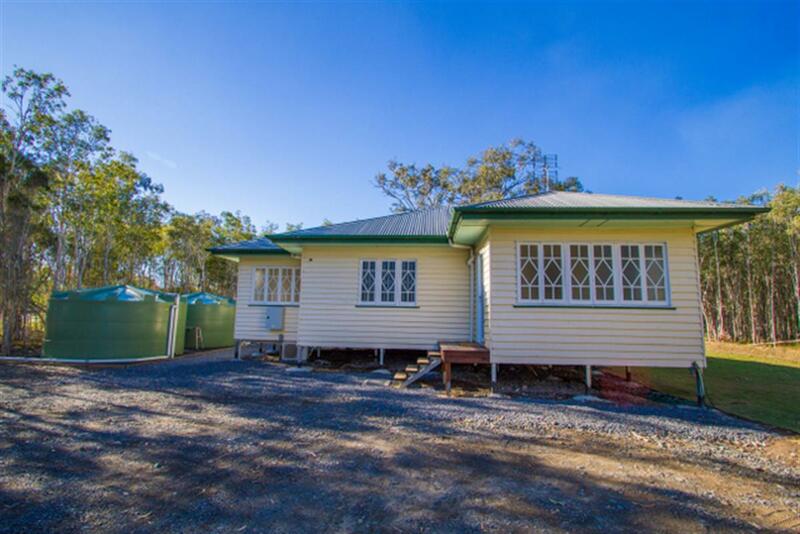 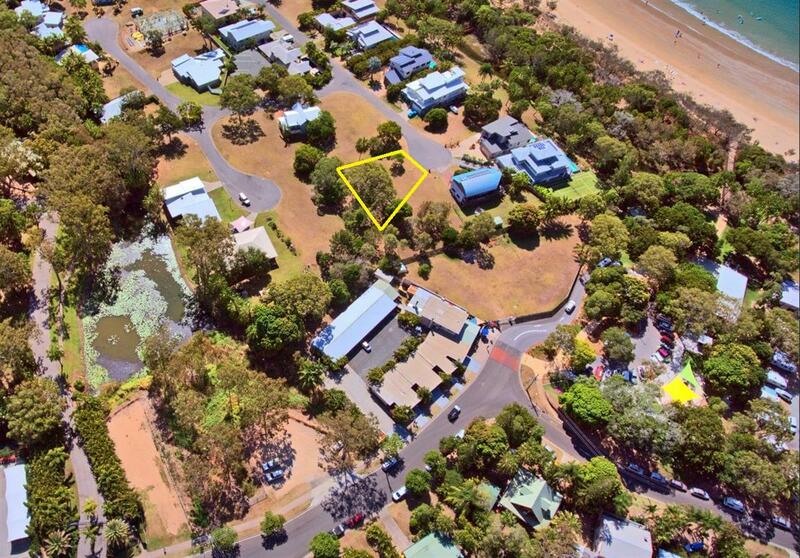 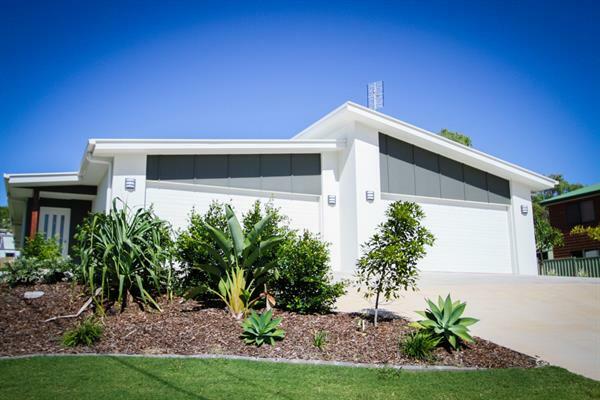 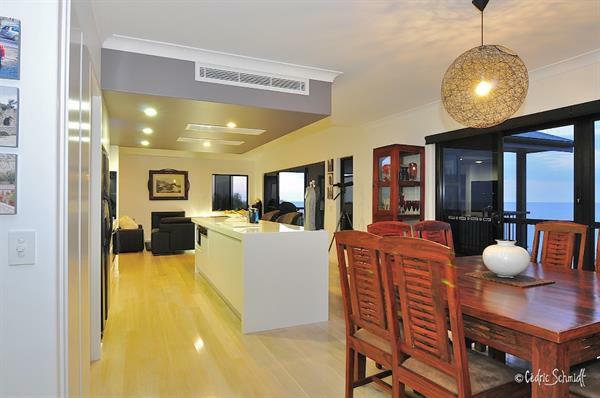 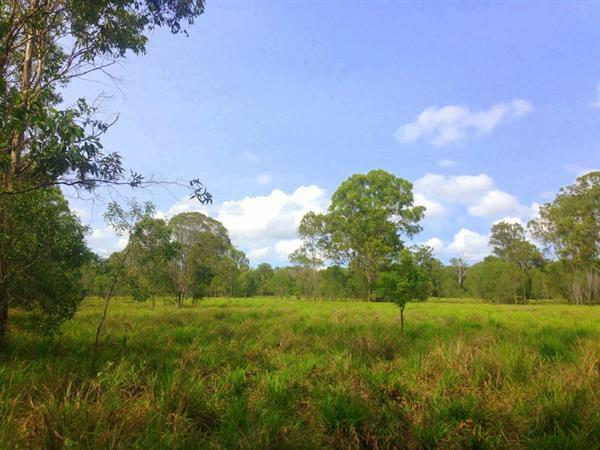 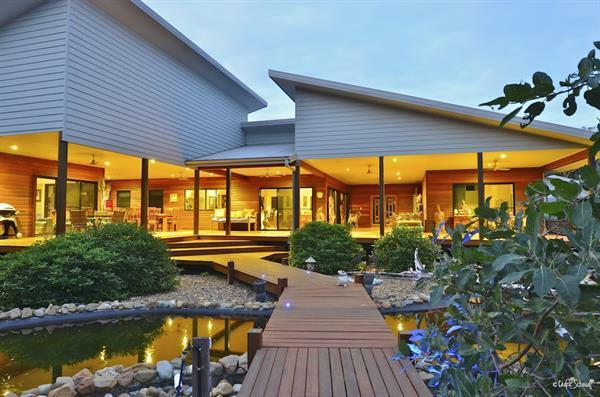 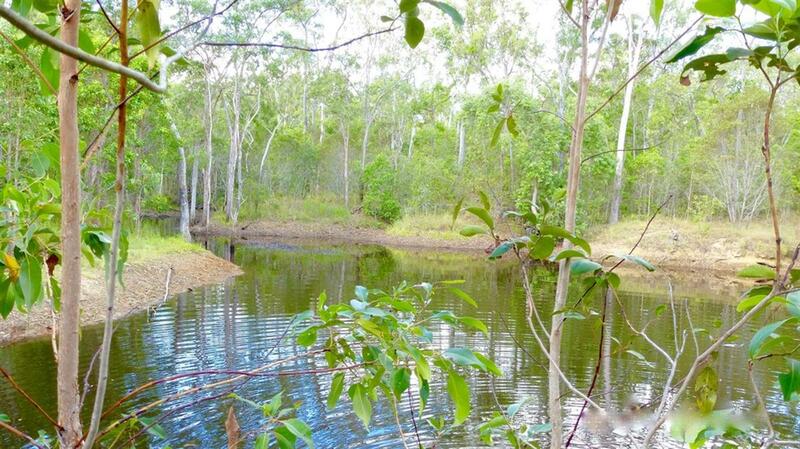 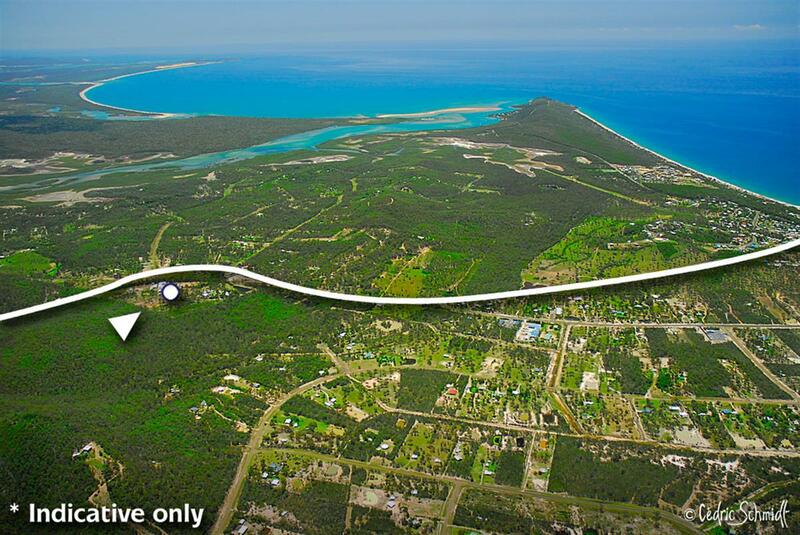 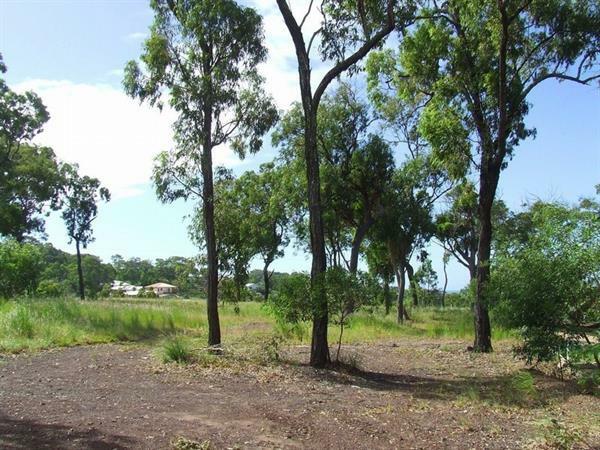 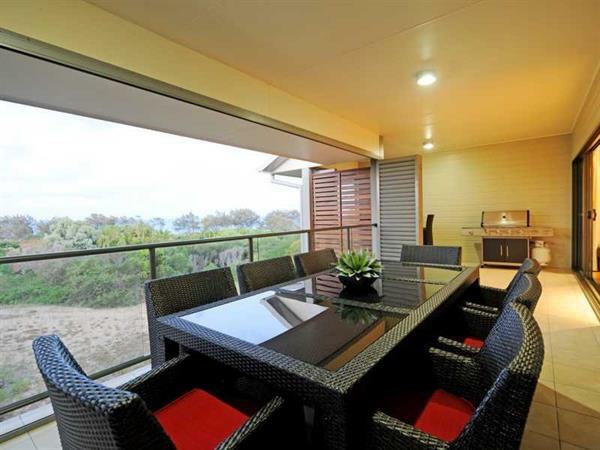 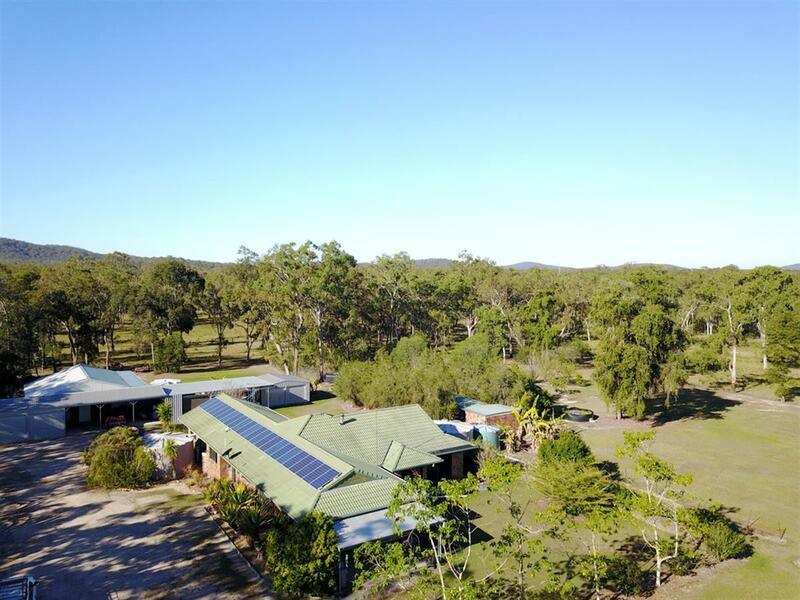 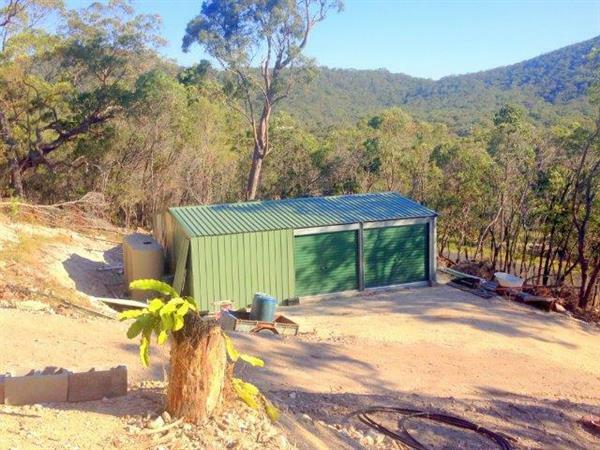 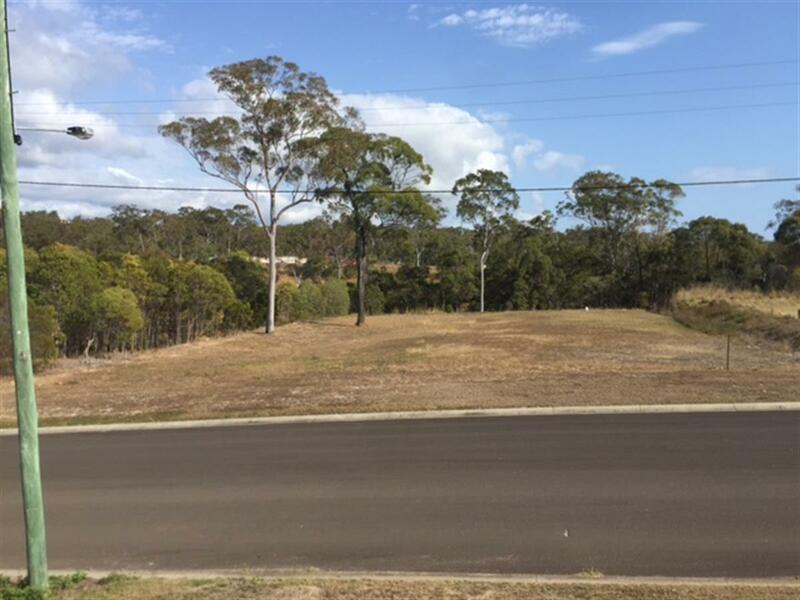 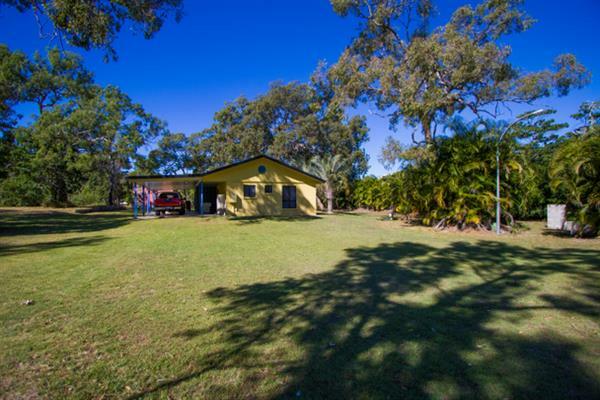 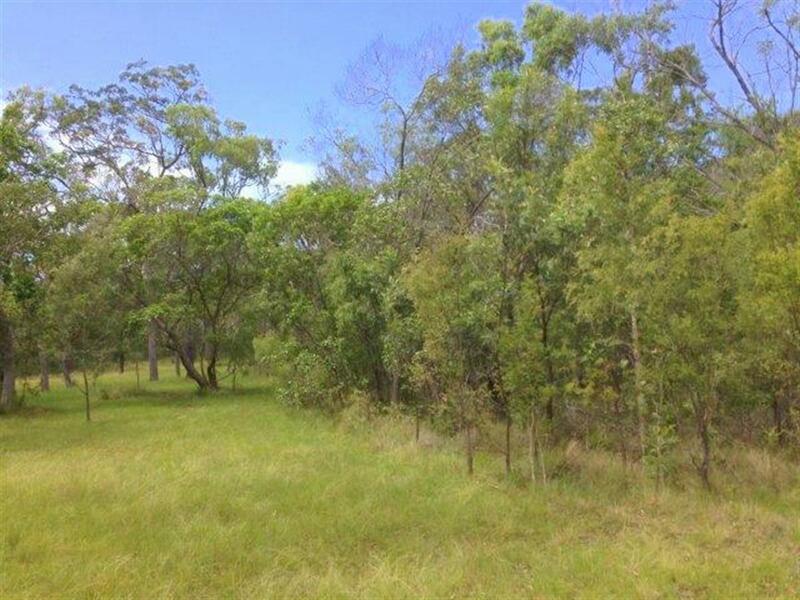 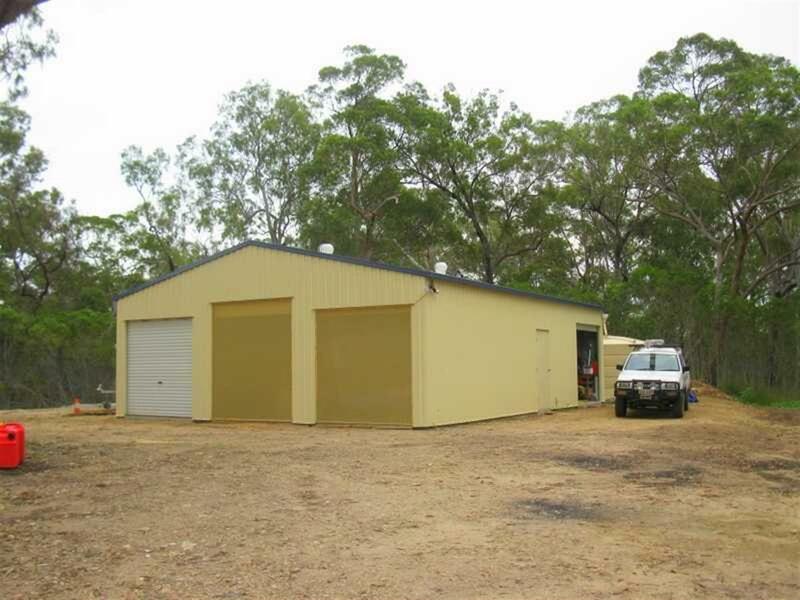 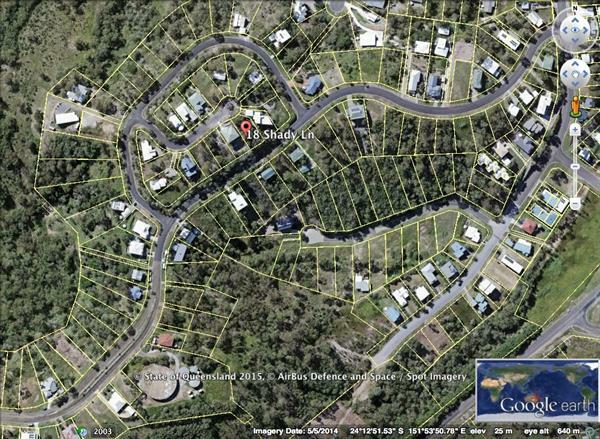 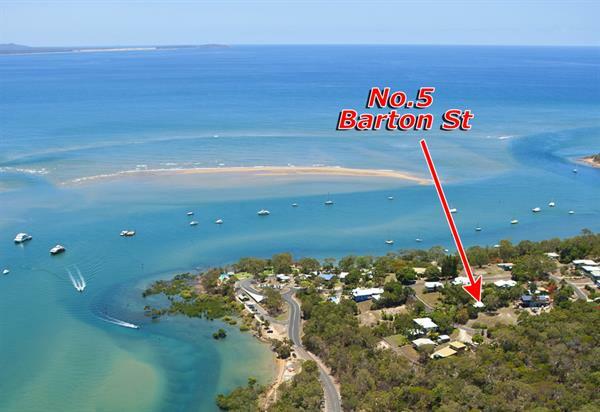 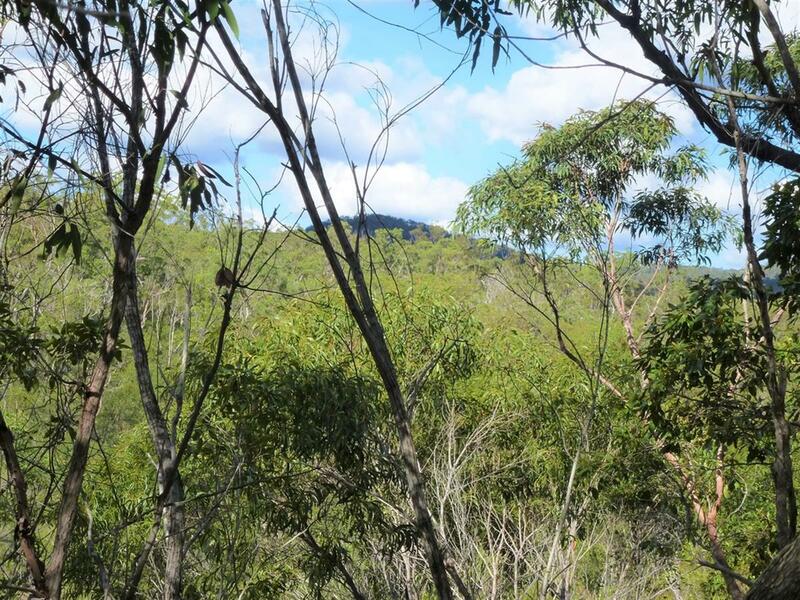 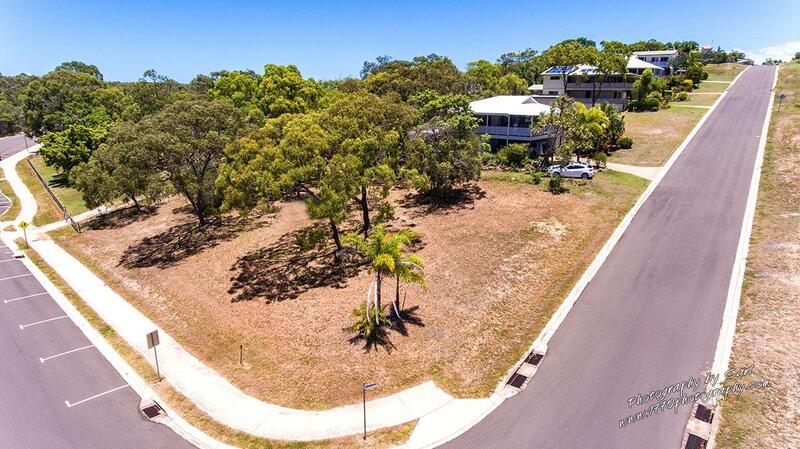 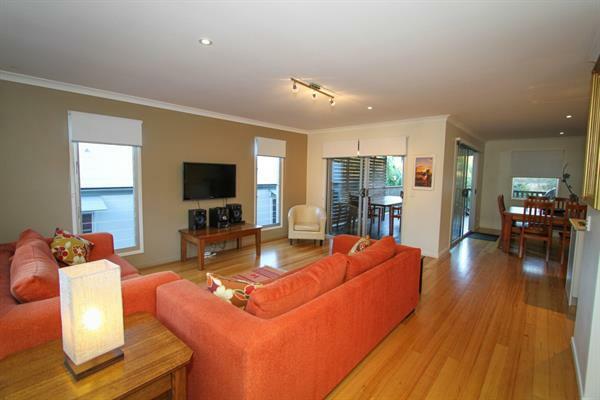 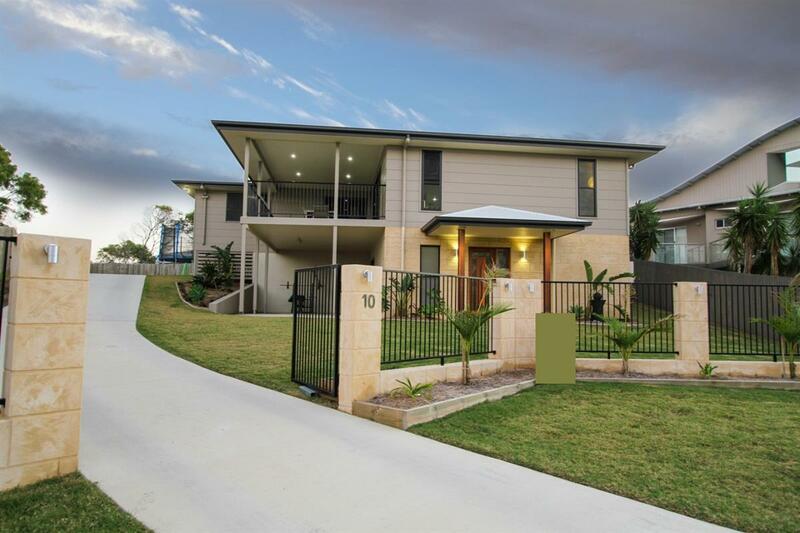 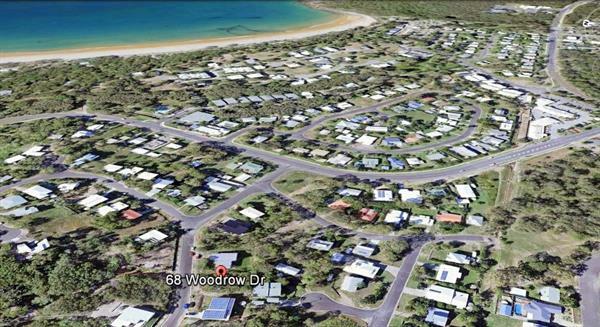 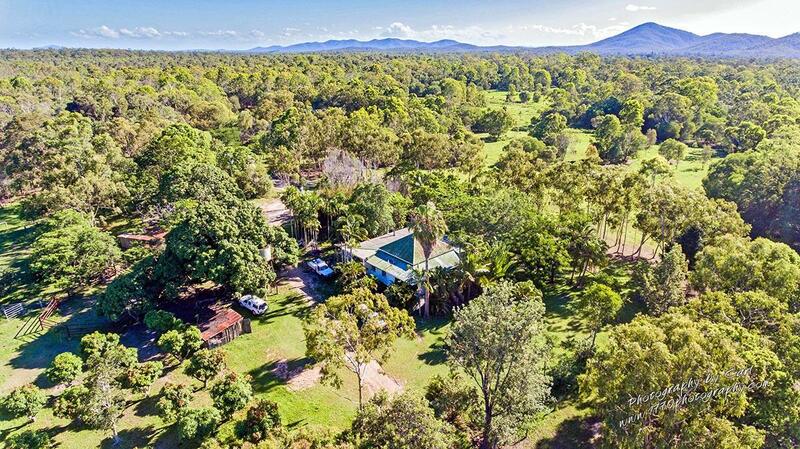 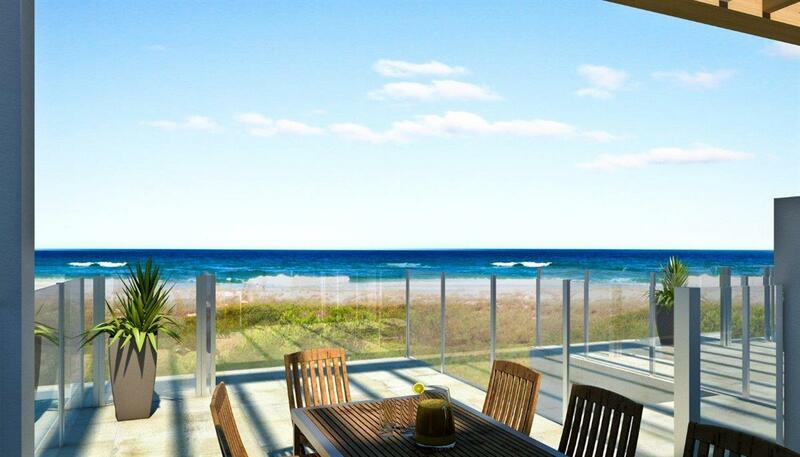 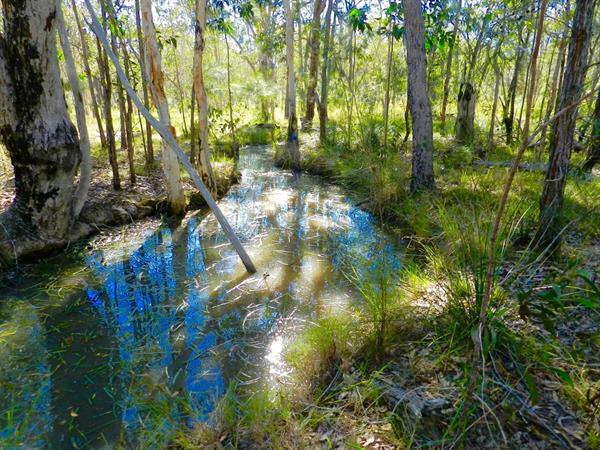 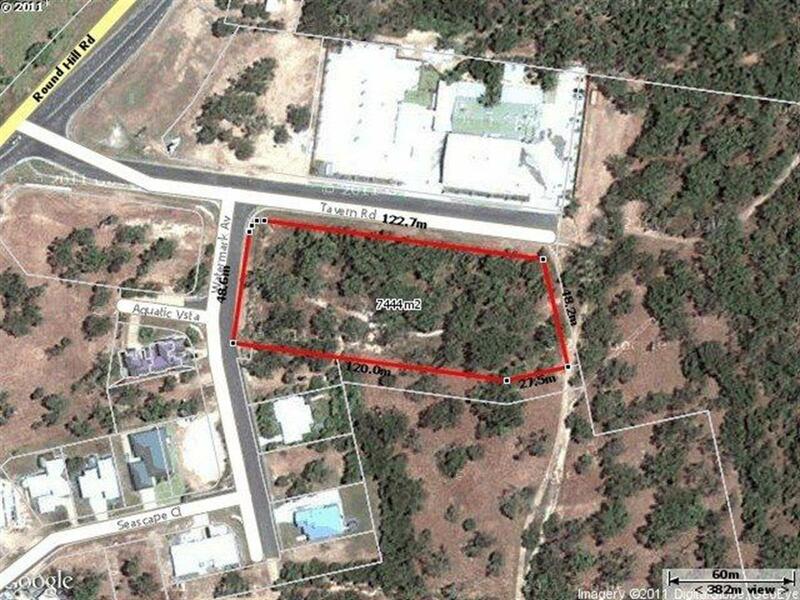 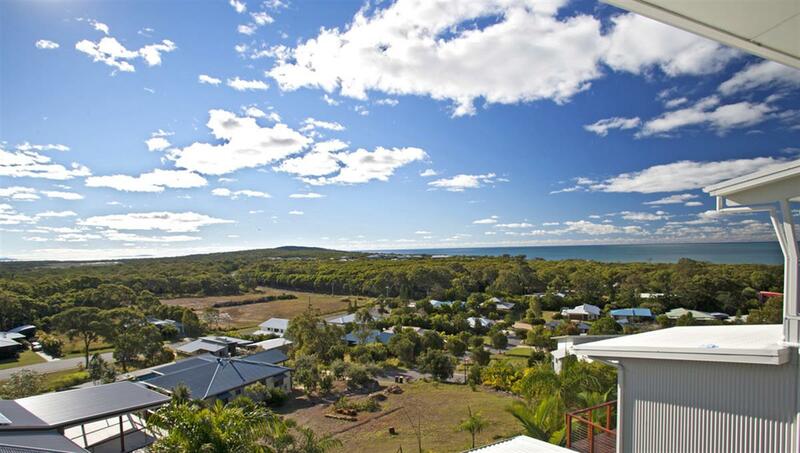 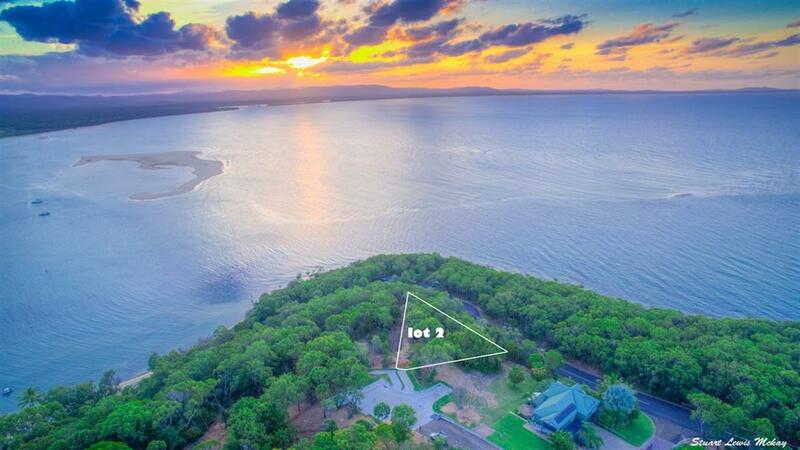 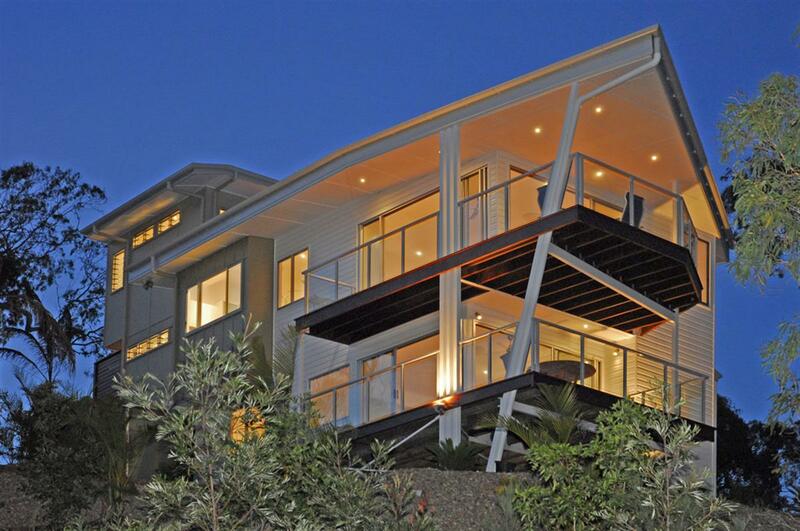 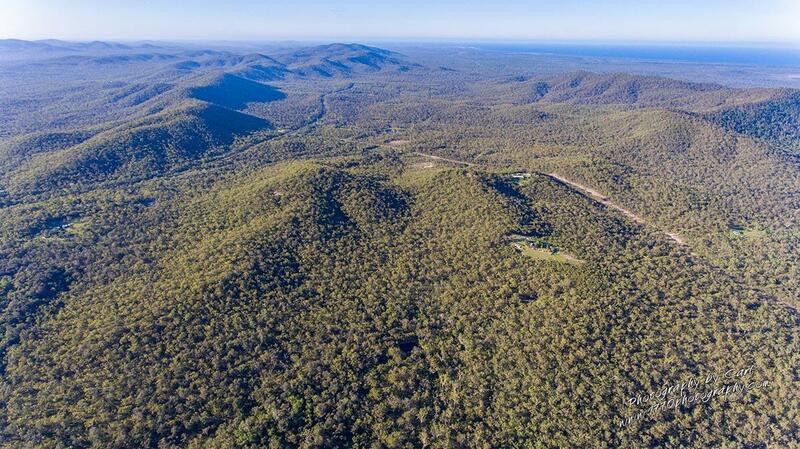 One of the few gated communities in Australia: it is set in a rare and pristine environment. 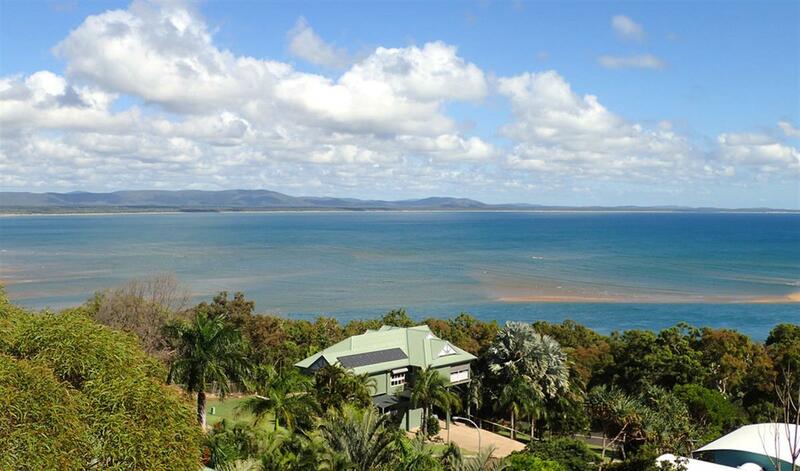 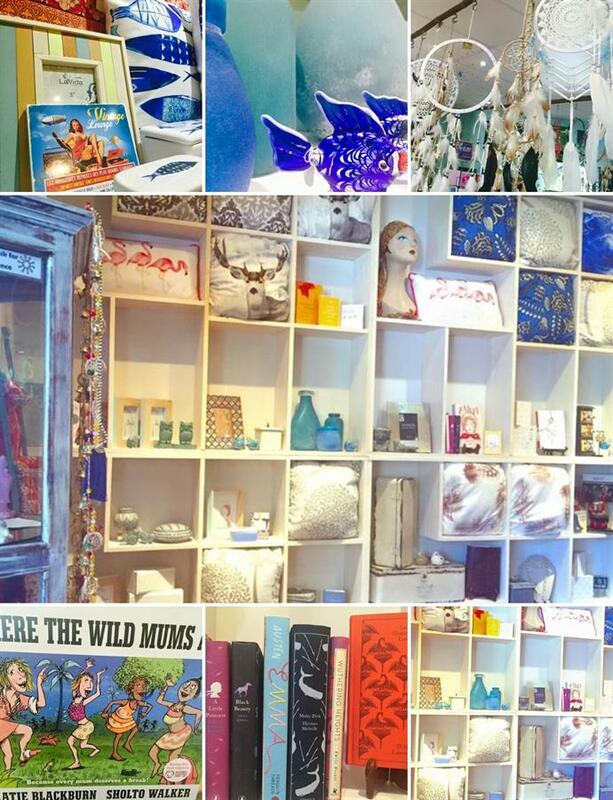 A fantastic family experience or romantic getaway. 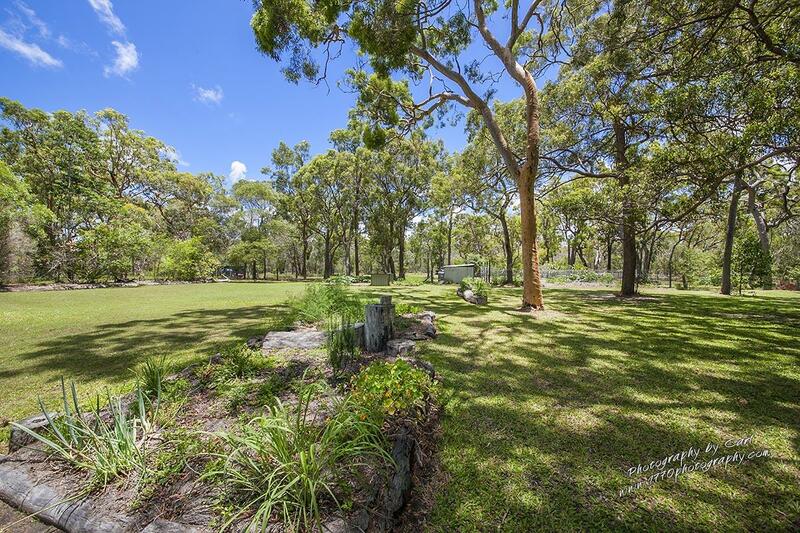 This unique setting is designed to complement the surrounding landscape with mother-nature as its backdrop. 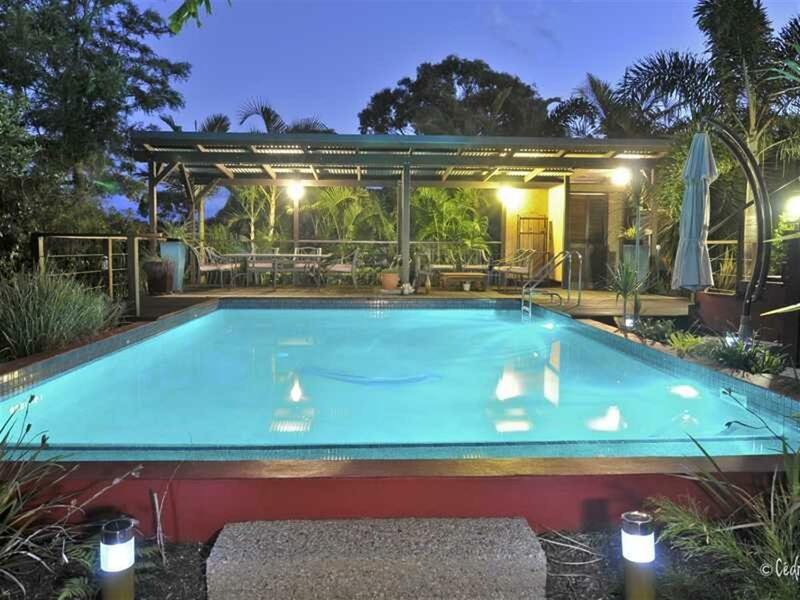 Within this organically built estate, you will have usage of either of the 2 swimming pools and use of tennis court and BBQ cabana area. 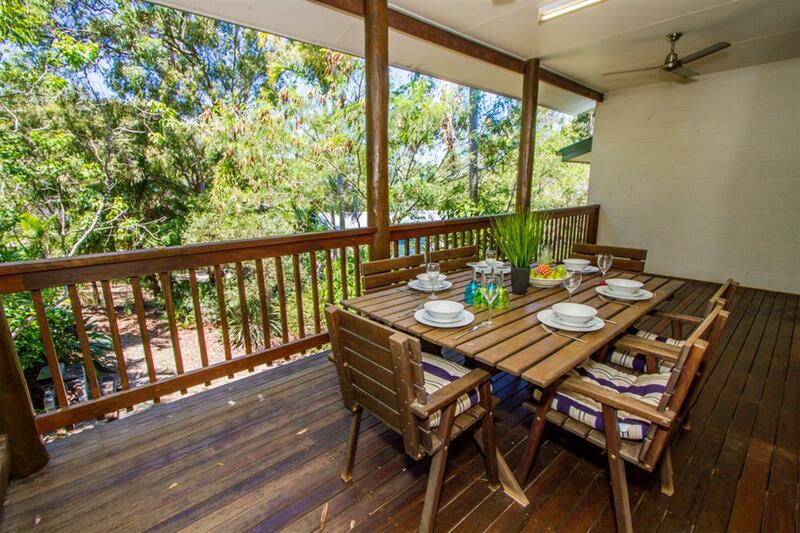 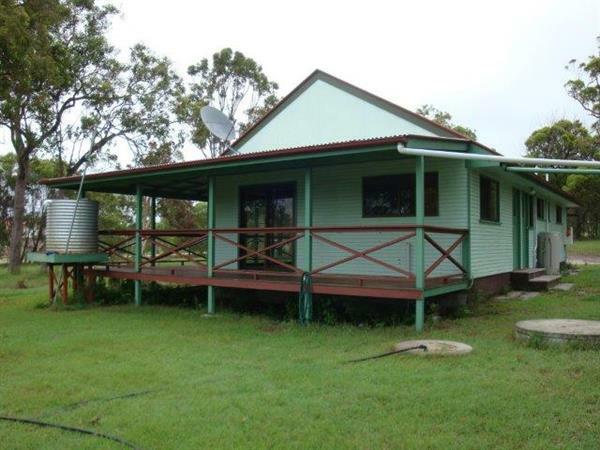 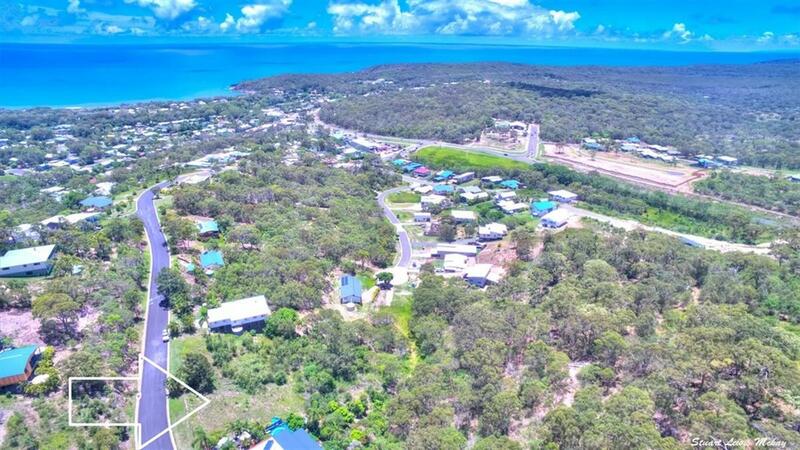 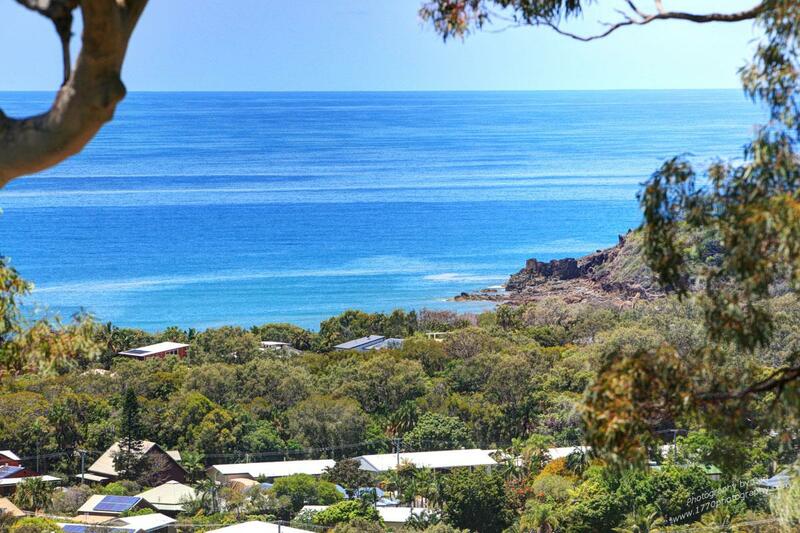 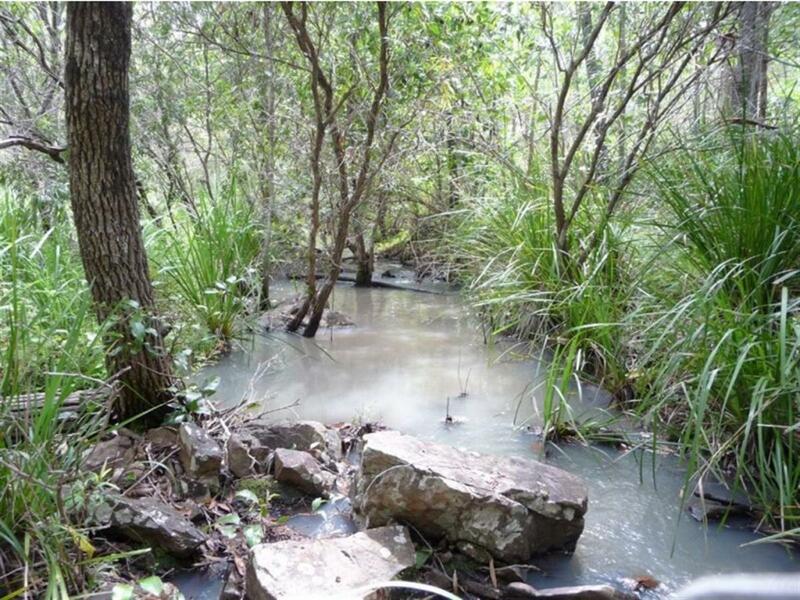 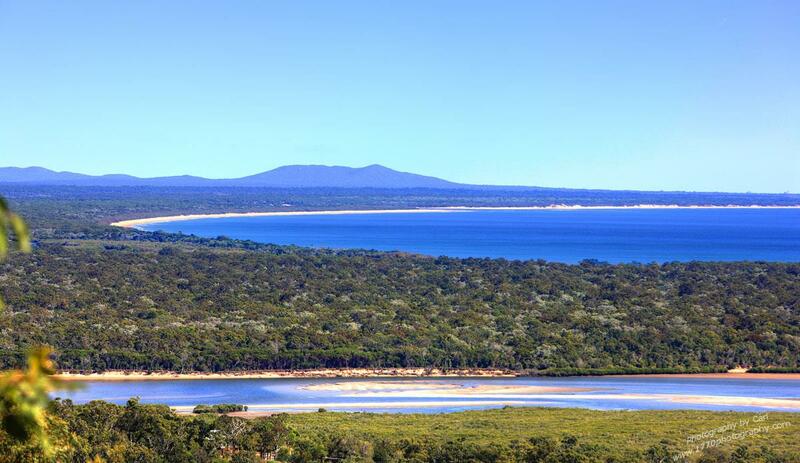 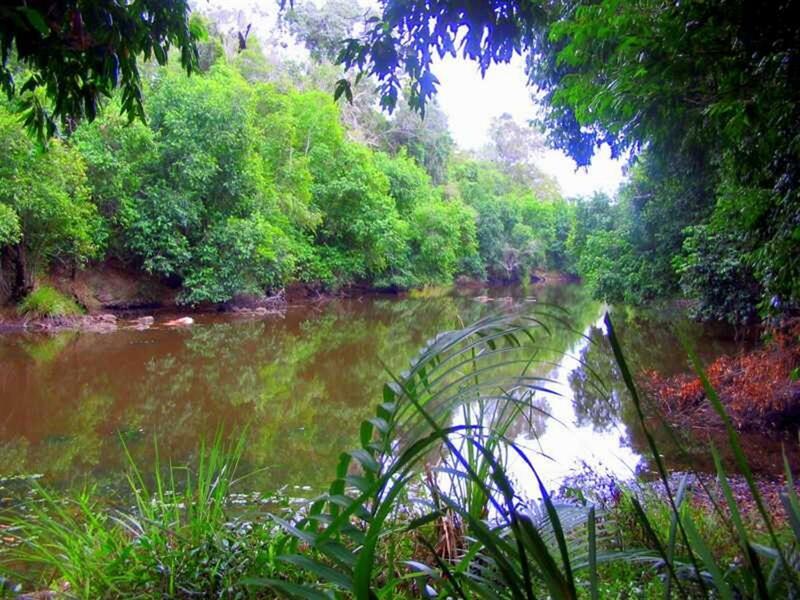 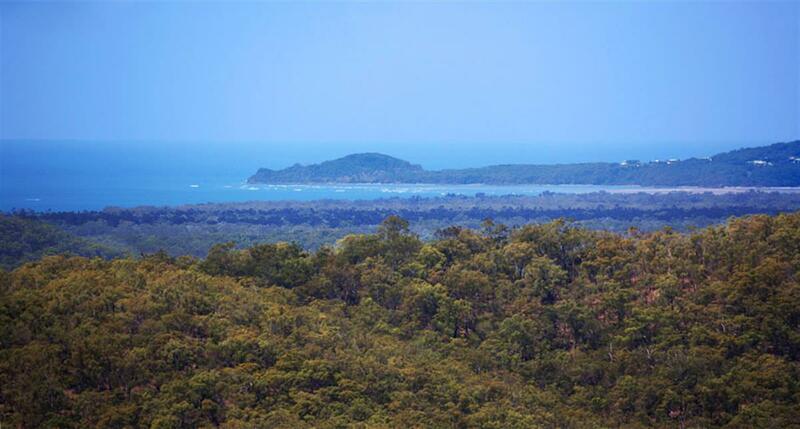 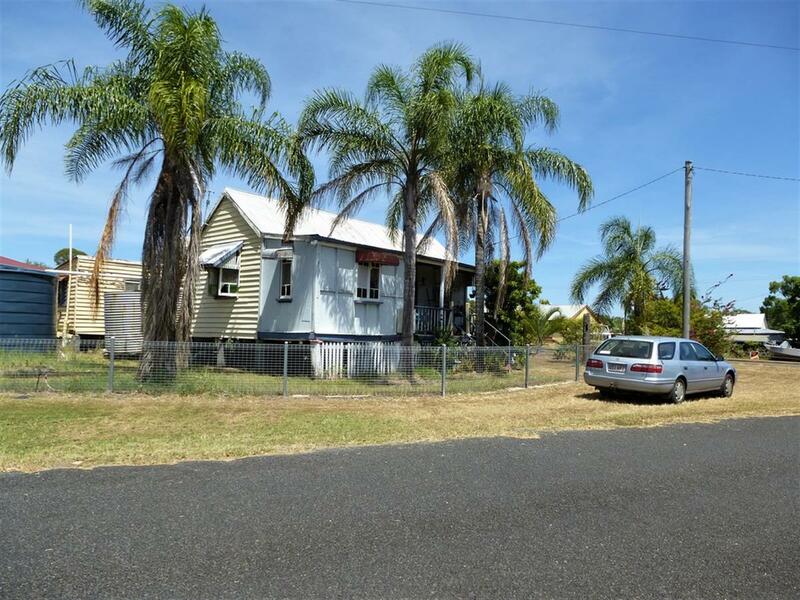 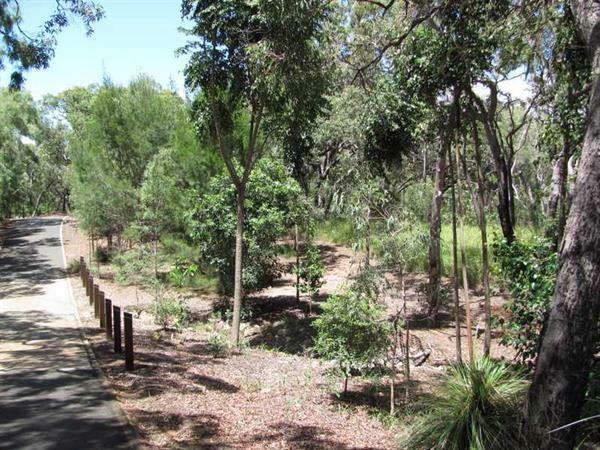 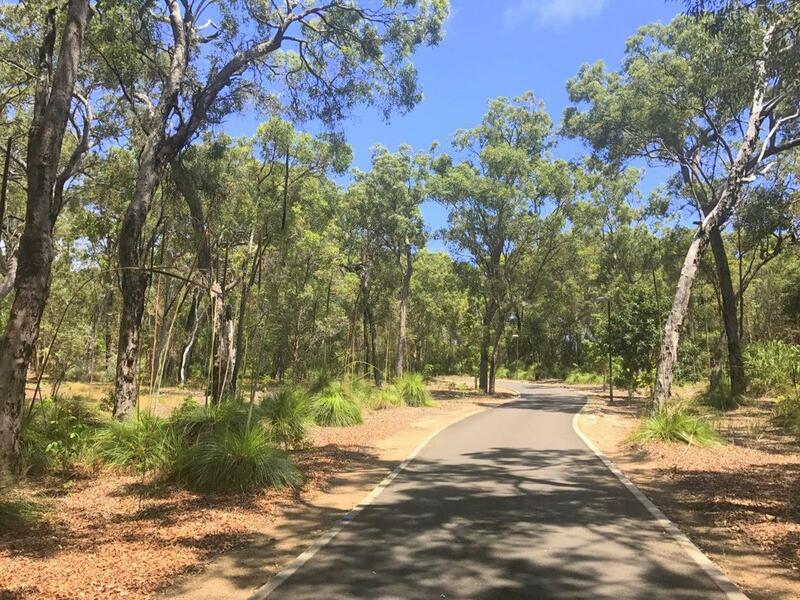 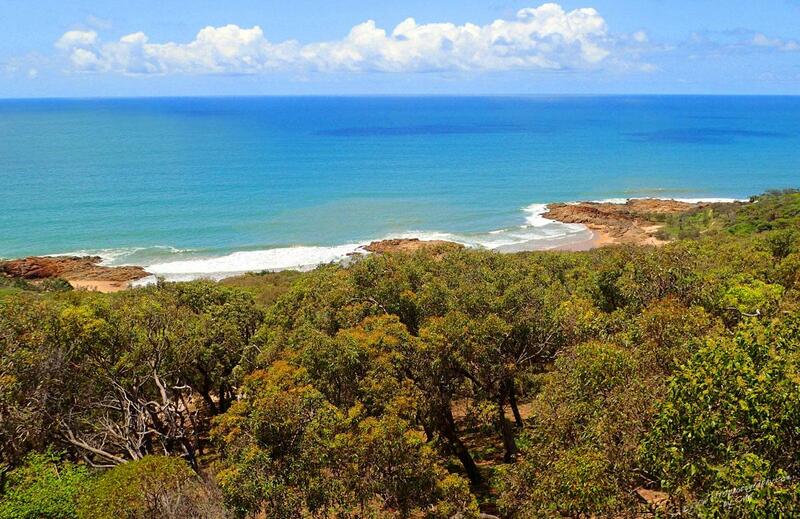 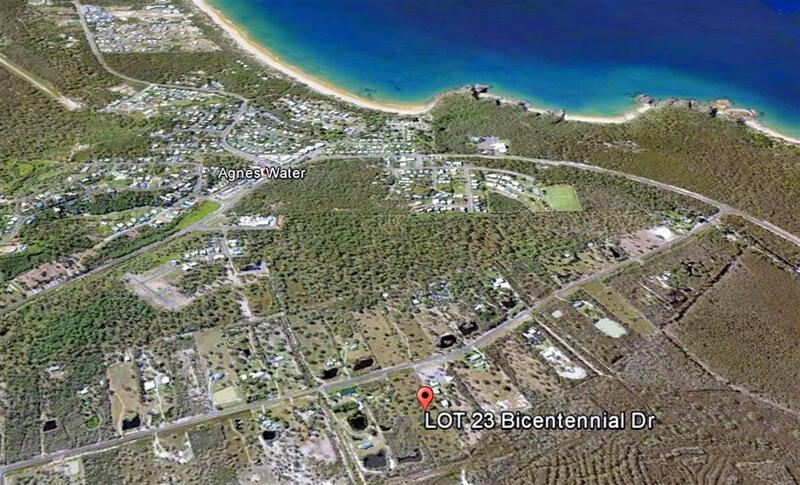 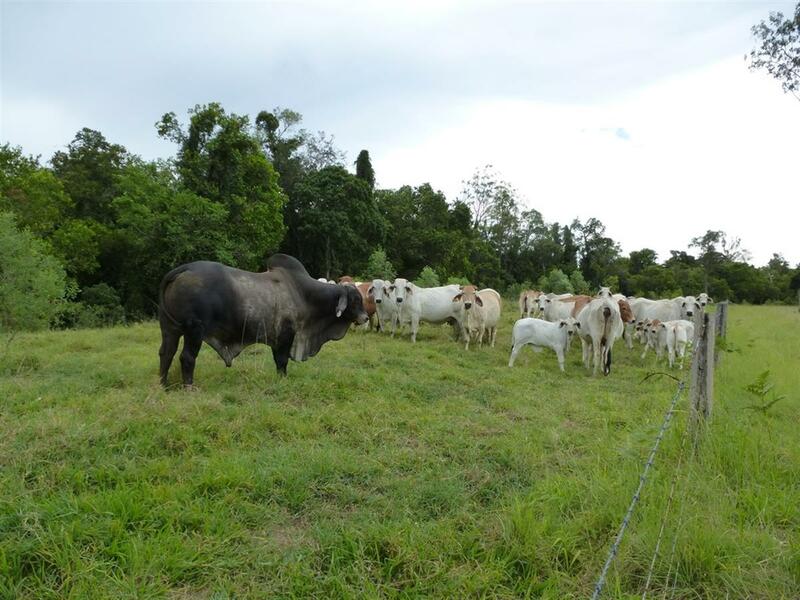 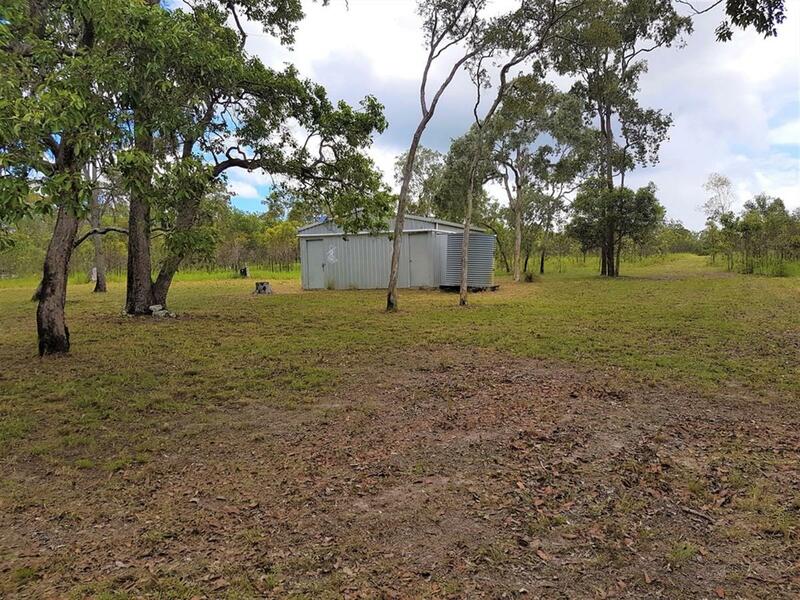 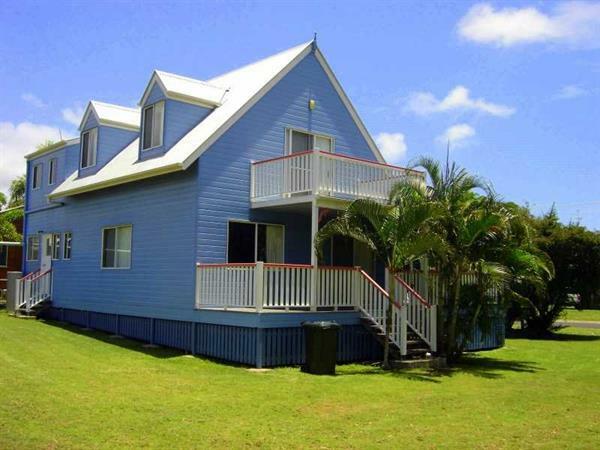 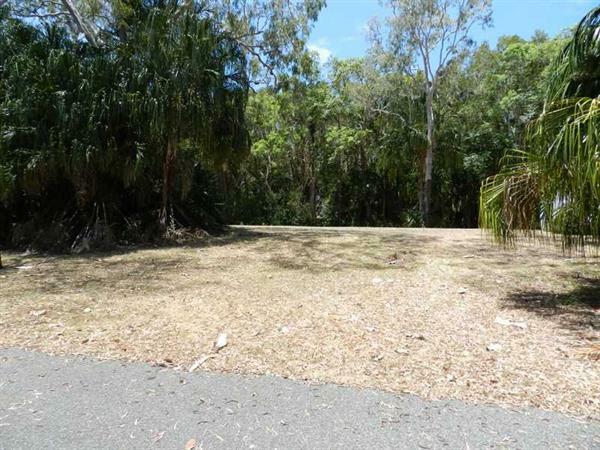 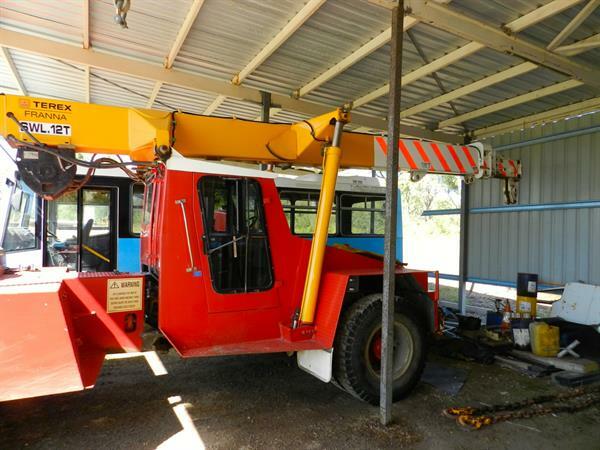 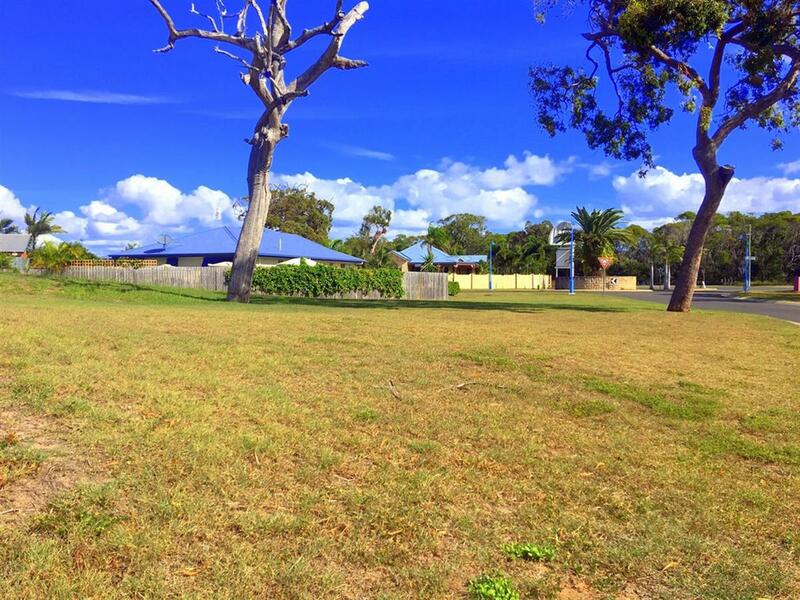 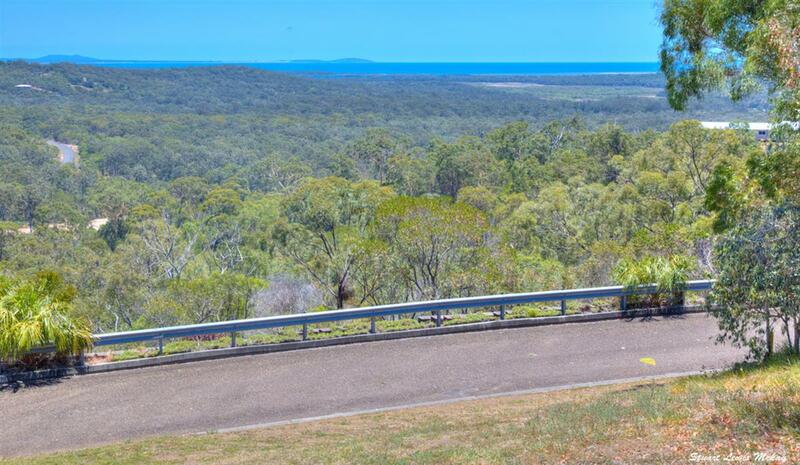 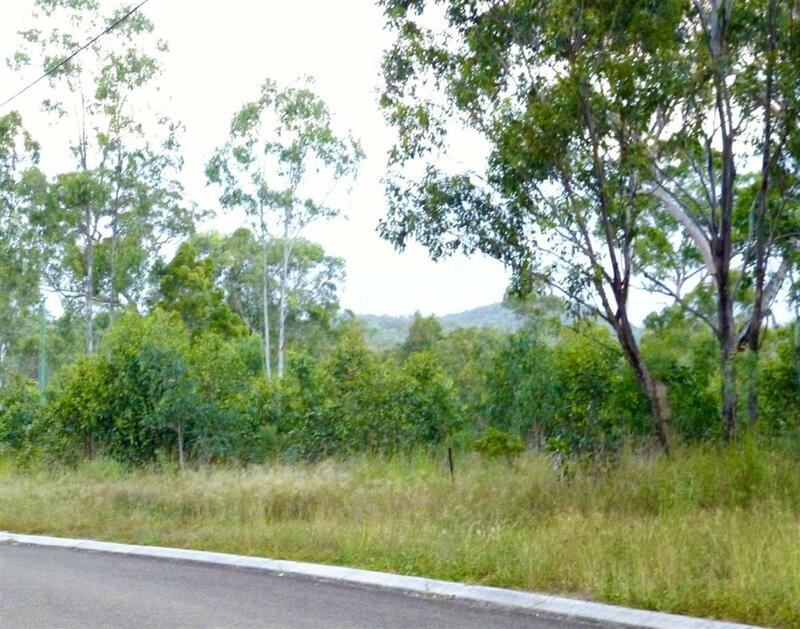 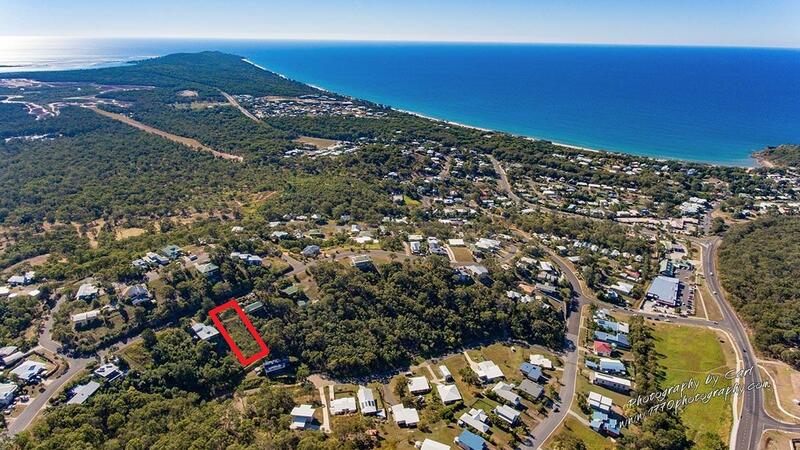 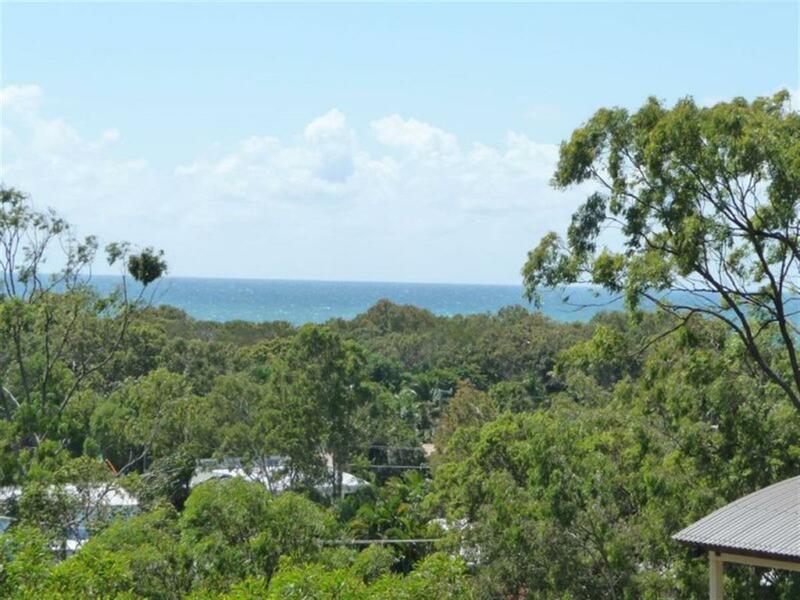 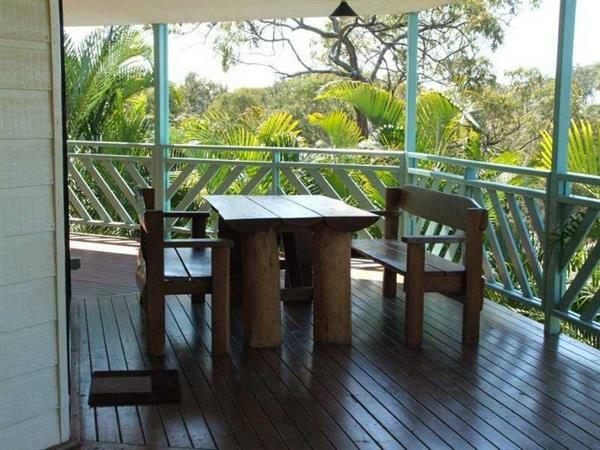 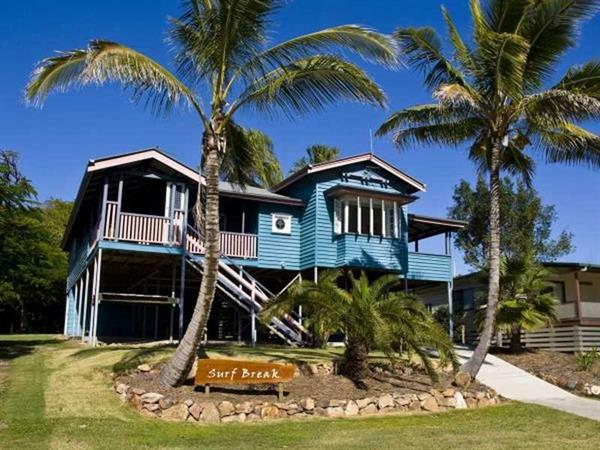 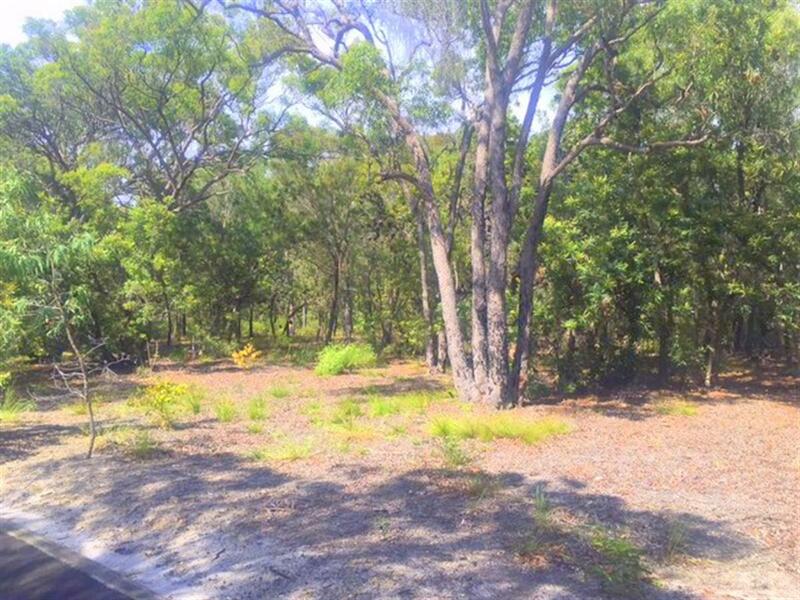 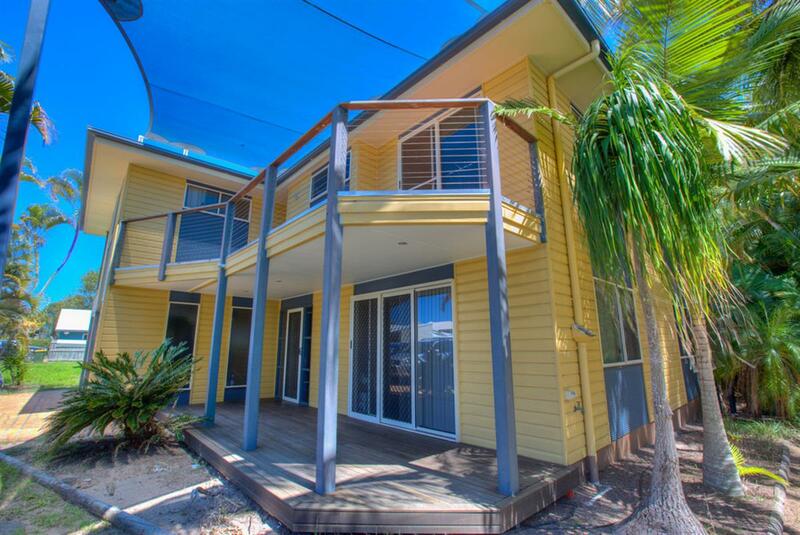 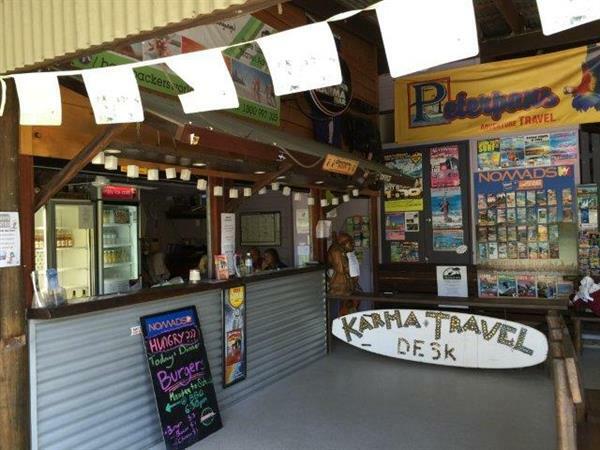 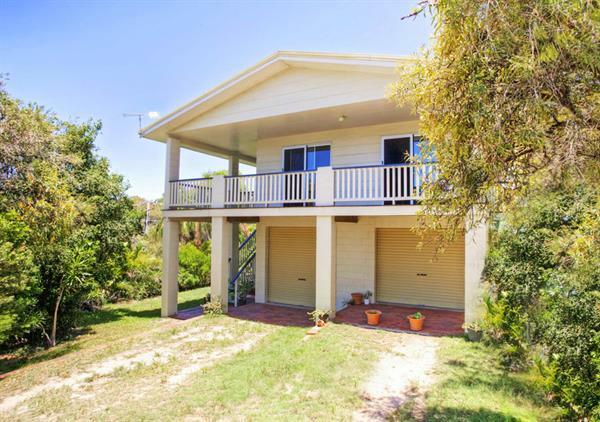 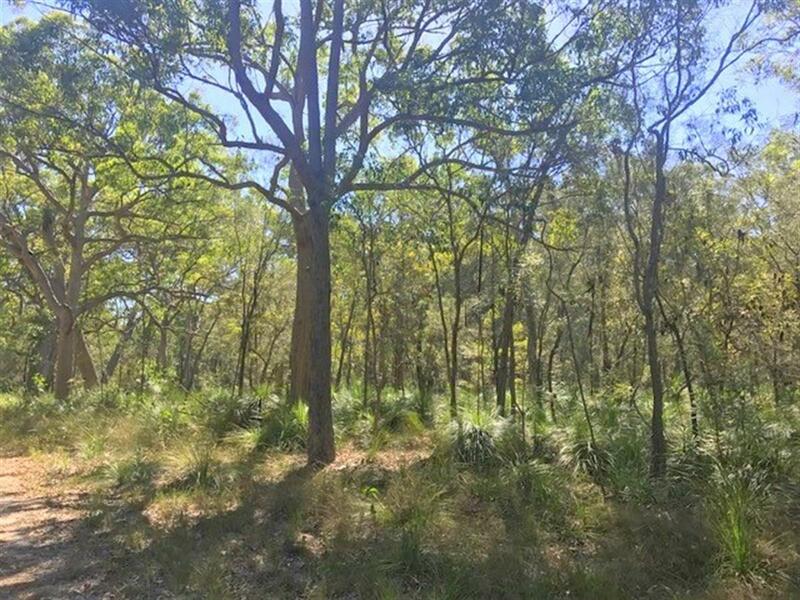 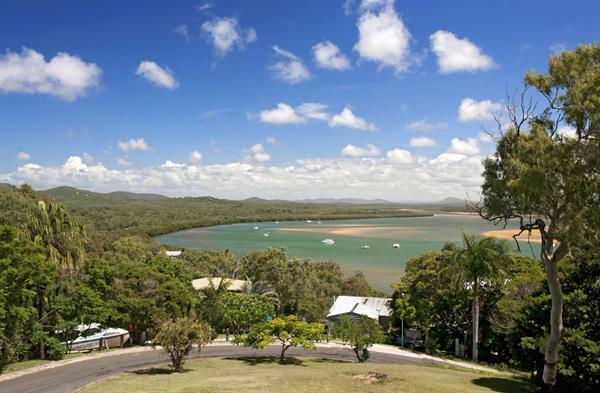 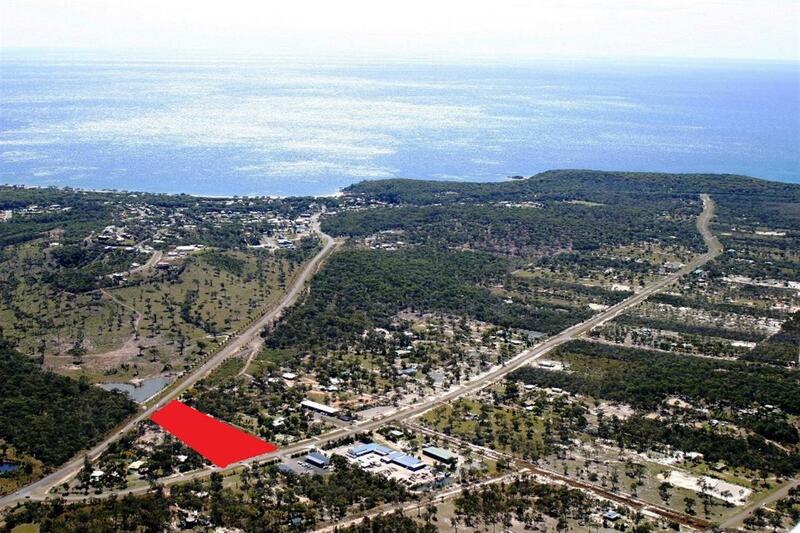 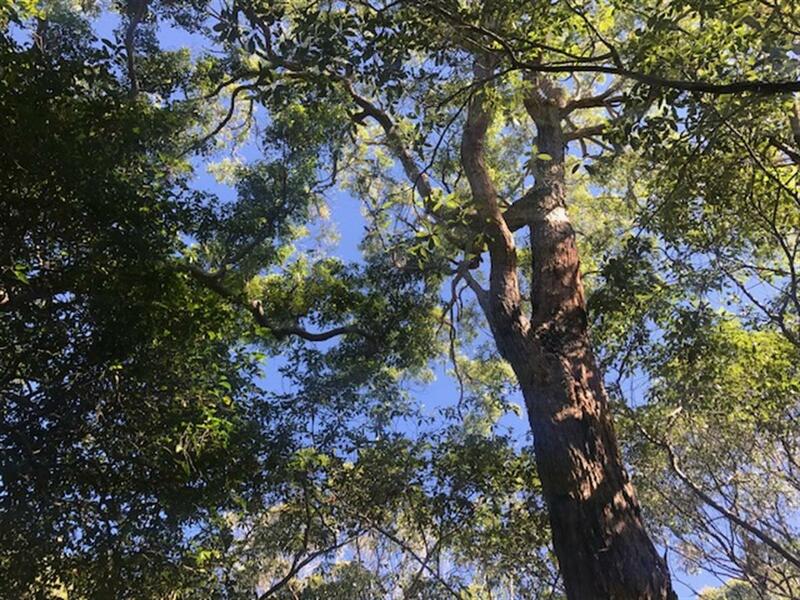 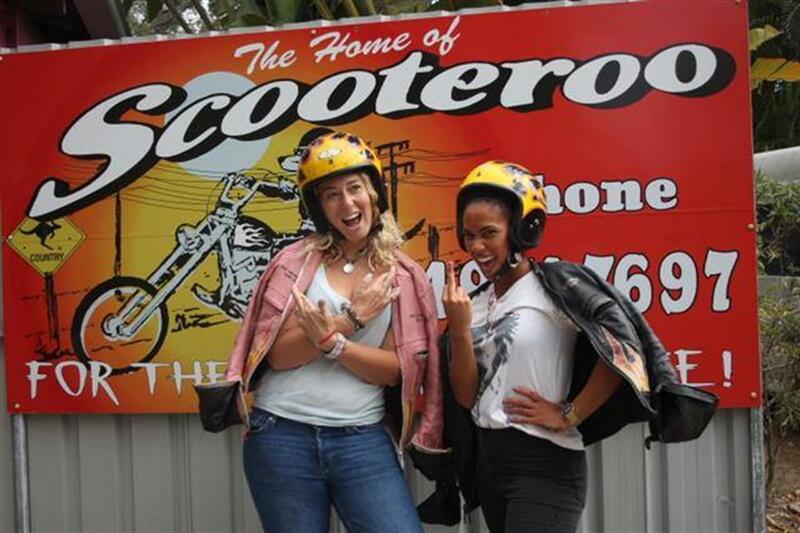 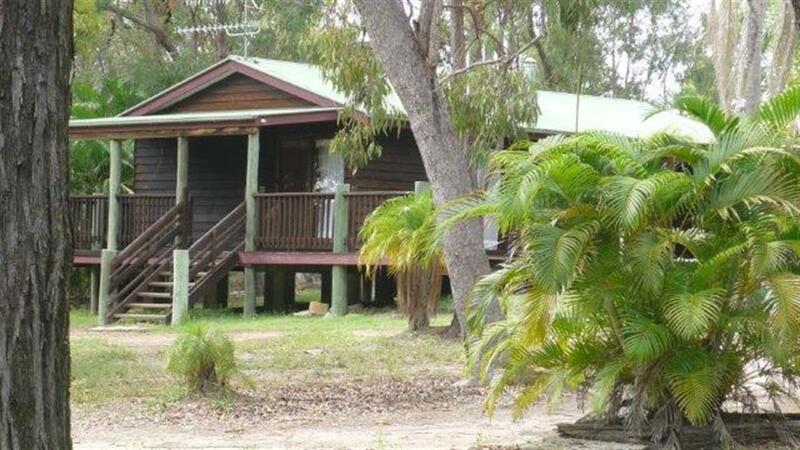 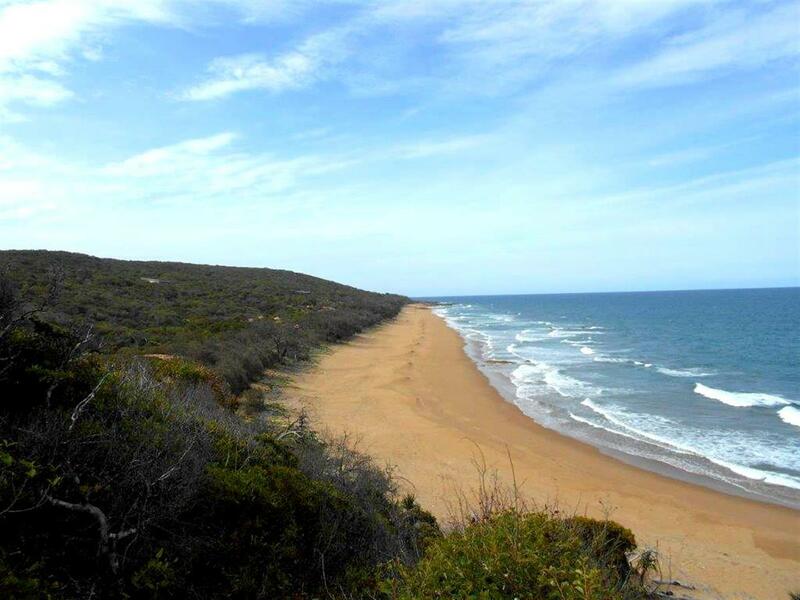 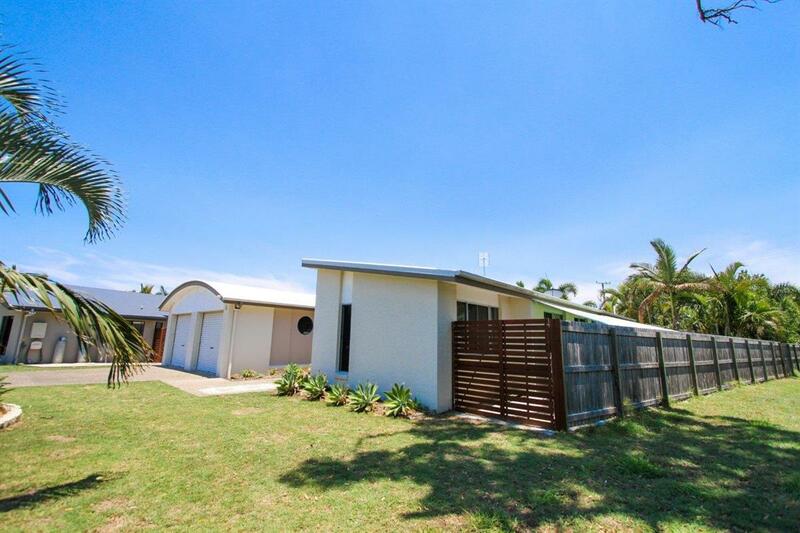 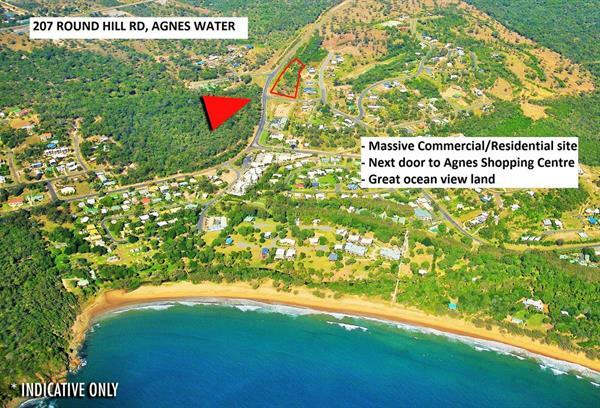 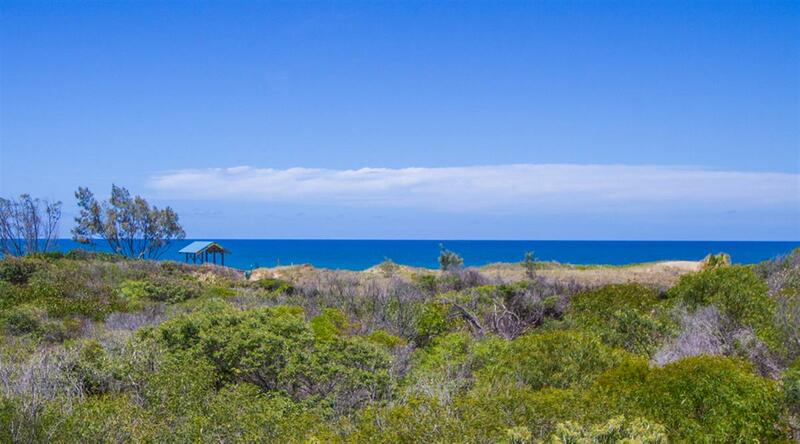 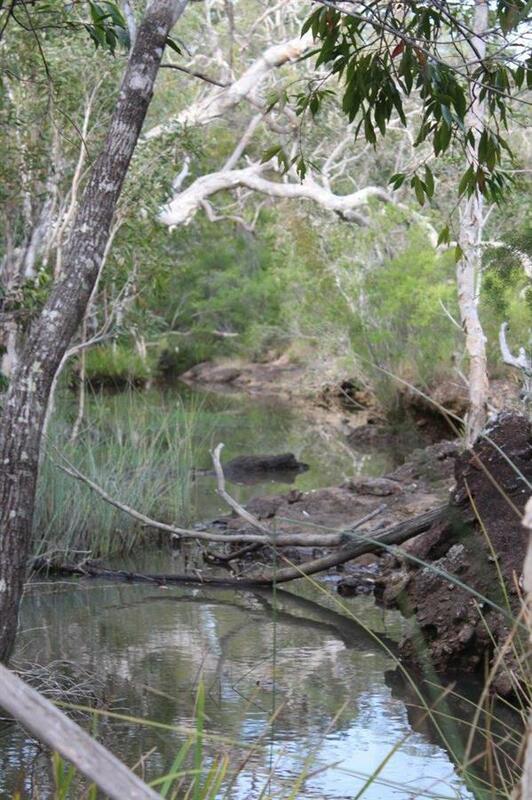 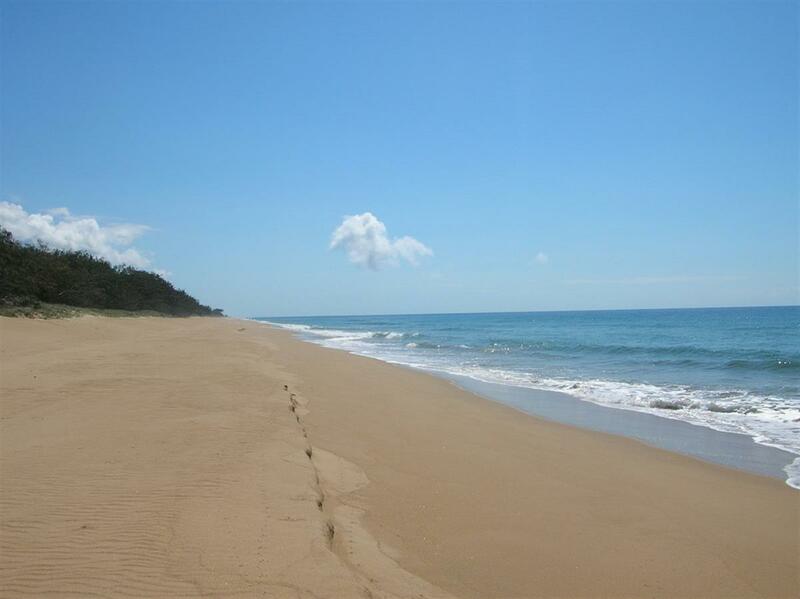 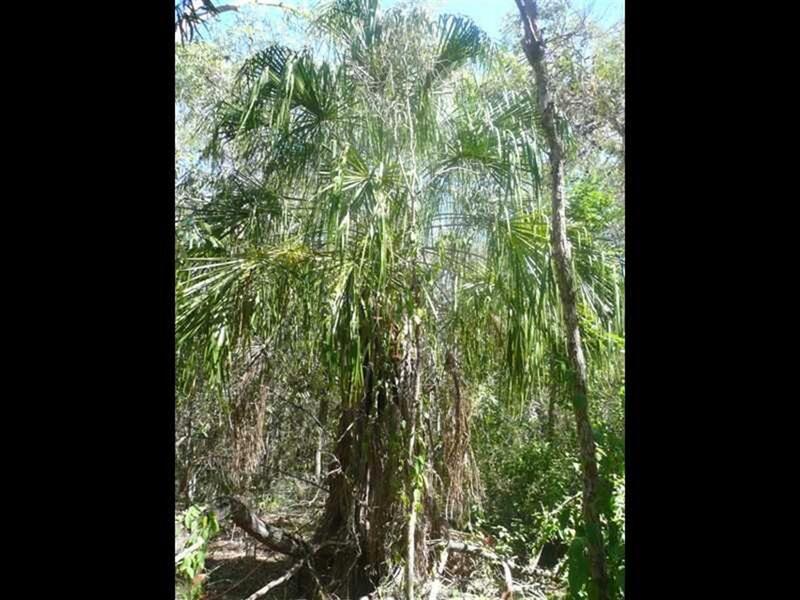 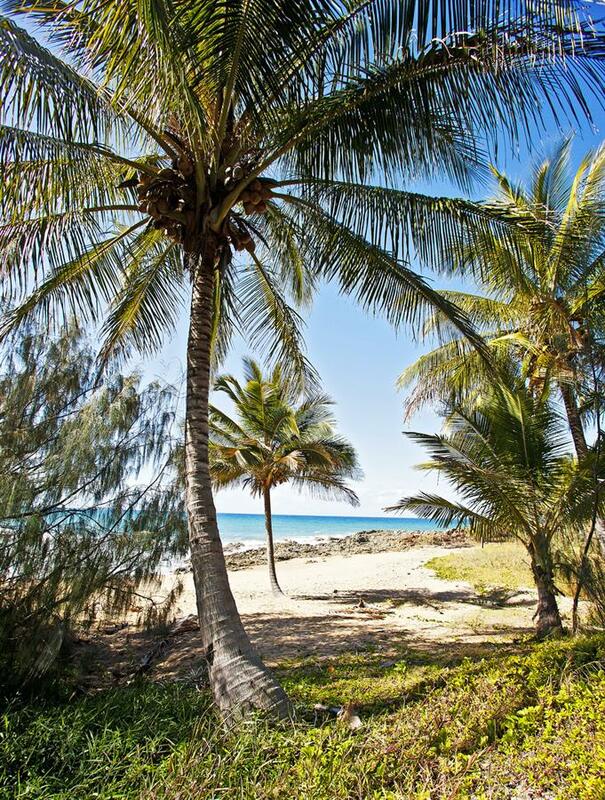 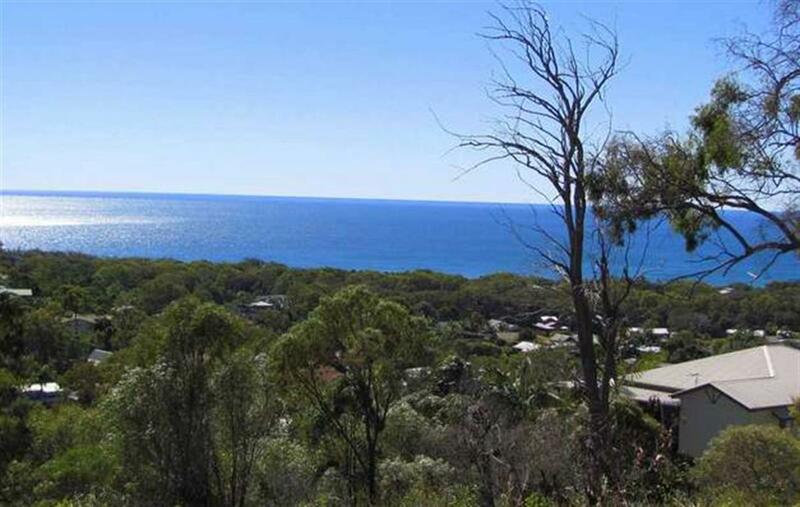 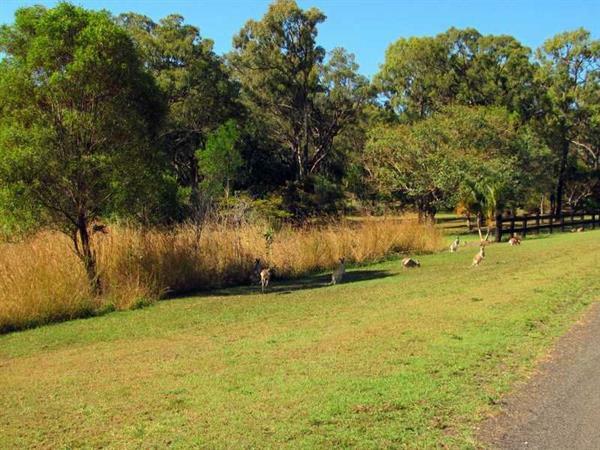 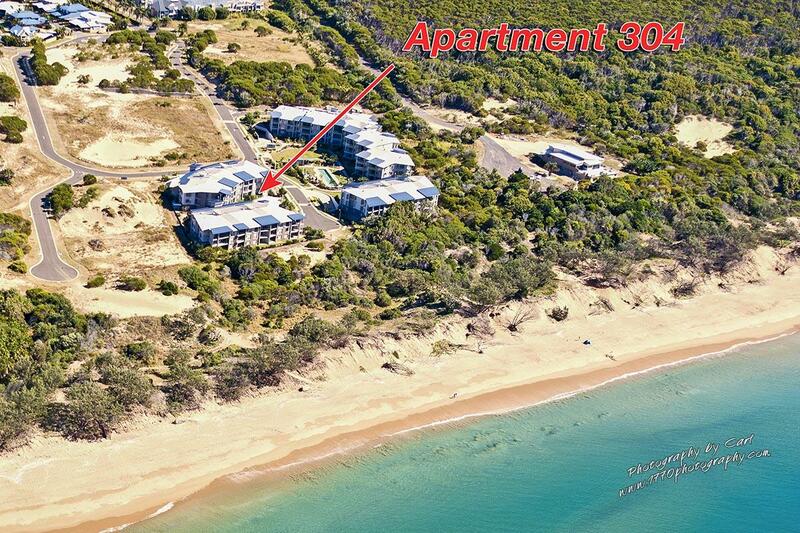 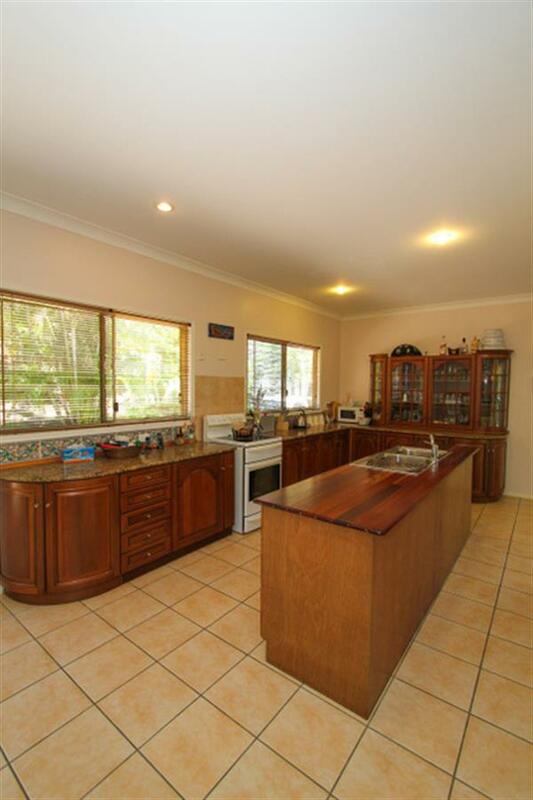 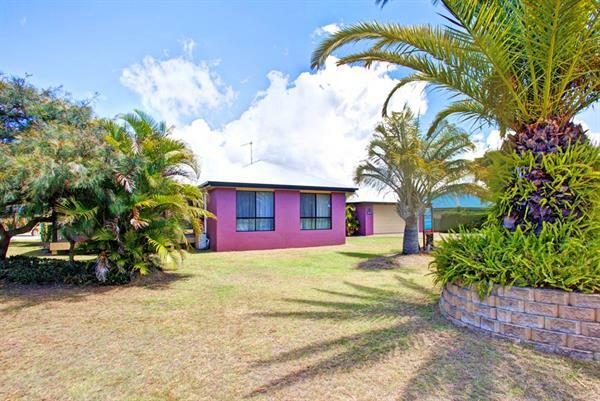 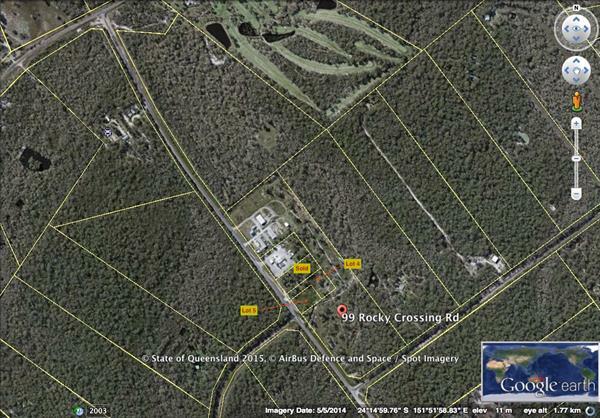 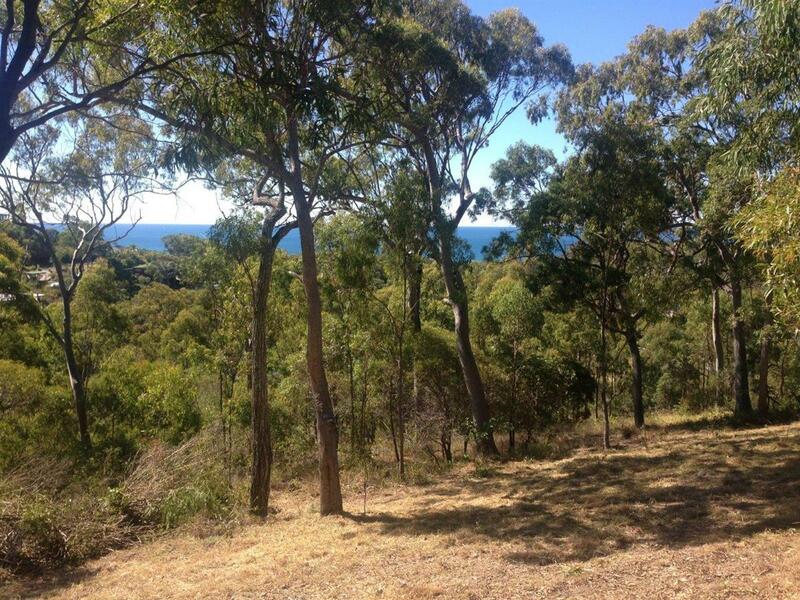 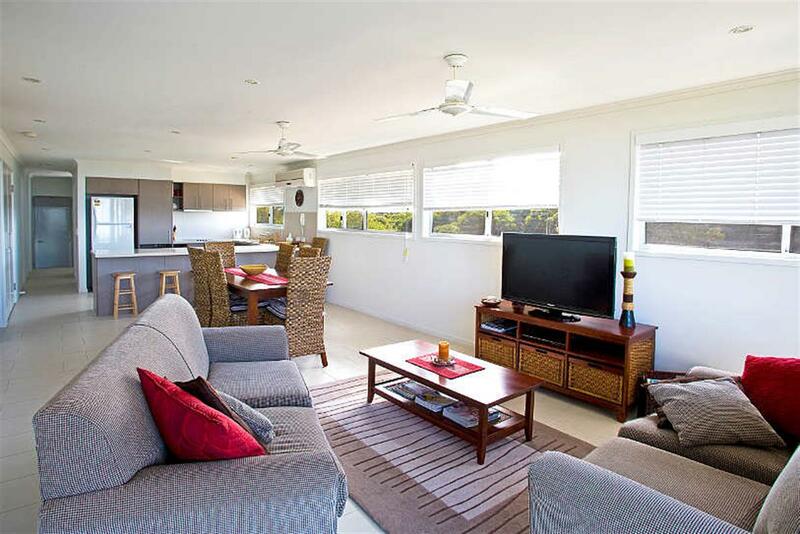 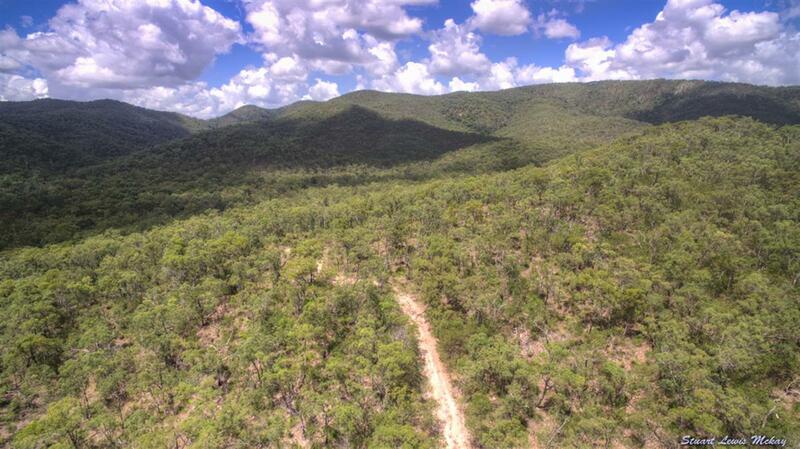 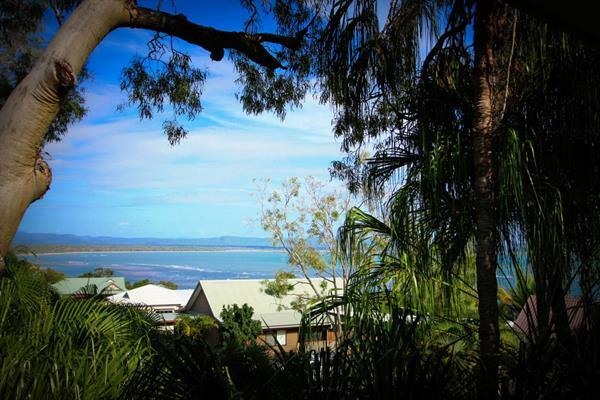 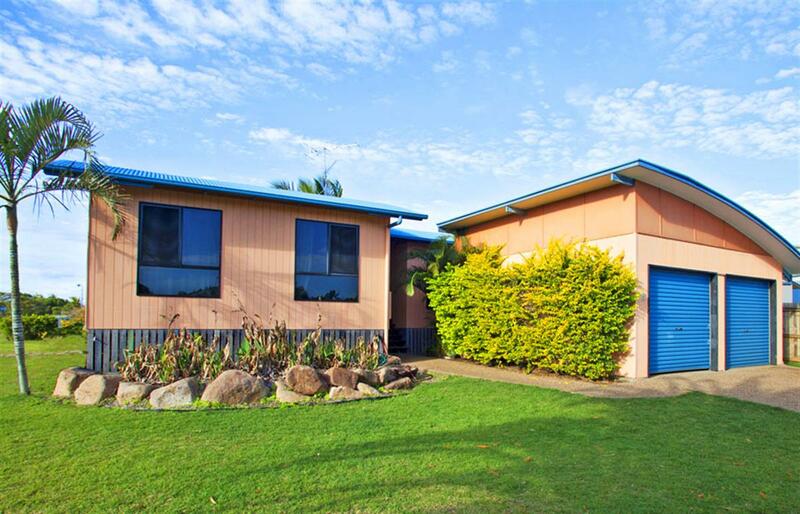 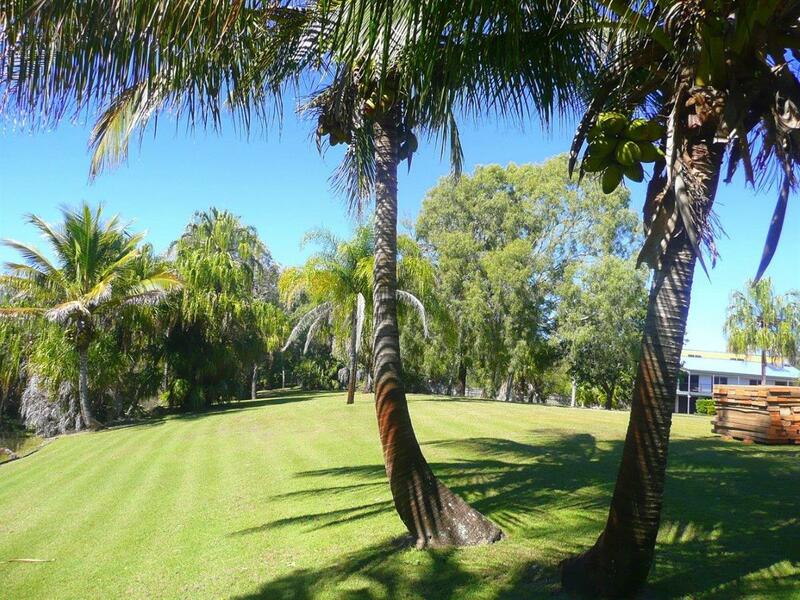 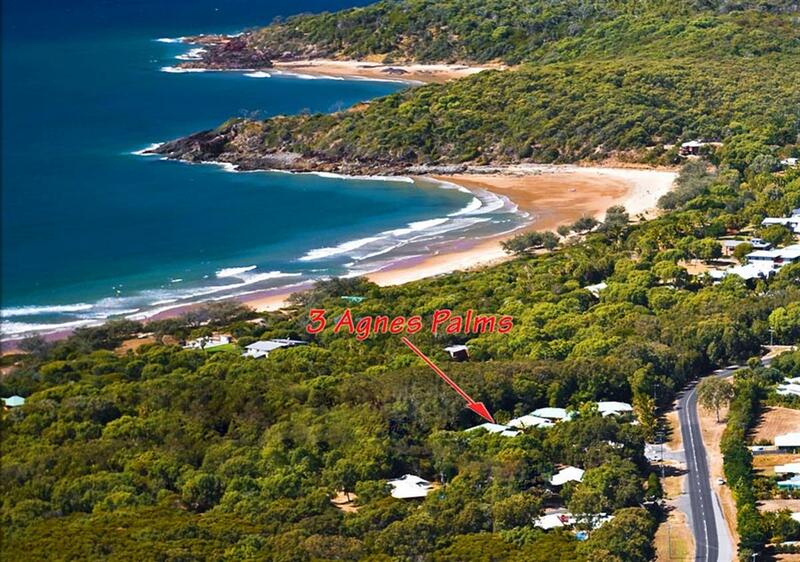 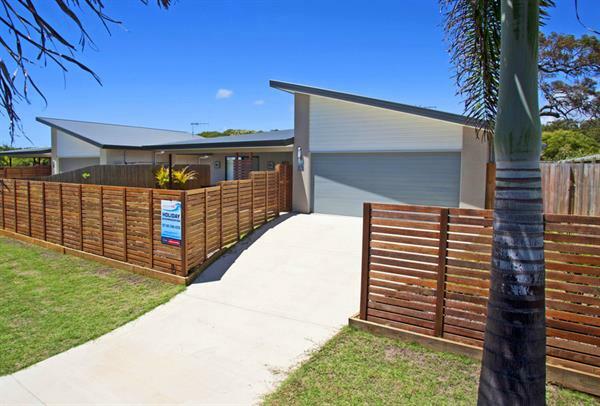 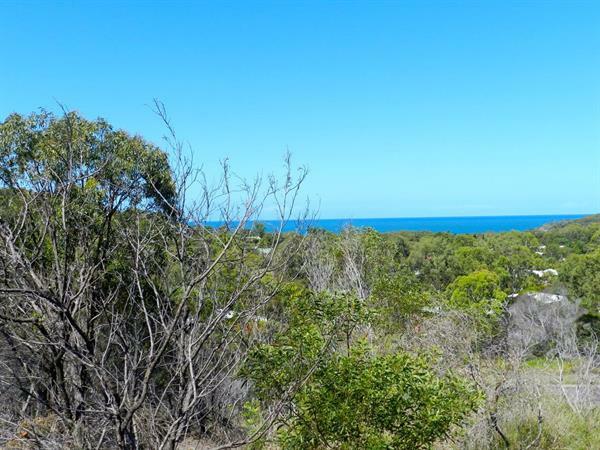 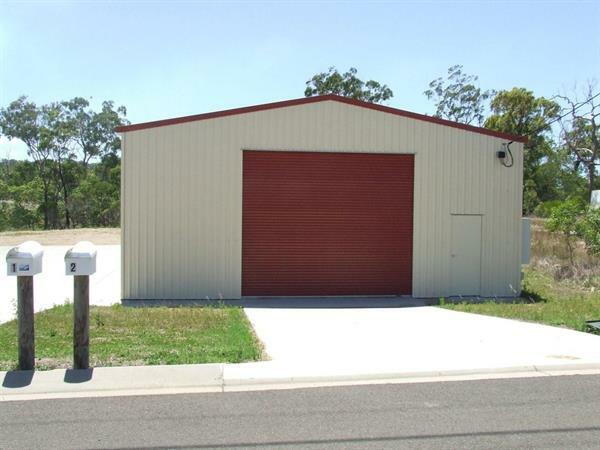 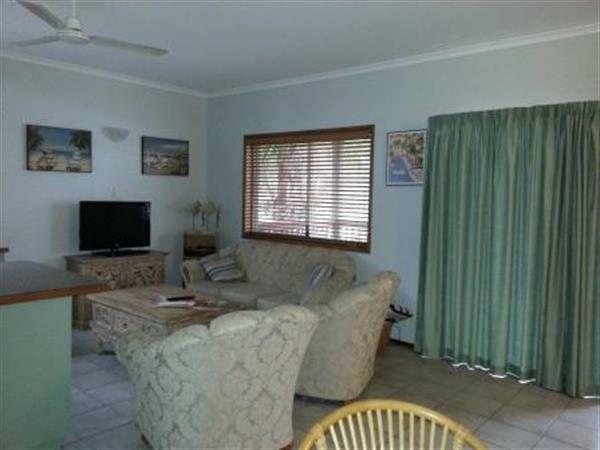 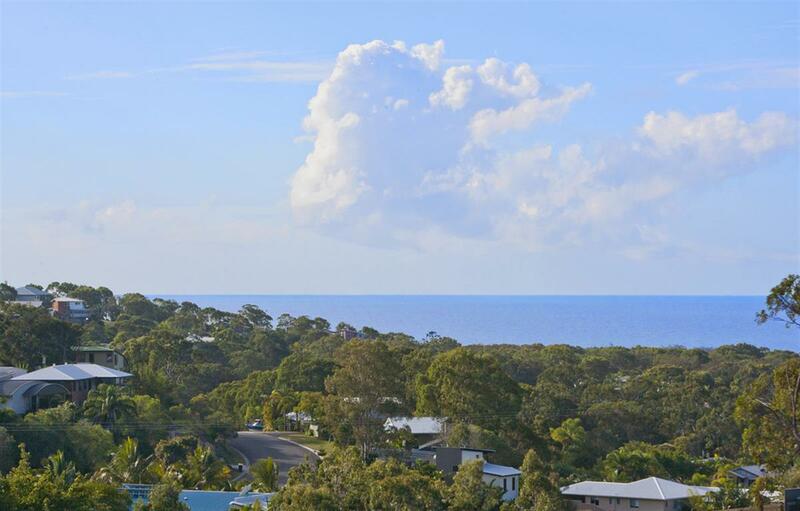 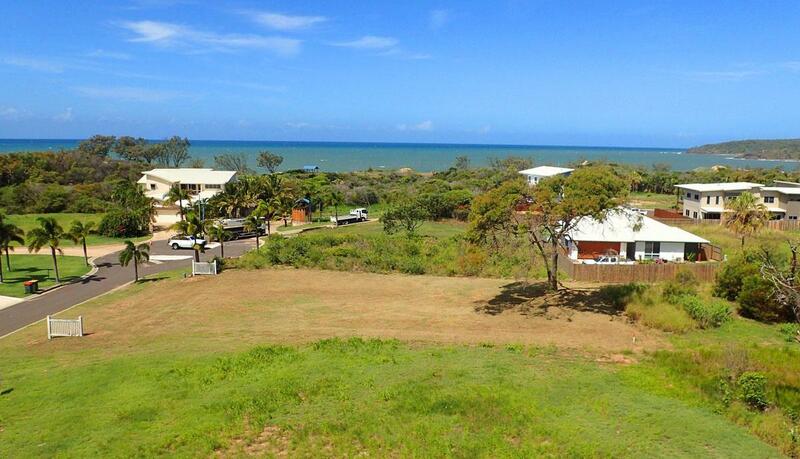 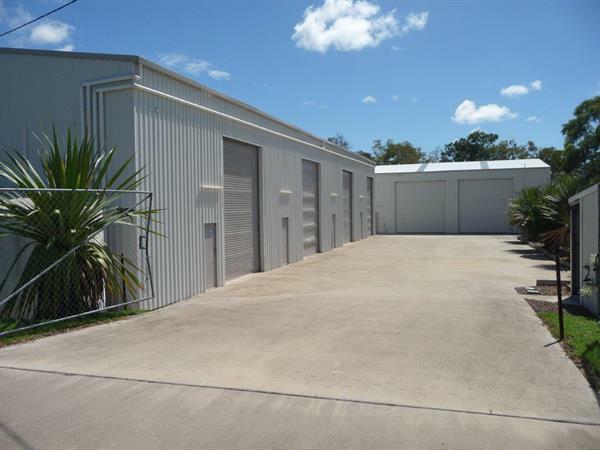 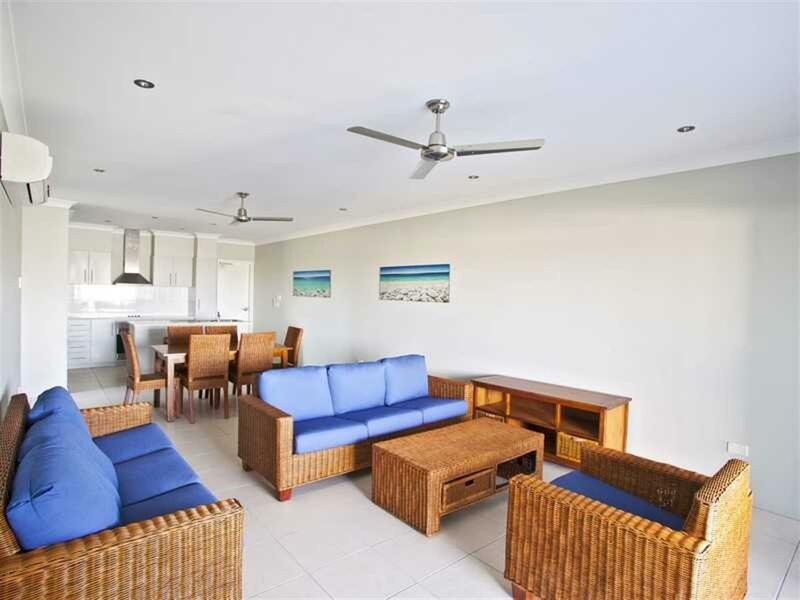 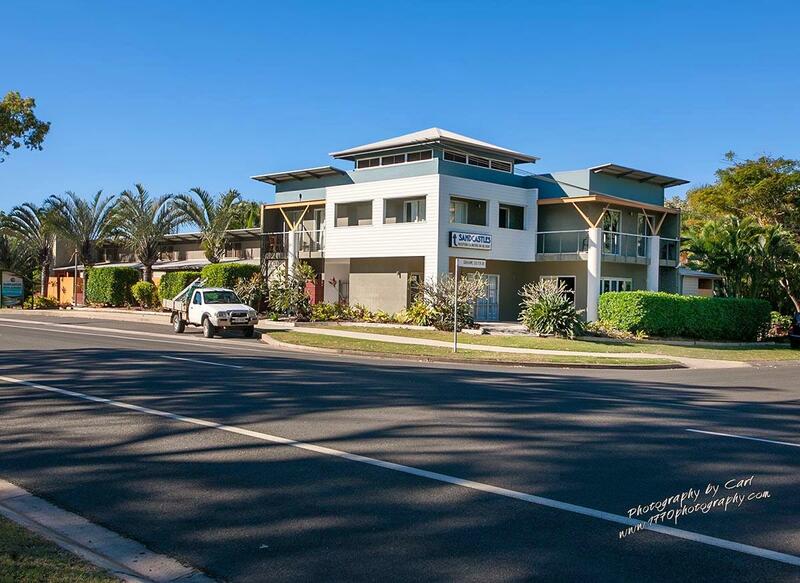 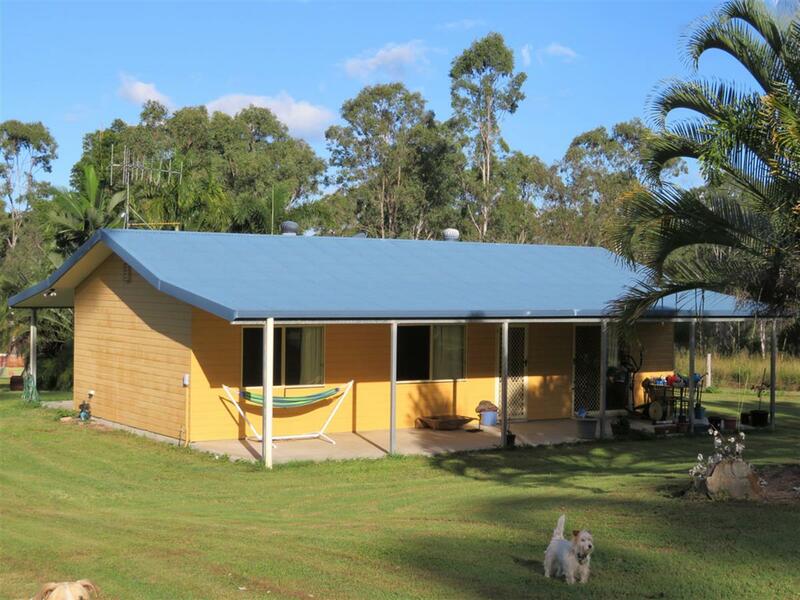 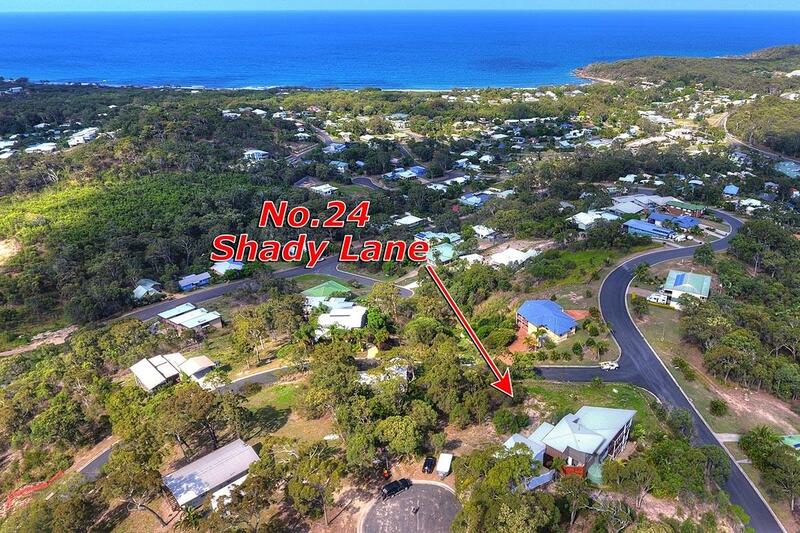 Rocky Point is a 5 minute or 10 minute easy bike ride to the town ship of Agnes Water and all town facilities. 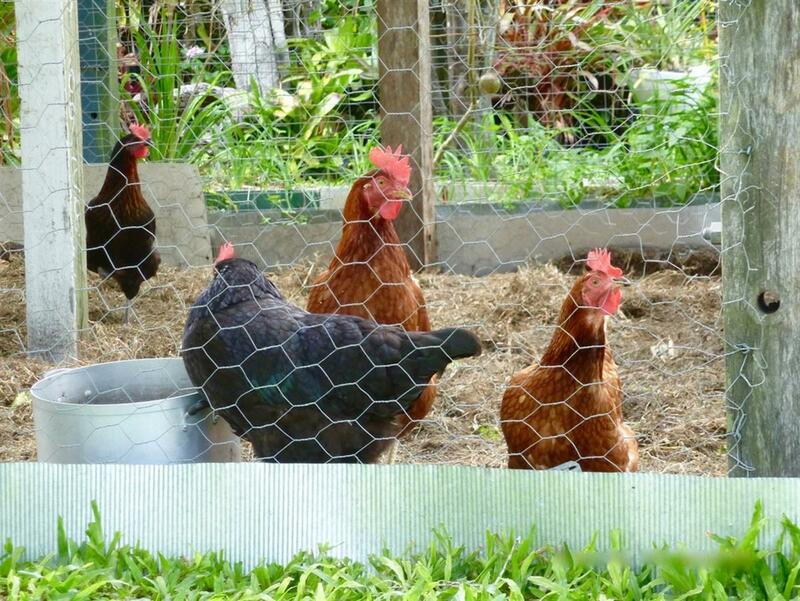 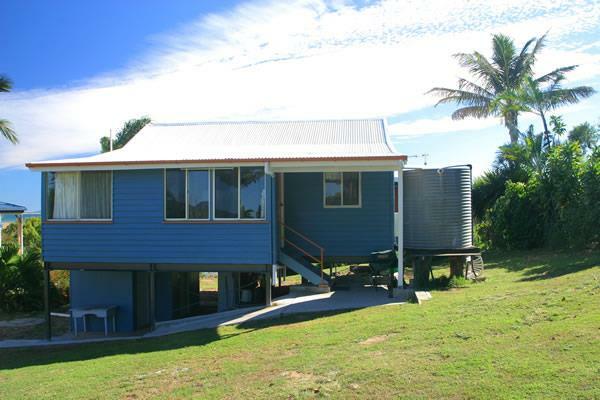 RATES : Christmas and Easter $4000 p/w. 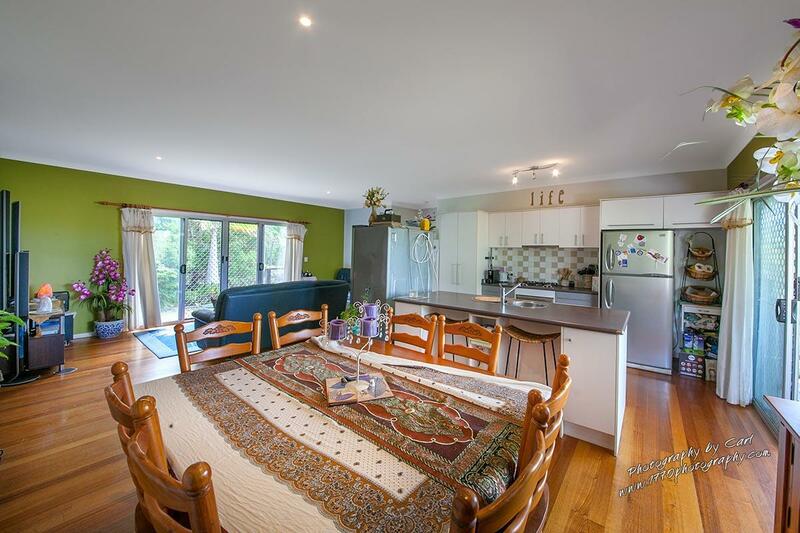 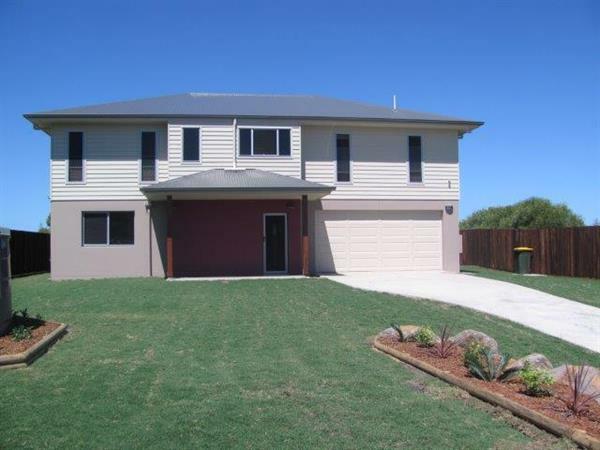 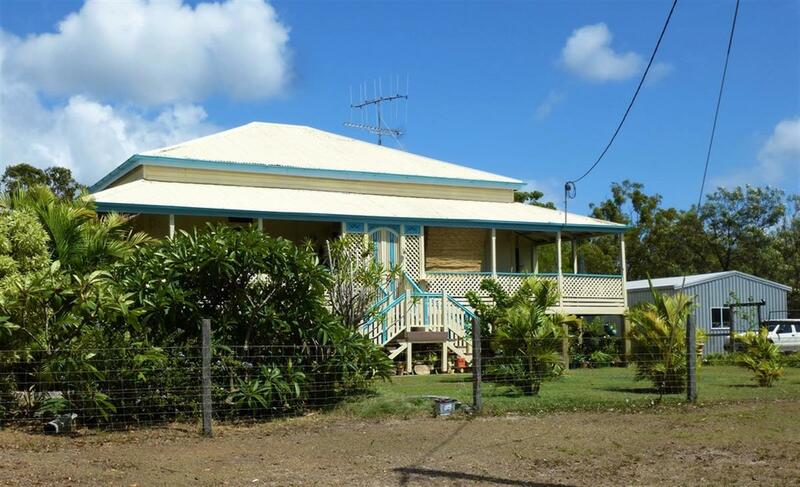 School Holidays: $3000 including Bungalows. 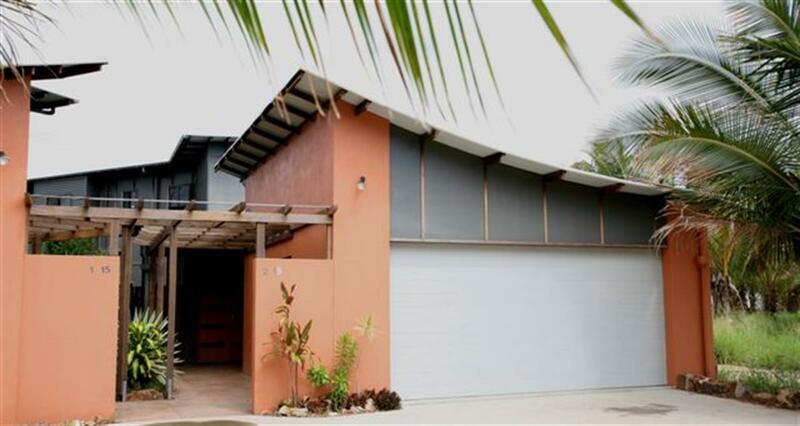 Off peak: $2000 including bungalows. 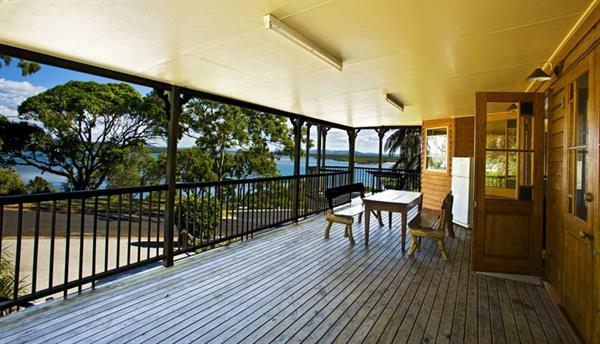 3 night long weekend: $1800. 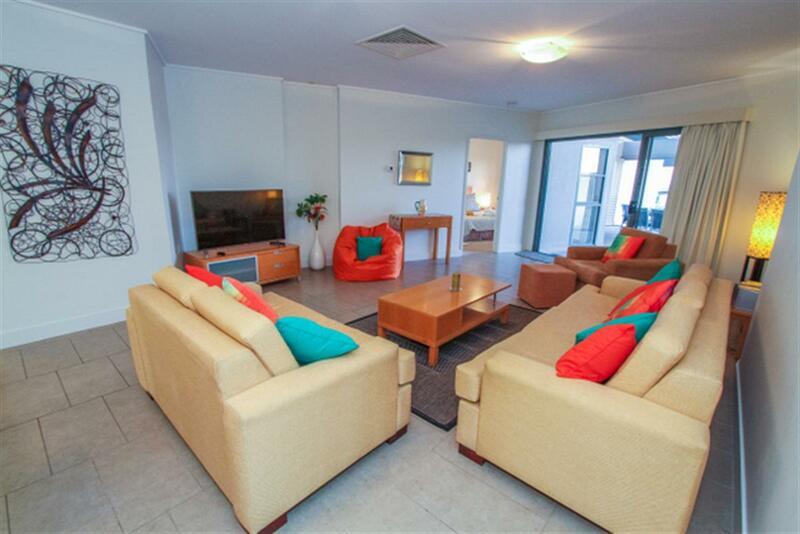 3 night weekend: $1200.